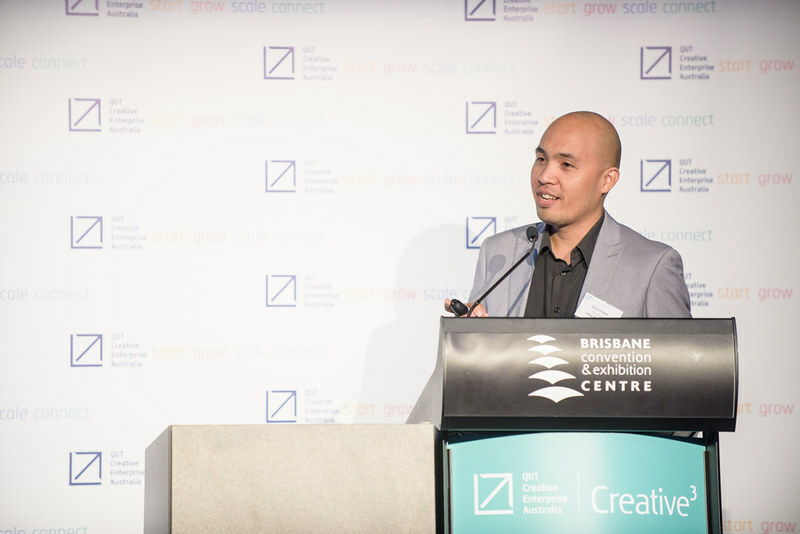 CEA established Creative3 six years ago in order to equip business leaders with the latest thinking on new technology, business tools, creative intelligence, industry insights and design-led innovation. 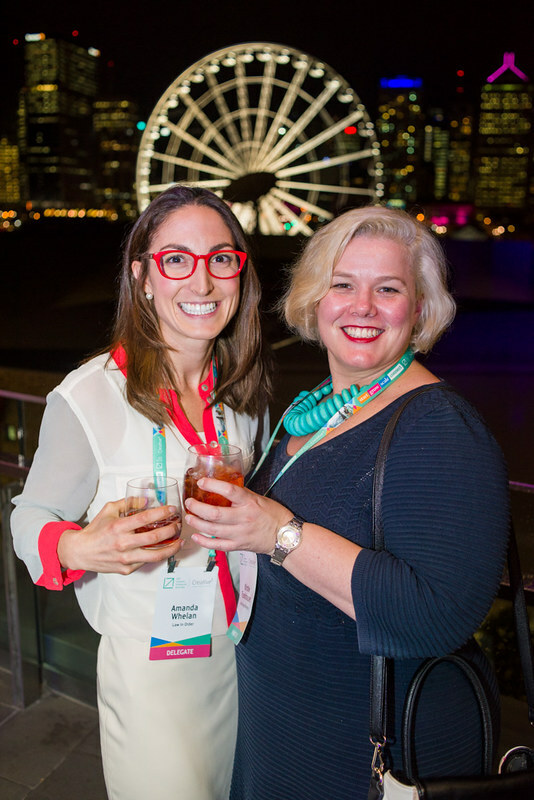 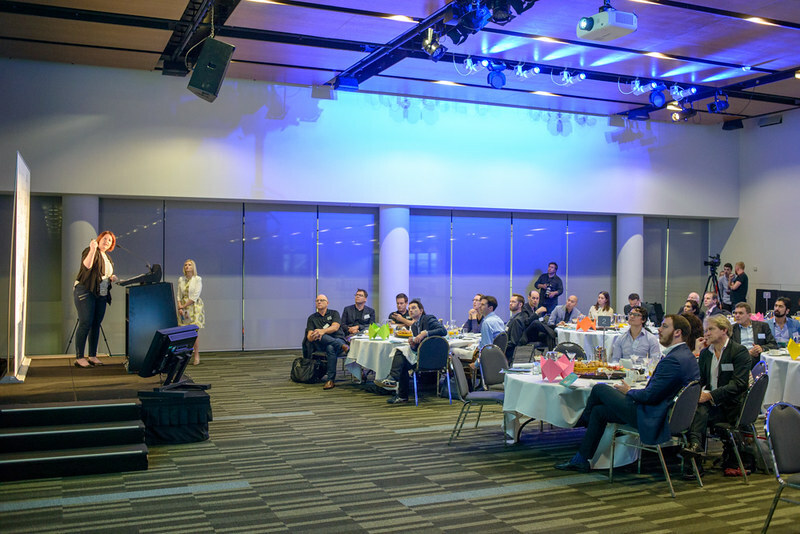 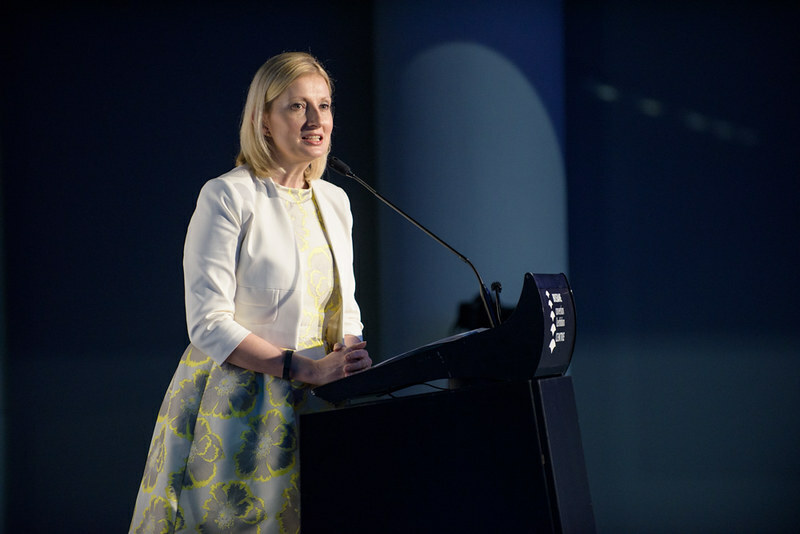 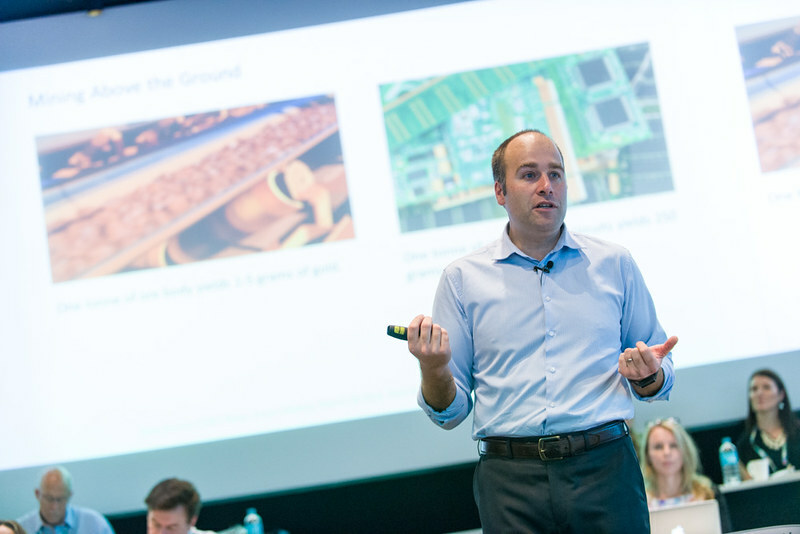 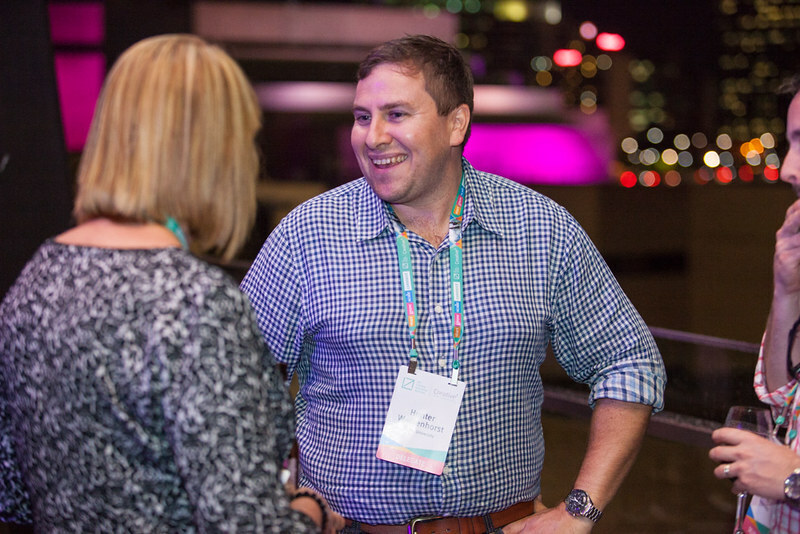 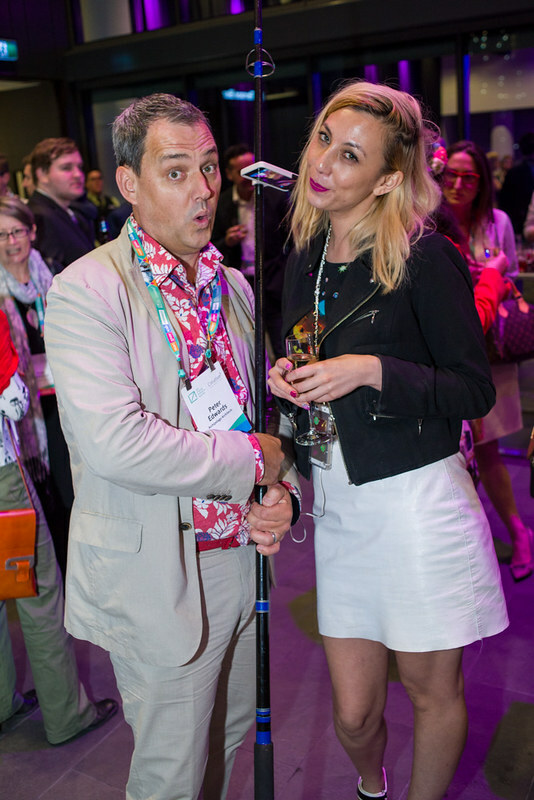 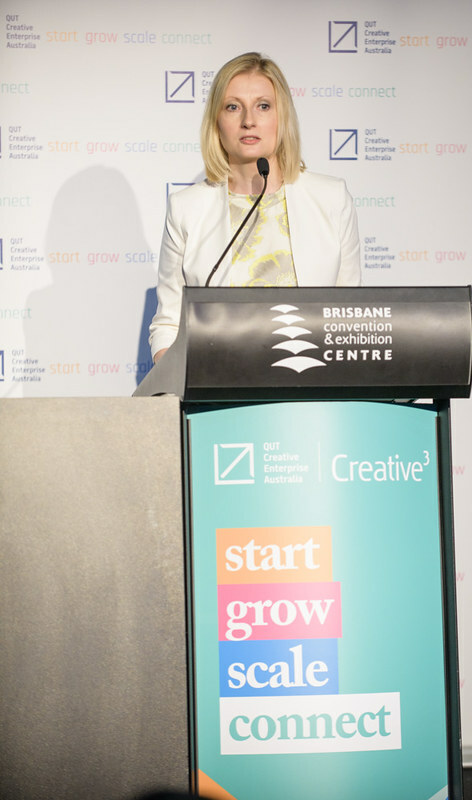 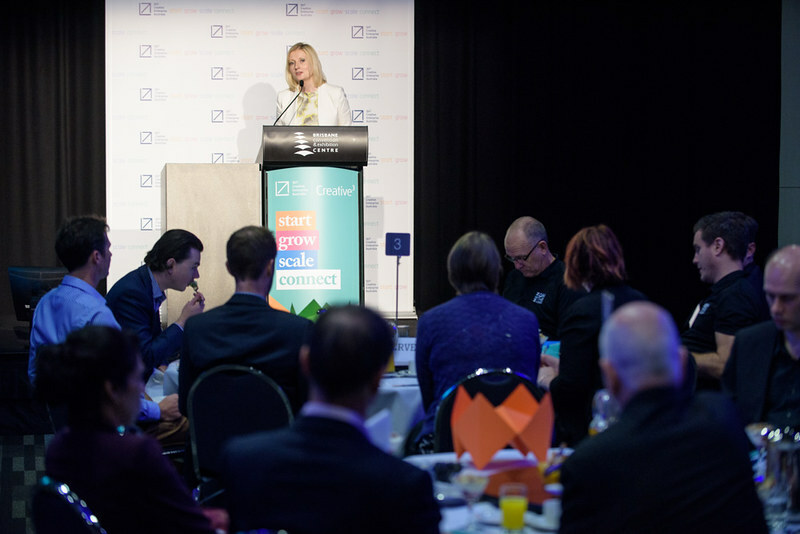 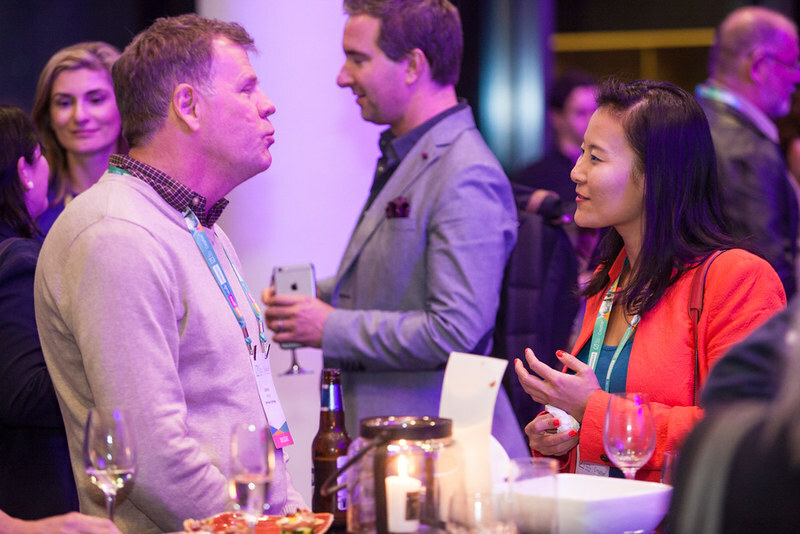 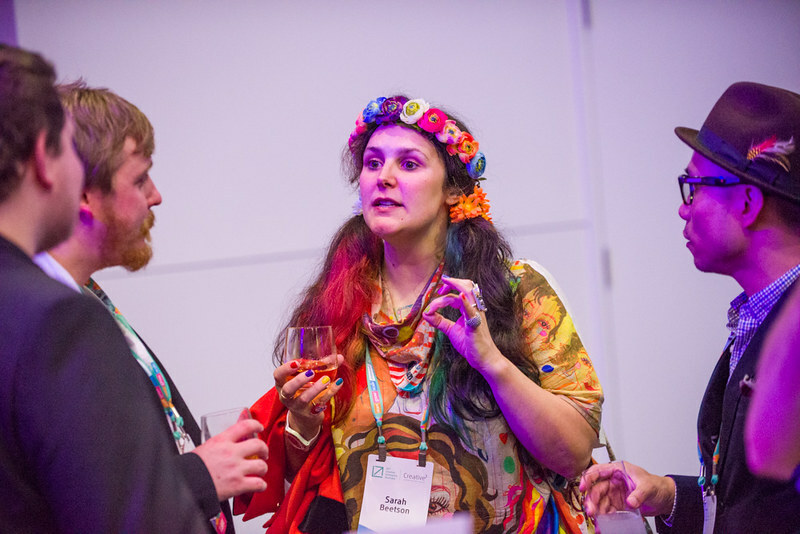 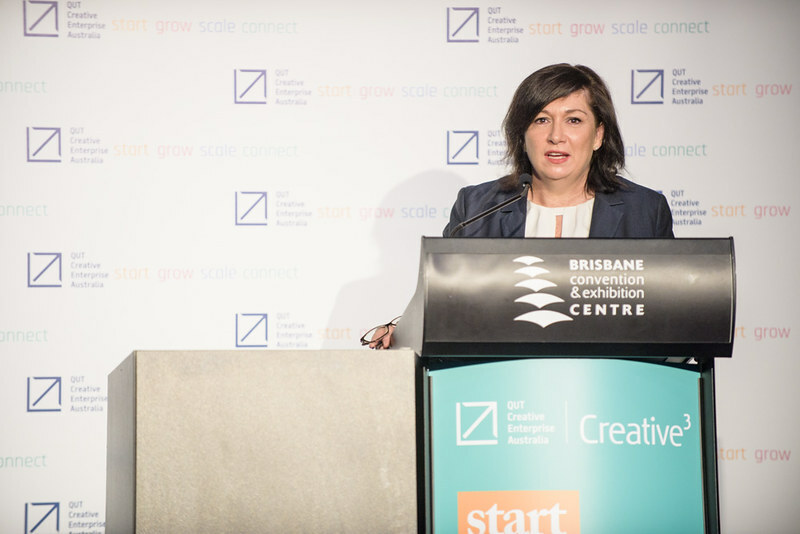 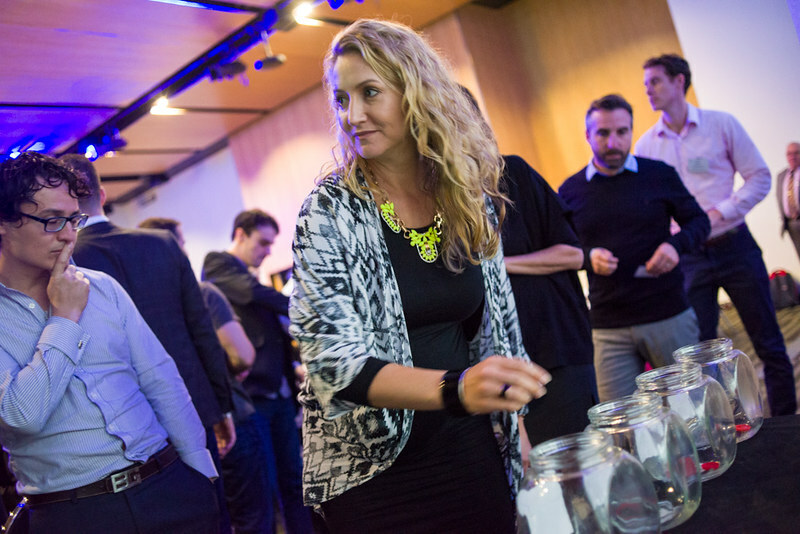 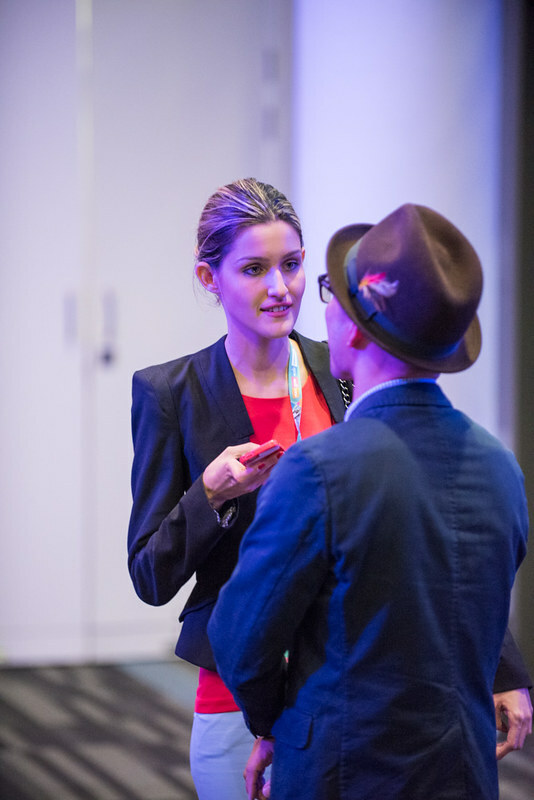 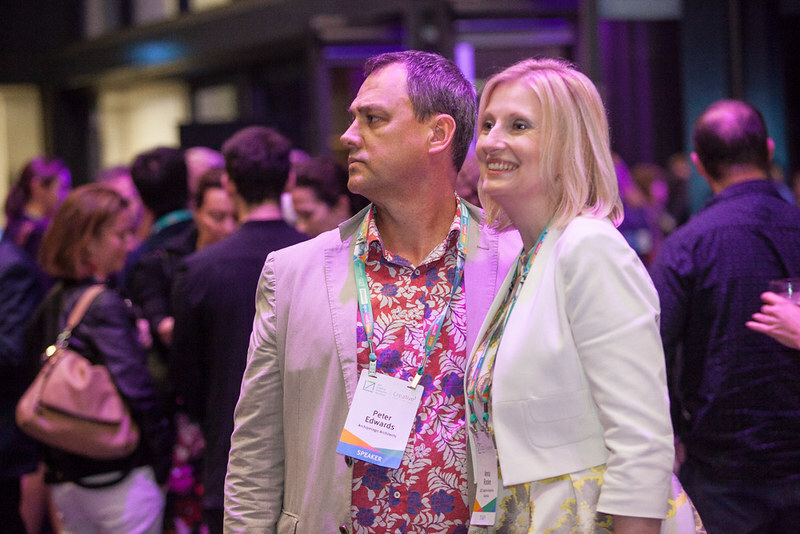 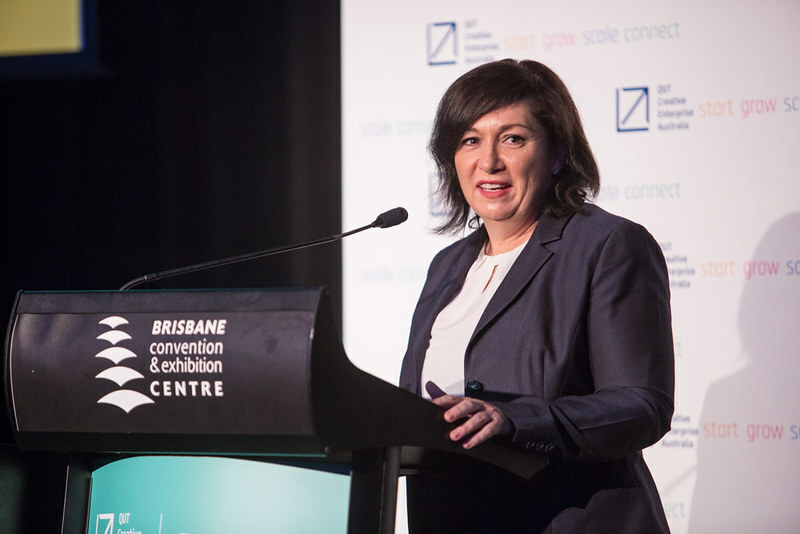 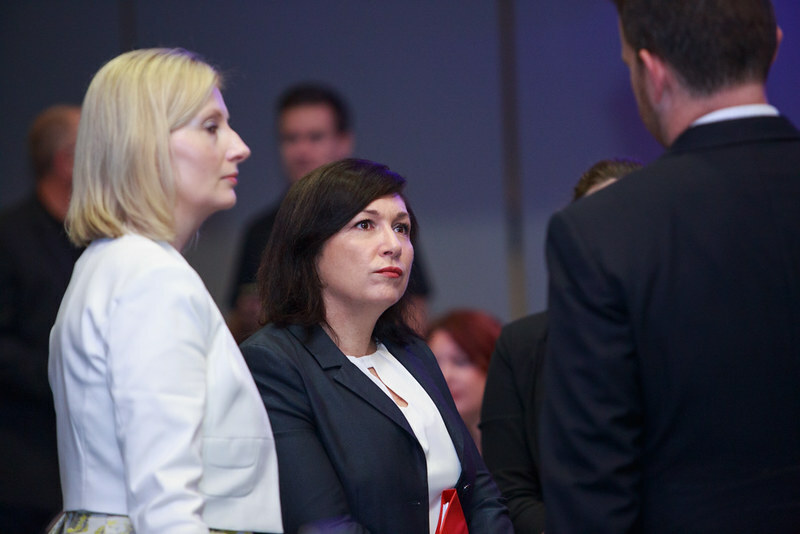 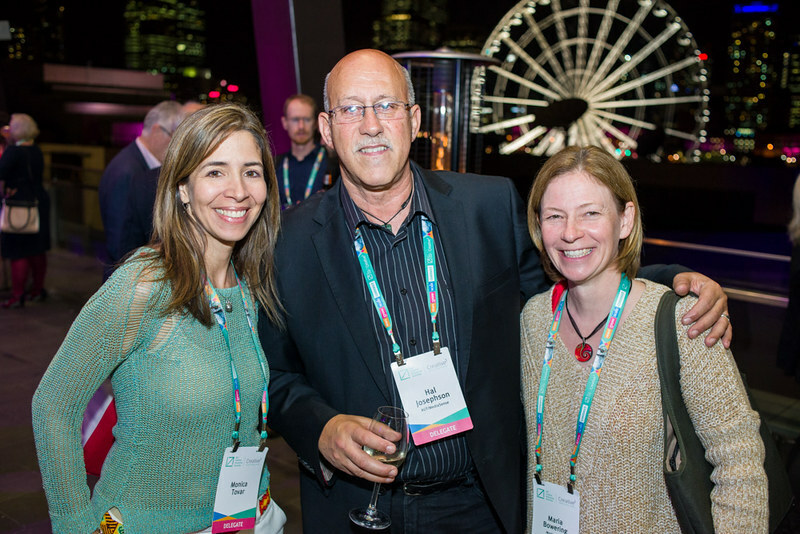 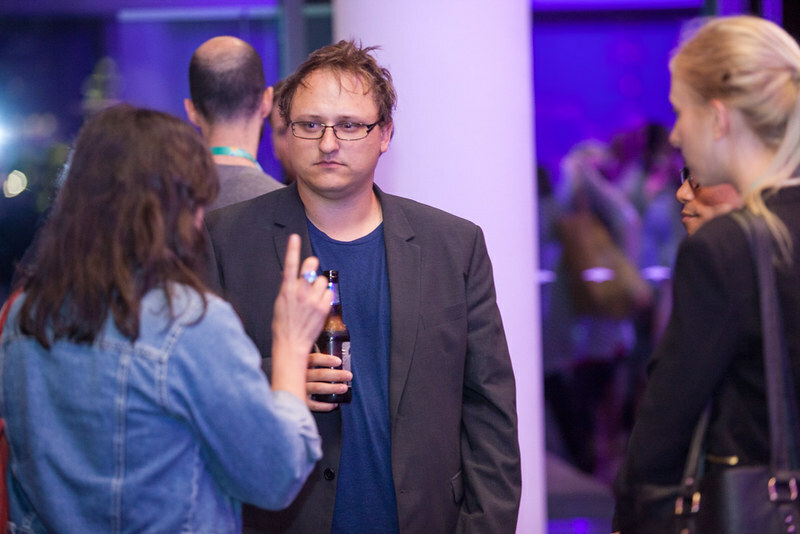 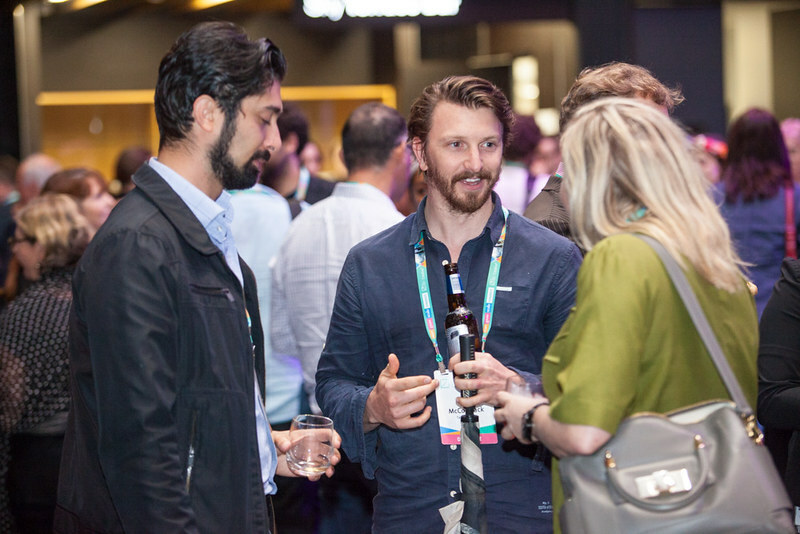 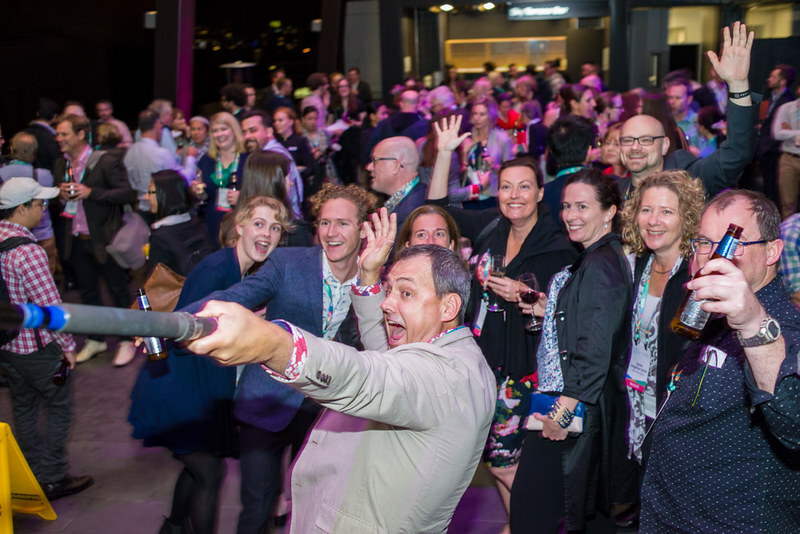 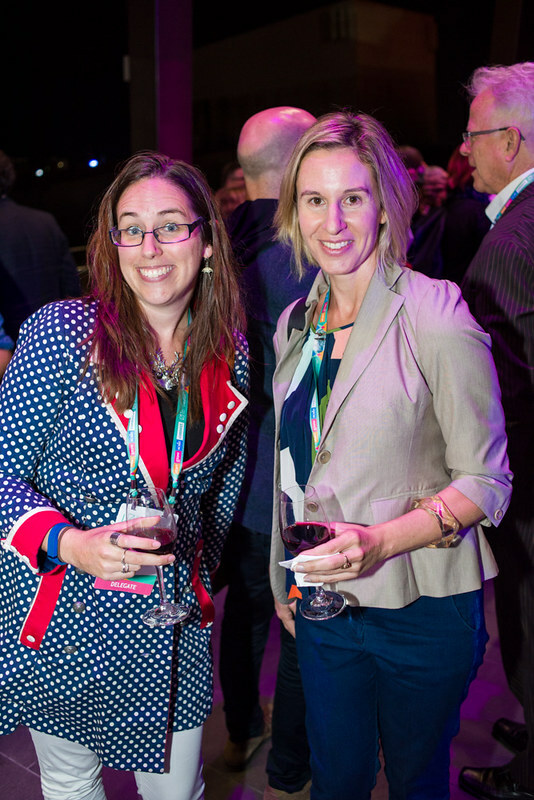 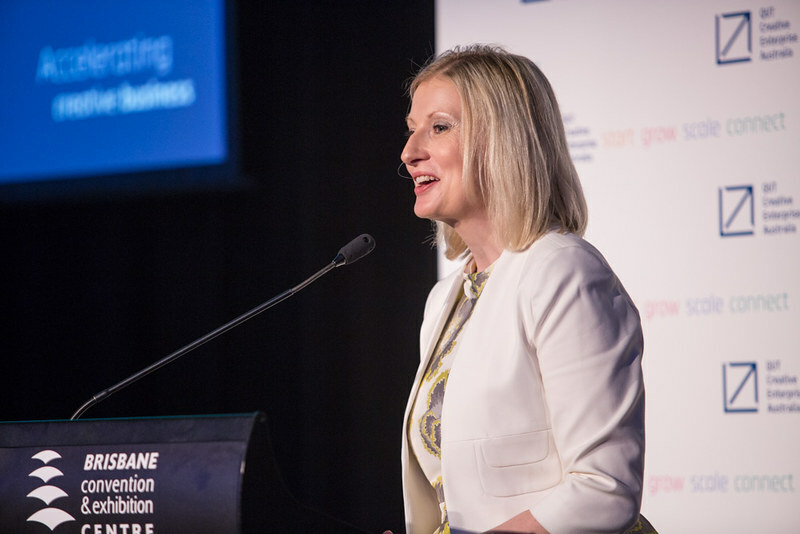 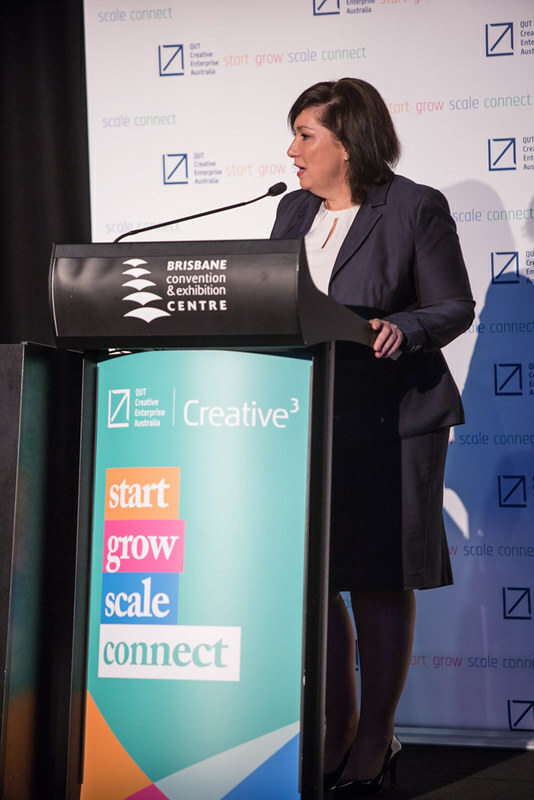 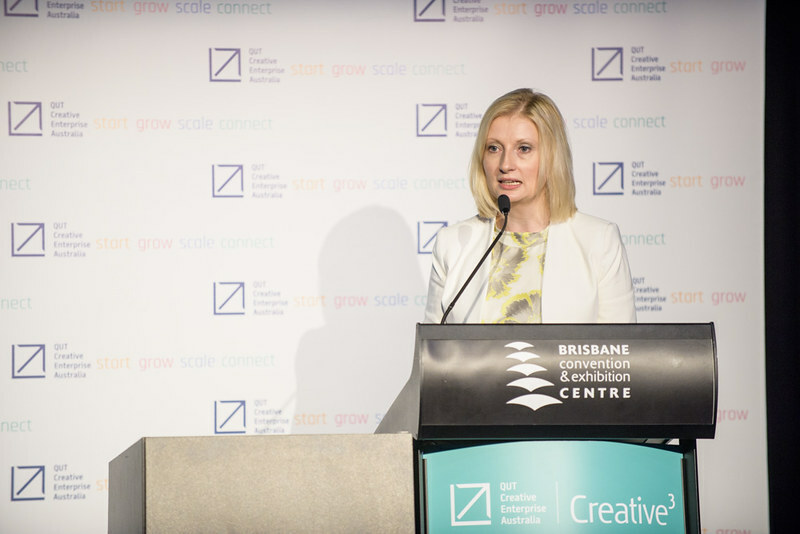 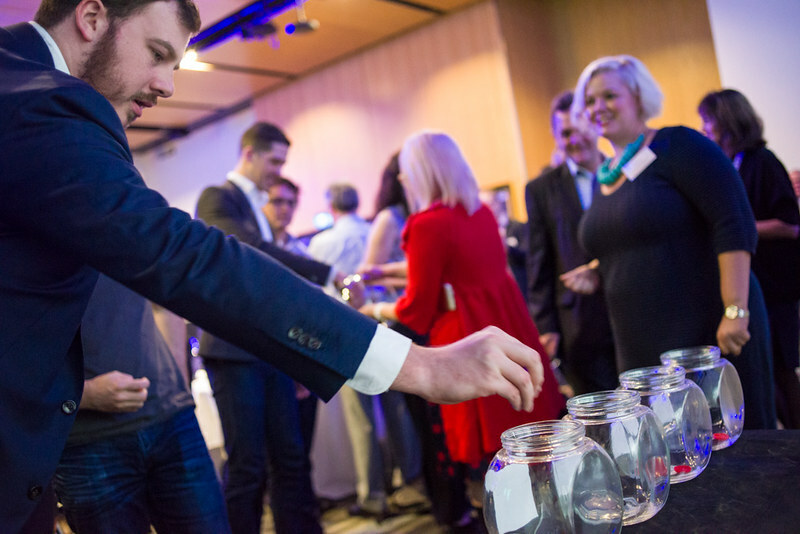 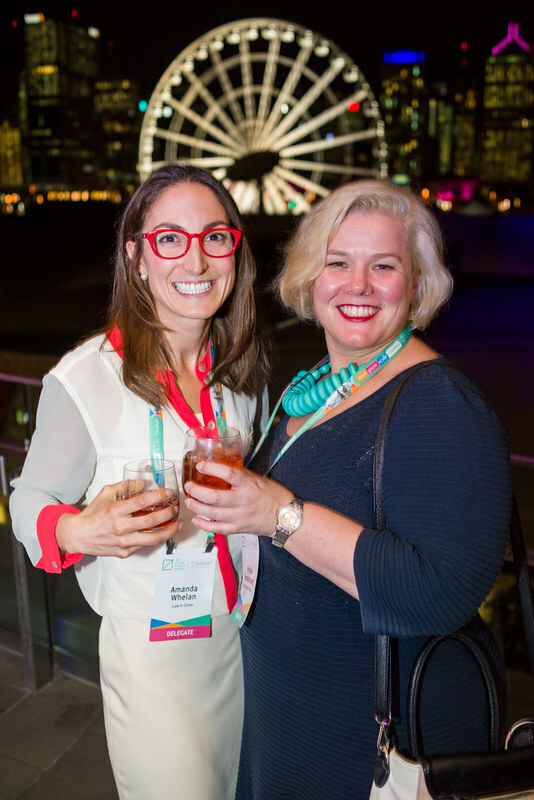 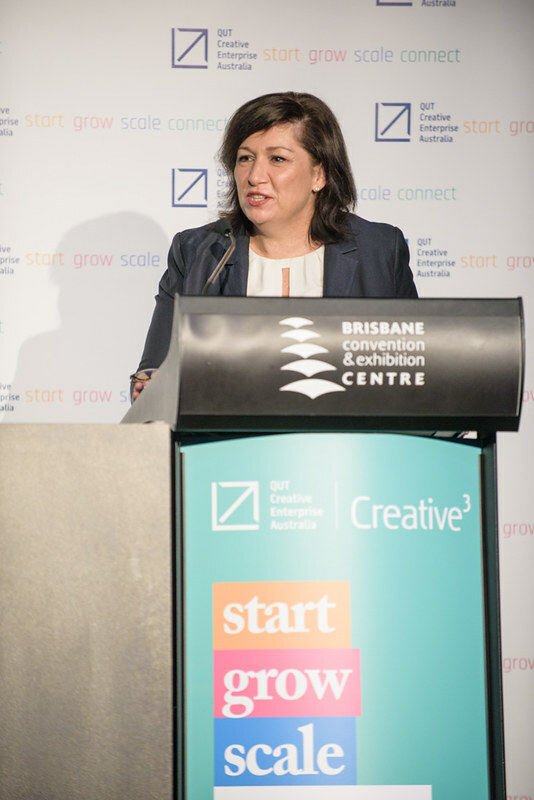 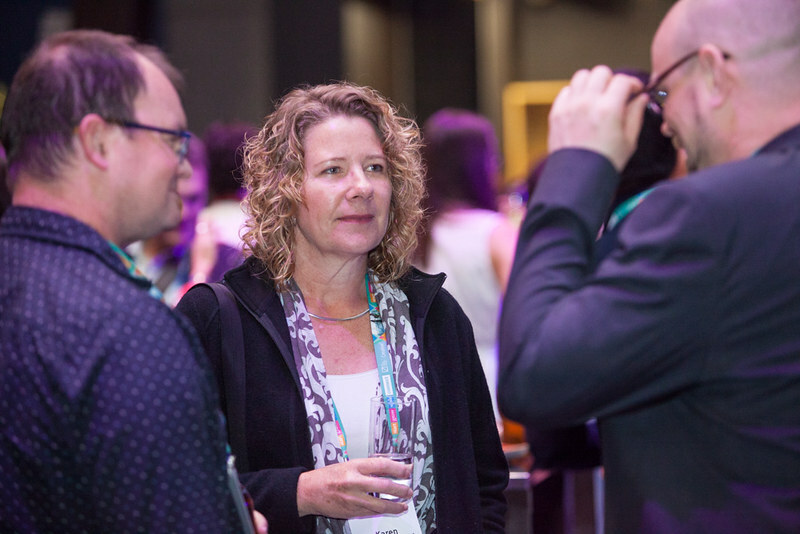 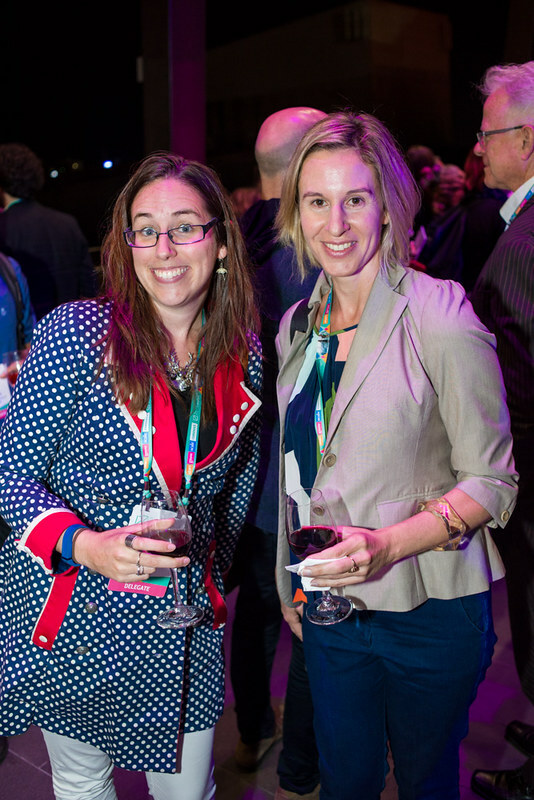 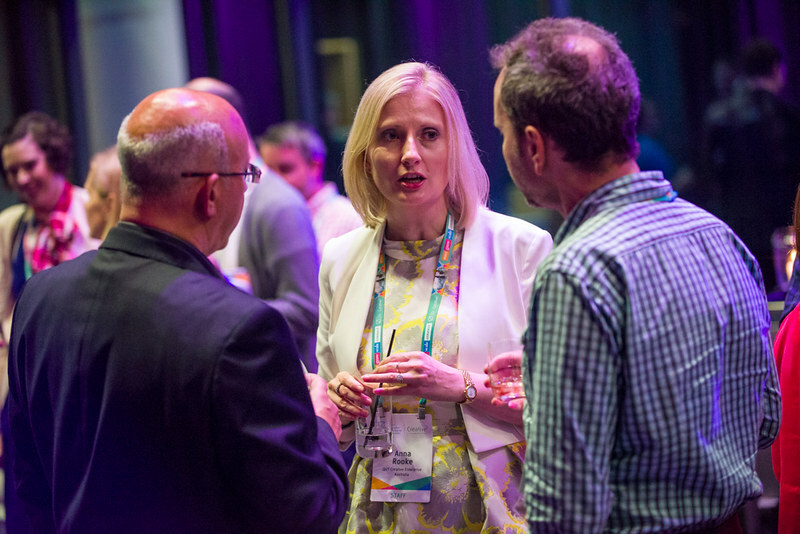 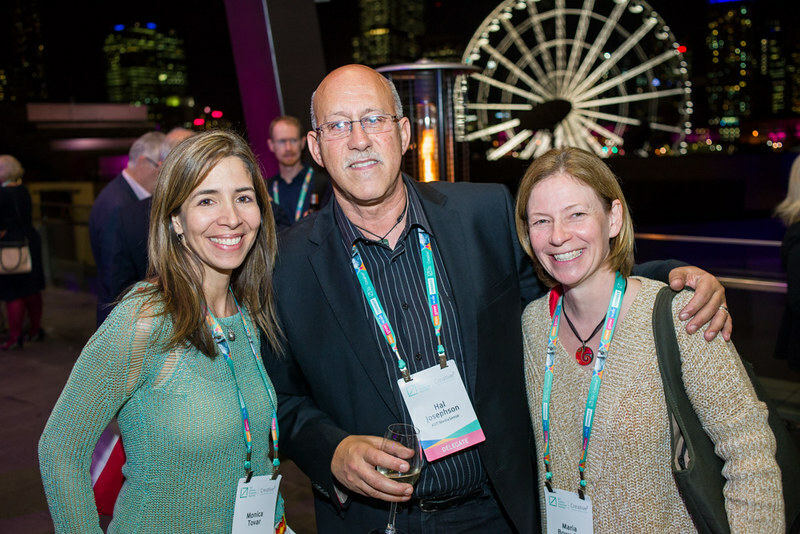 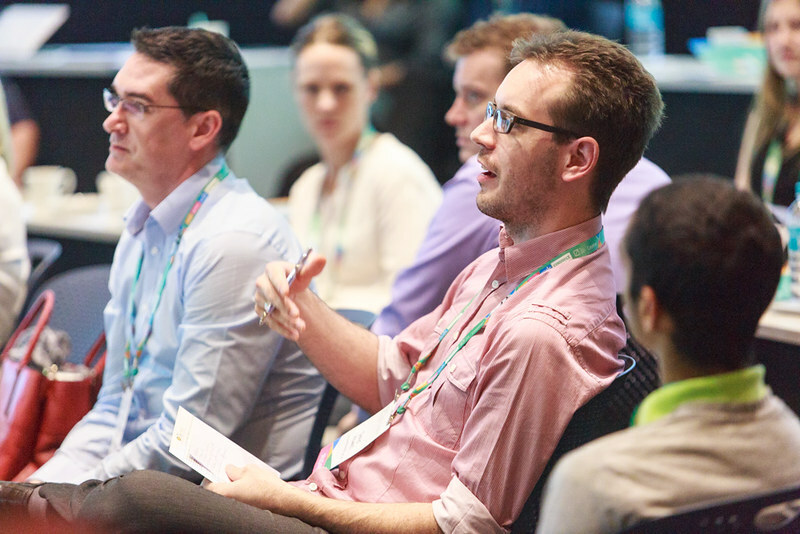 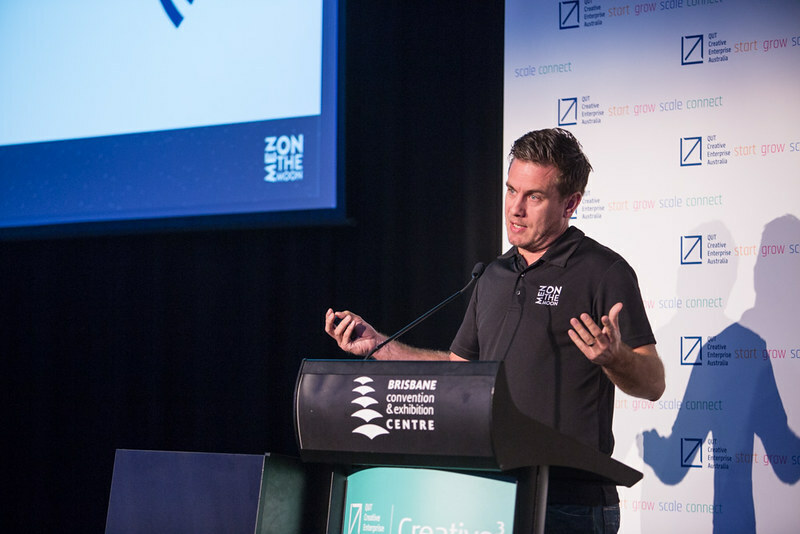 Creative3 2015 featured presentations from leading creative entrepreneurs and thought leaders from around the world, to explore innovation in creativity, investment and enterprise. 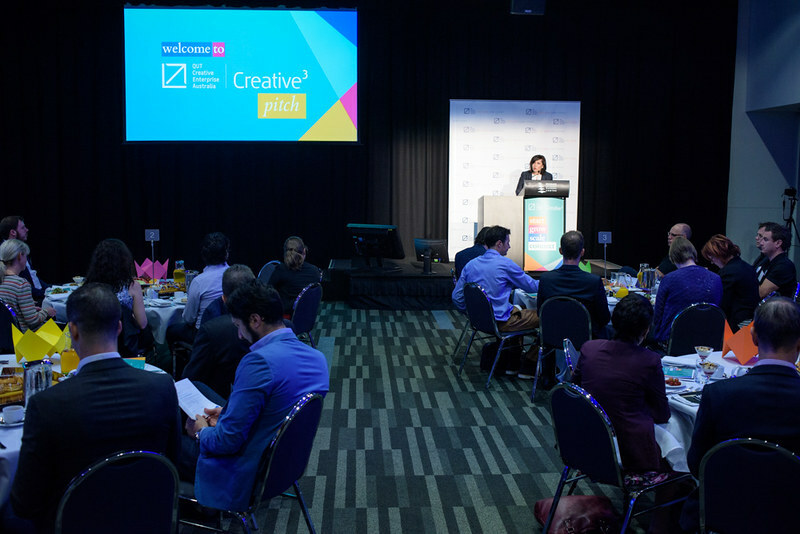 In 2015 we celebrated Australia’s first place ranking out of 139 nations in the Global Creativity Index. 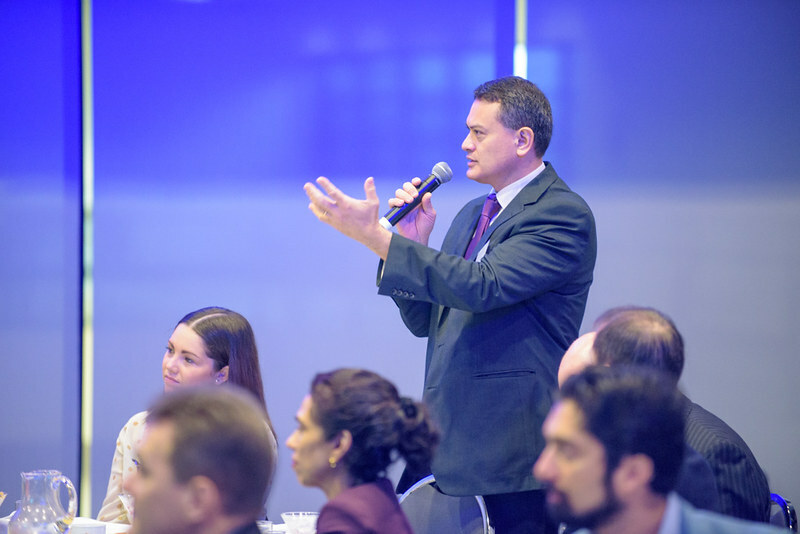 The index is a measure for advanced economic growth, competitiveness and sustainable prosperity, ranking nations worldwide on “three Ts” as measures of economic development — talent, technology, and tolerance. 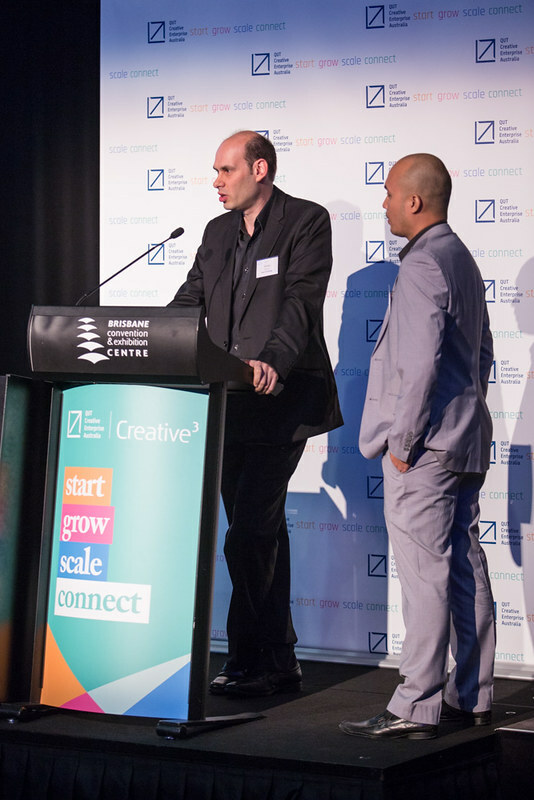 Our focus in 2015 was showcasing the talent, technology and tolerance of game changers and innovative thinkers to start, grow and scale their venture globally. 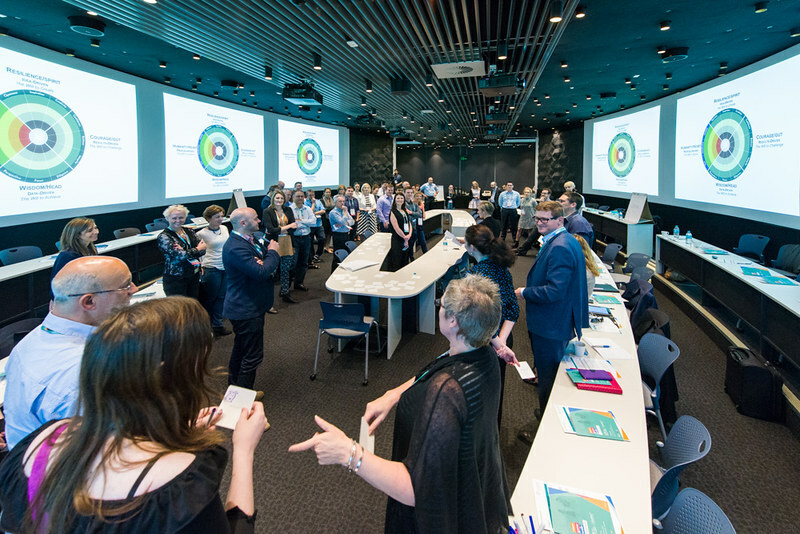 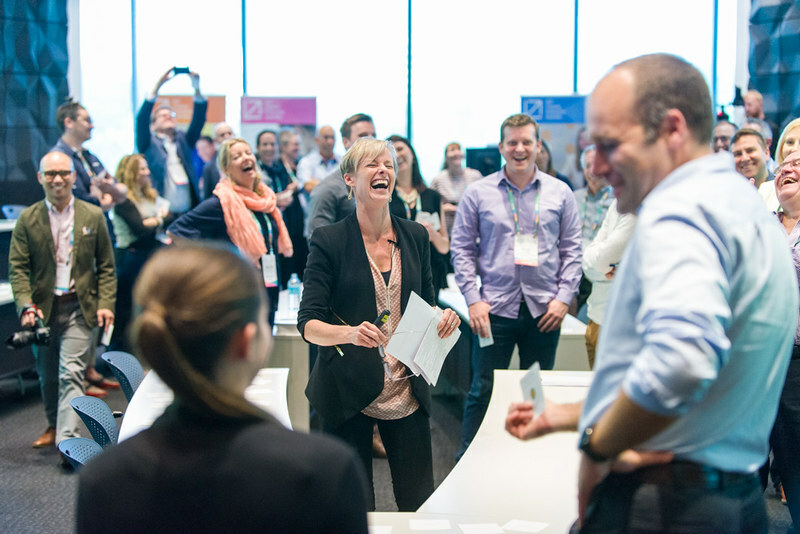 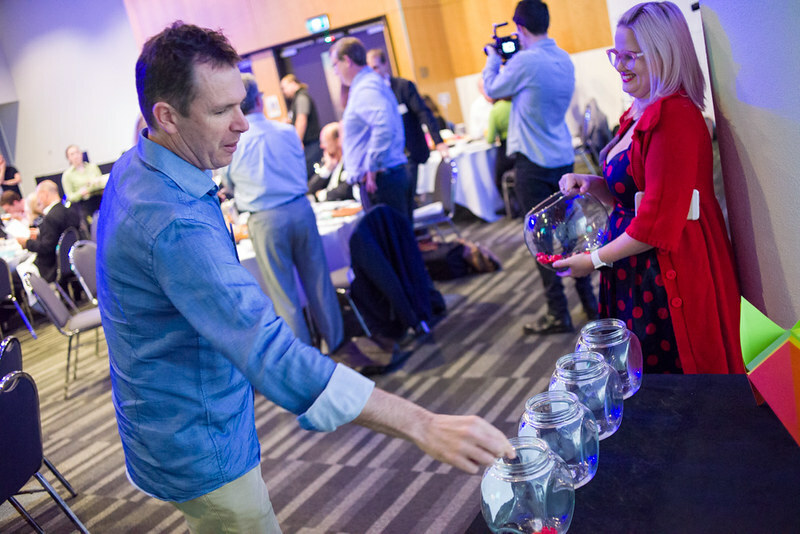 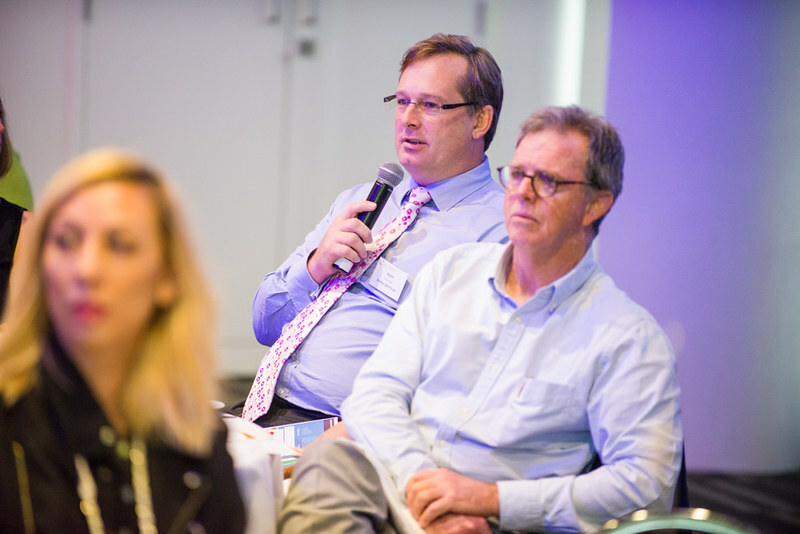 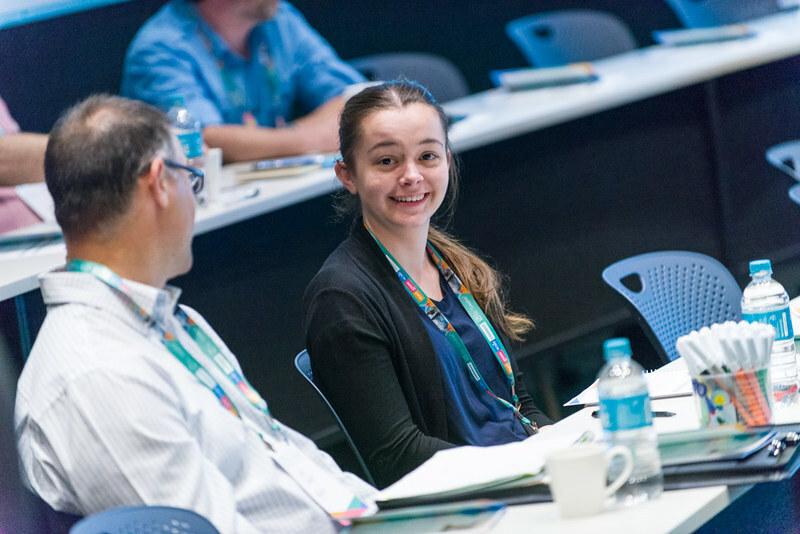 Innovative approaches to business creativity, raising capital, design led business models and building leadership capacity were key areas of focus across the Forum and Masterclass. 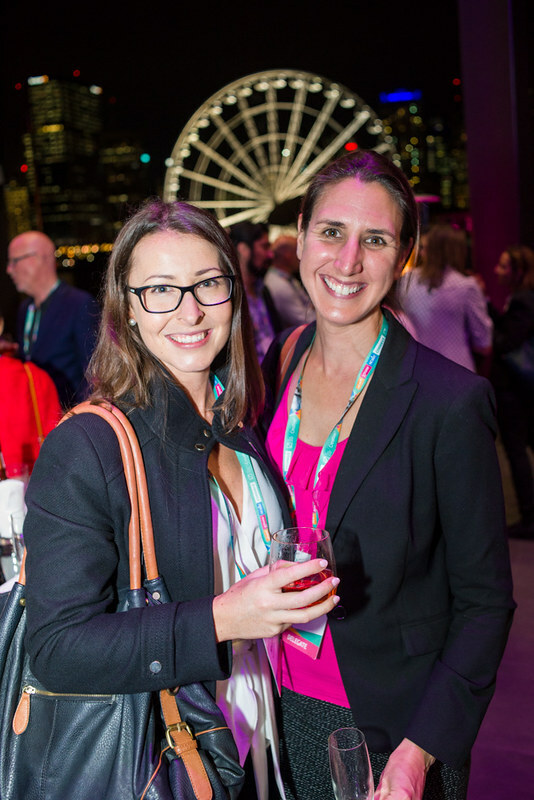 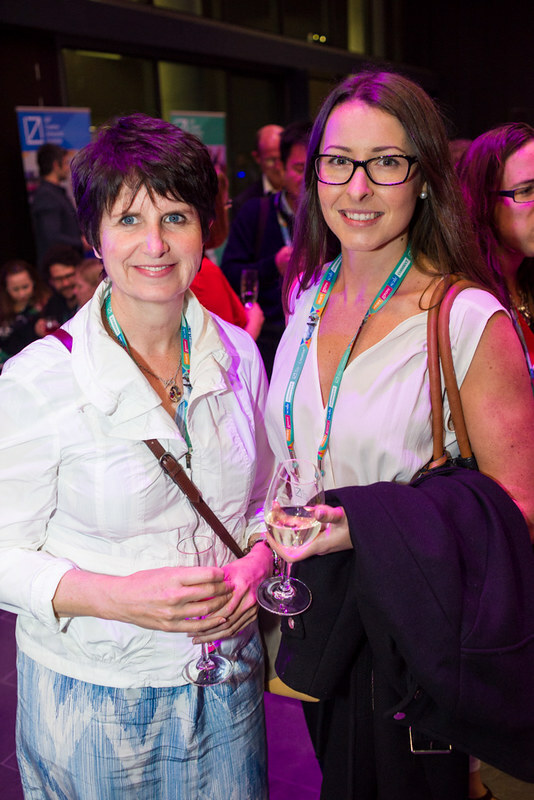 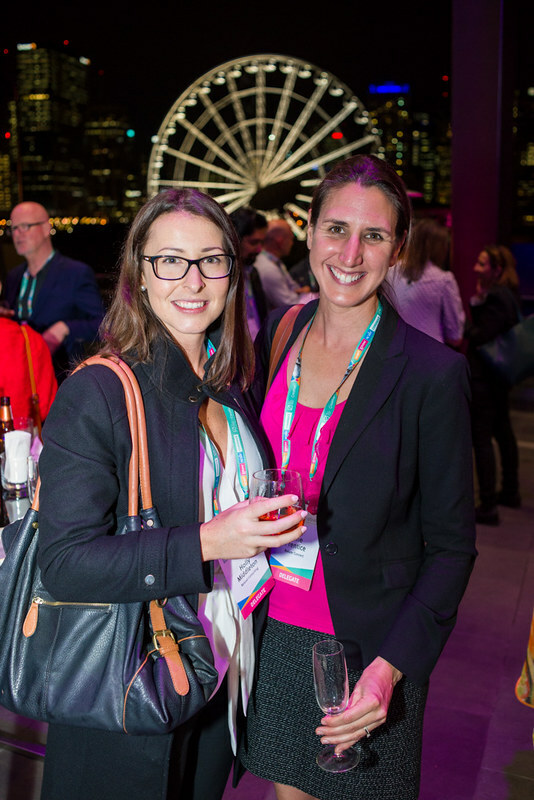 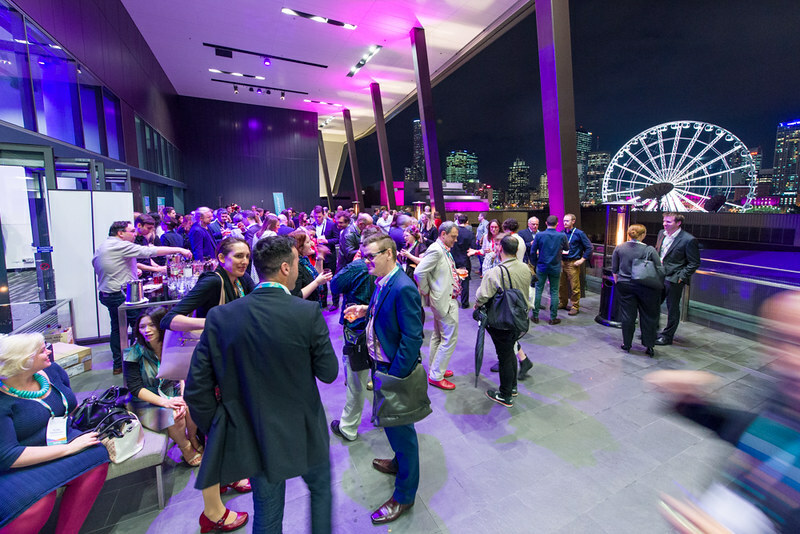 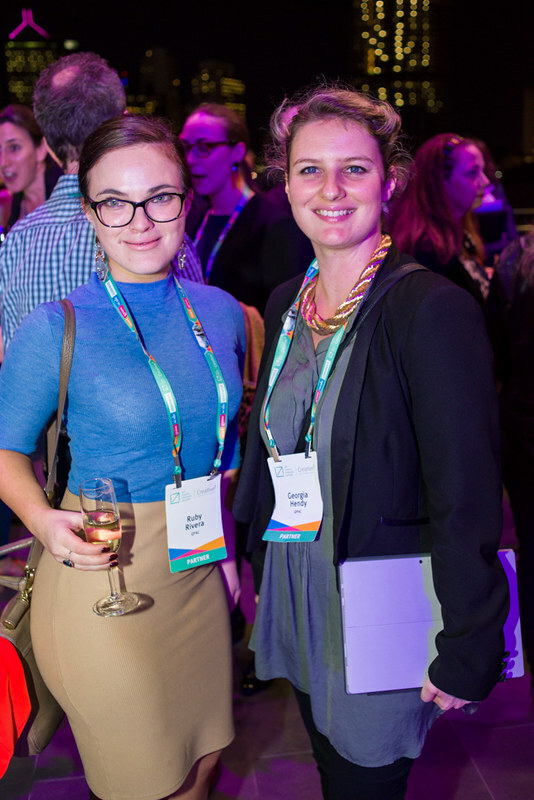 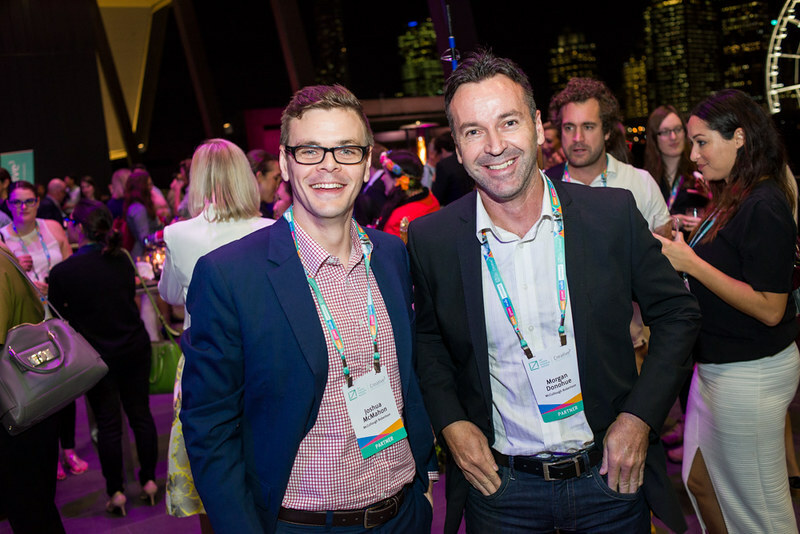 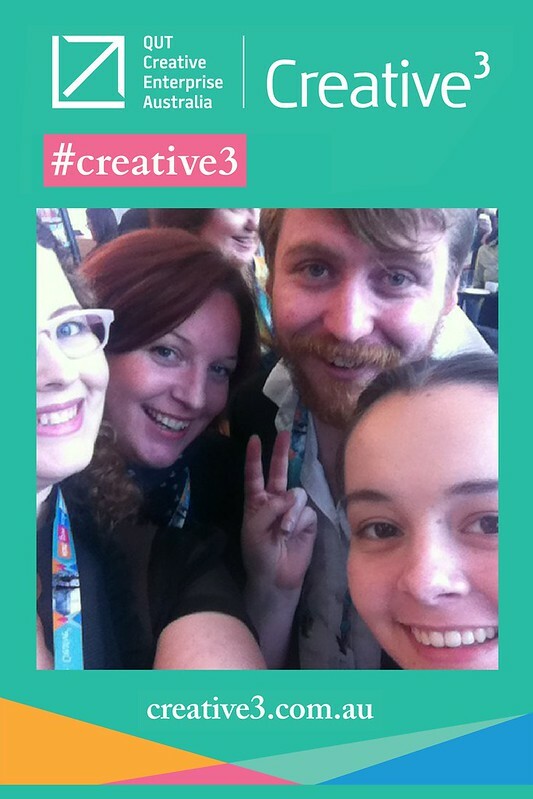 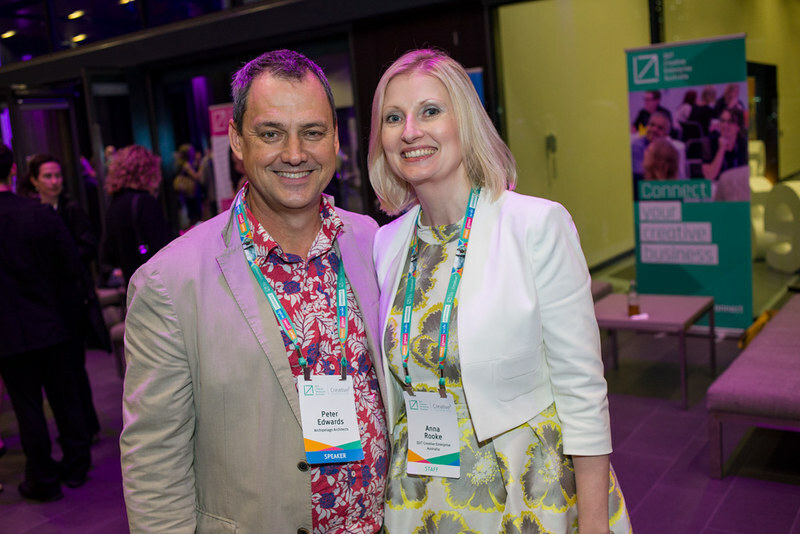 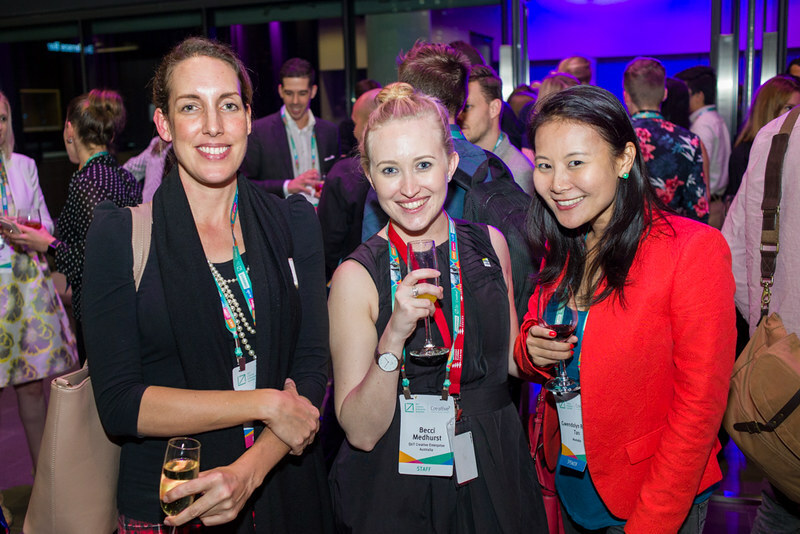 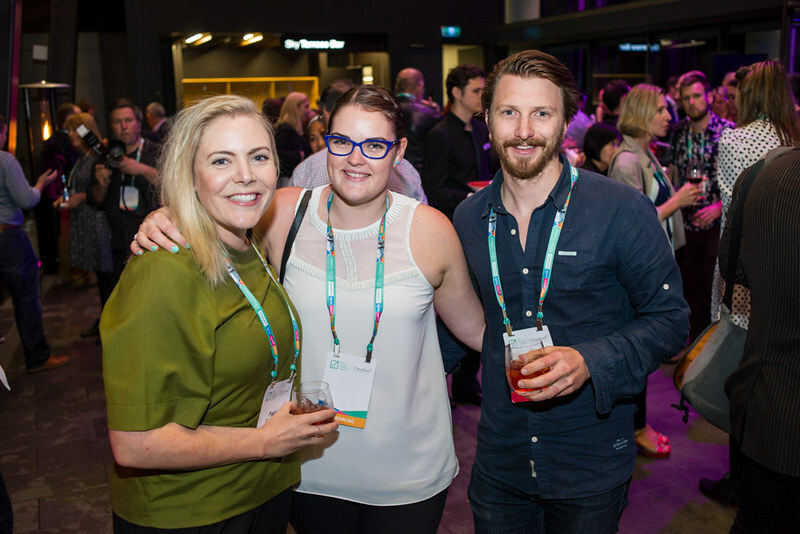 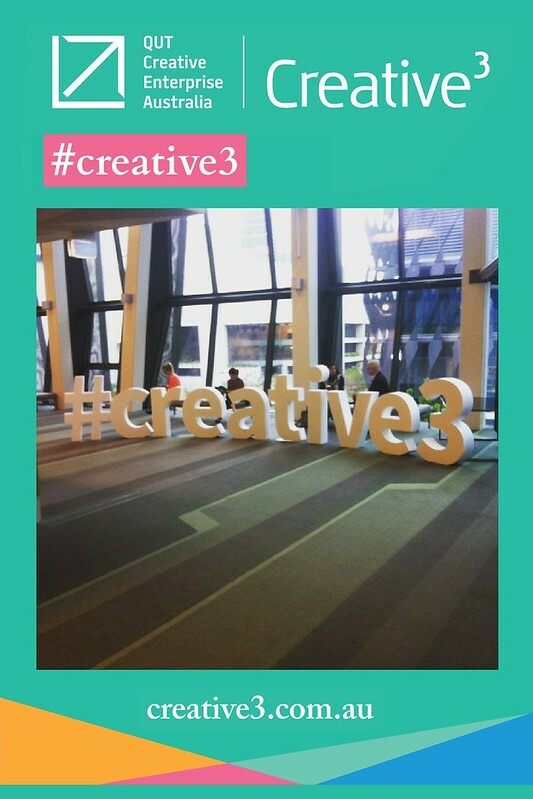 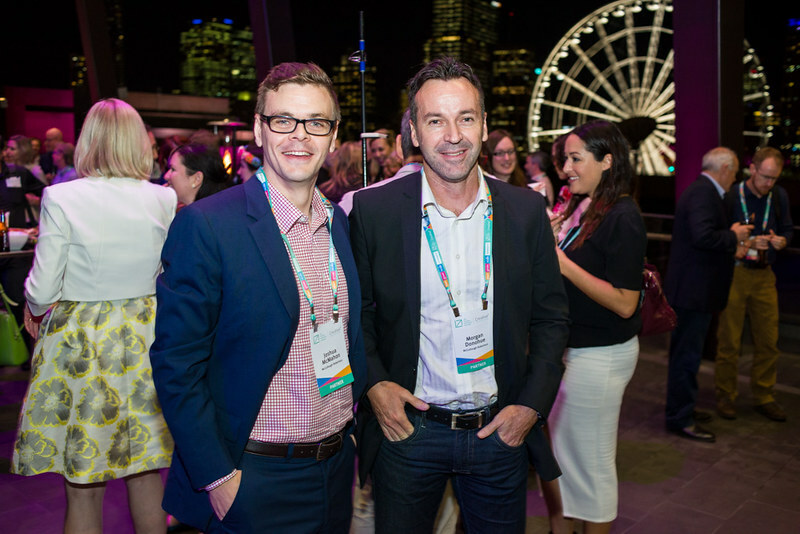 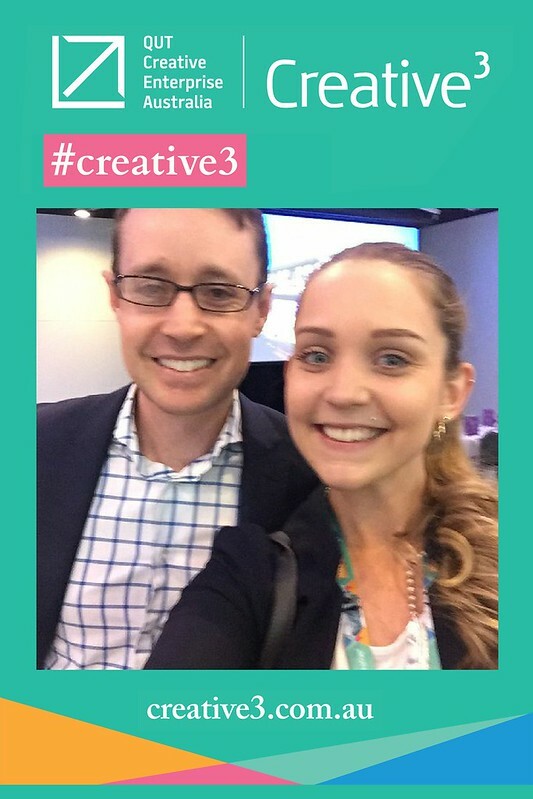 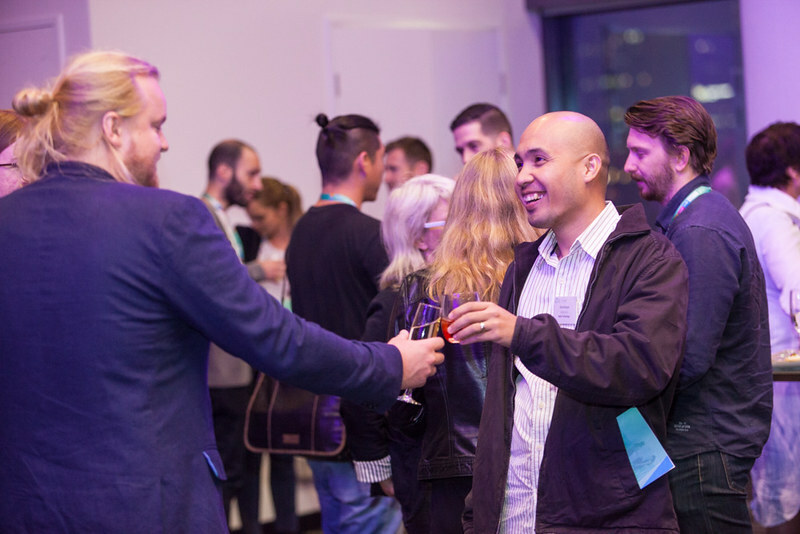 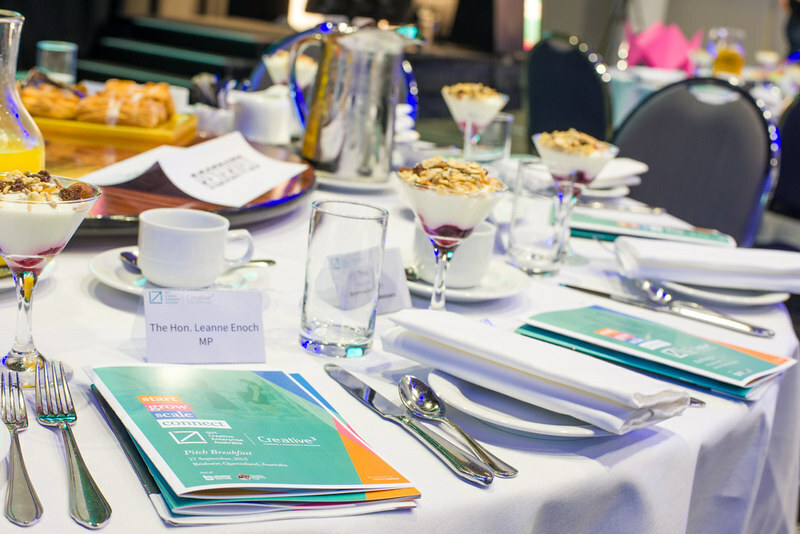 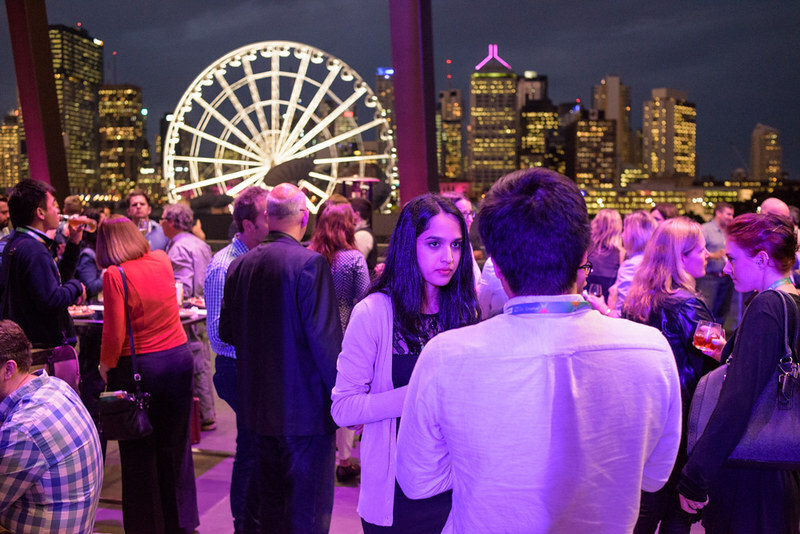 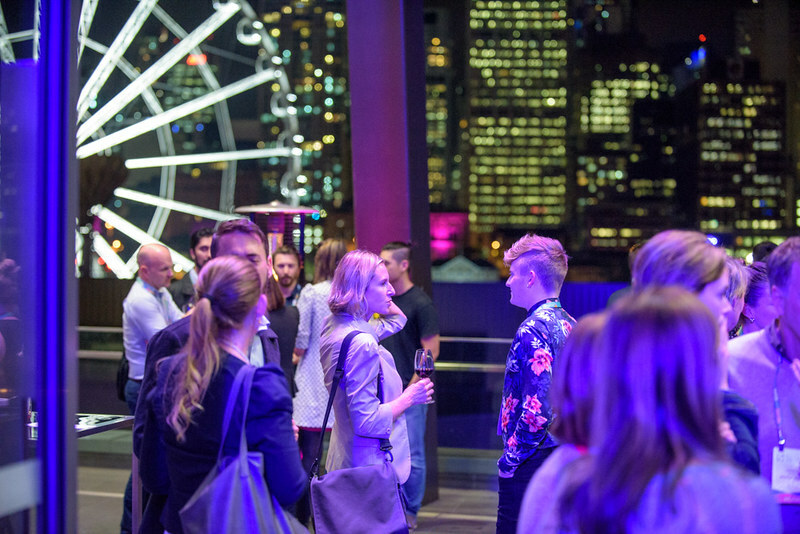 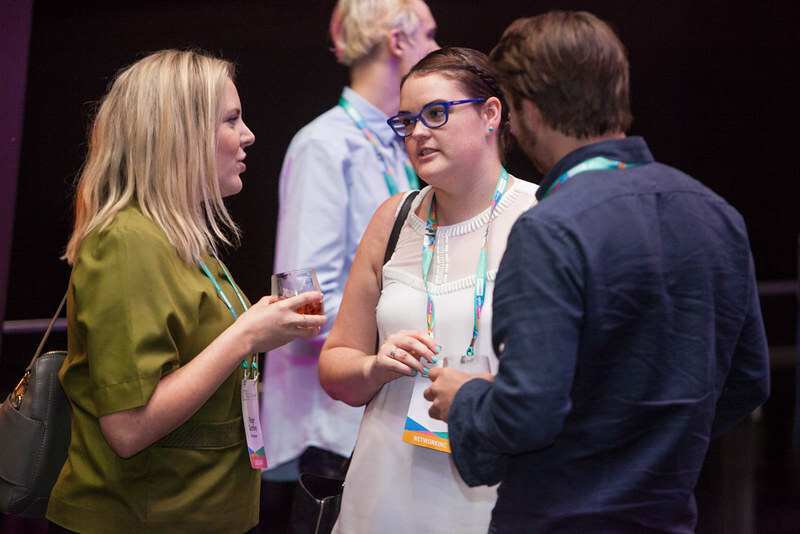 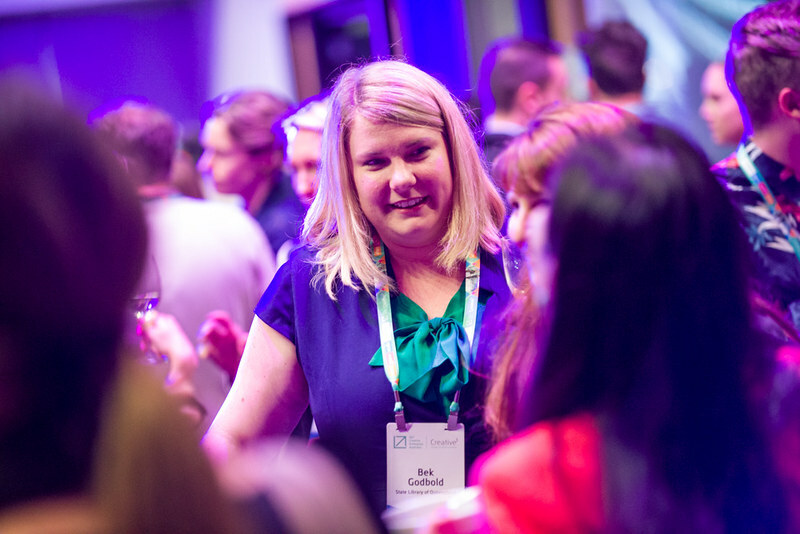 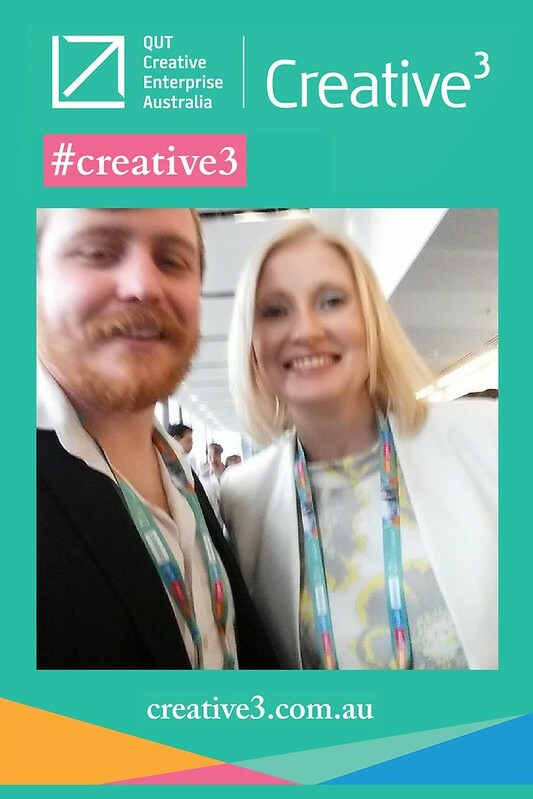 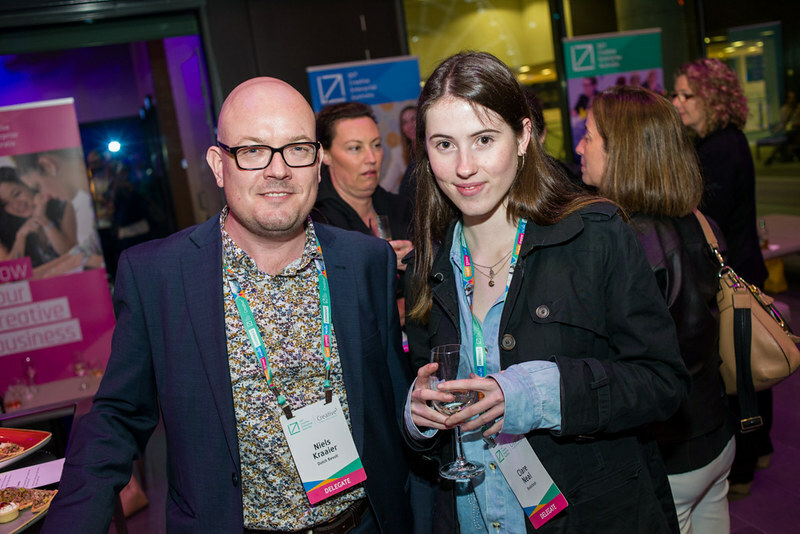 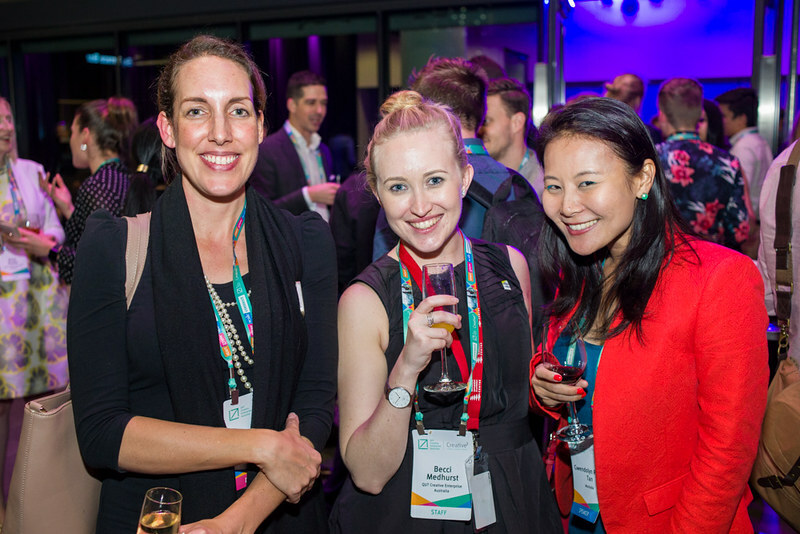 Another sell-out event, #creative3 was also the top trending hashtag on Twitter in Australia for the duration of the event. 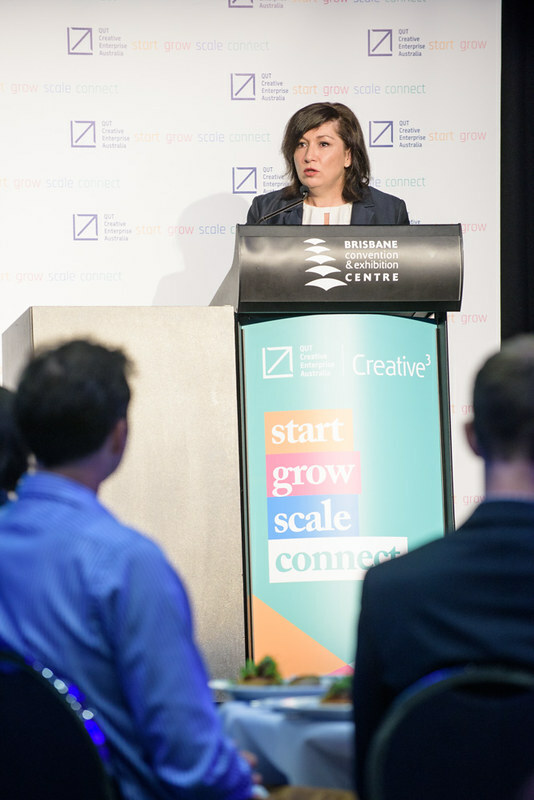 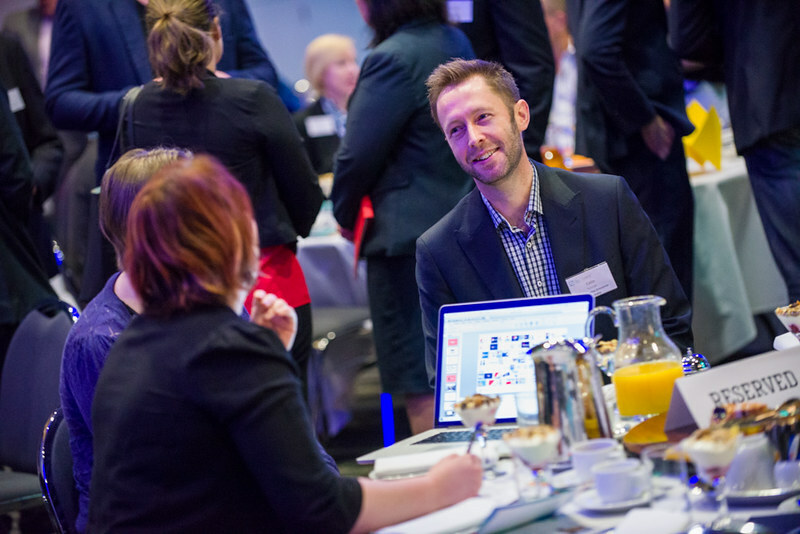 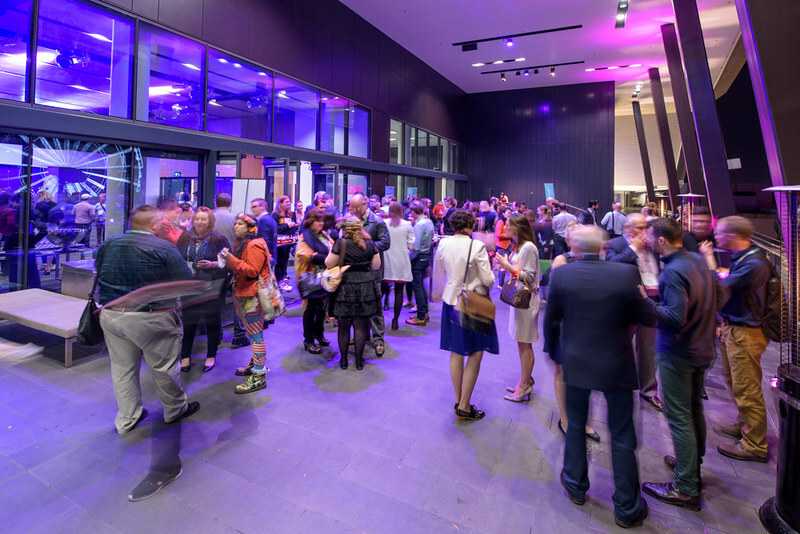 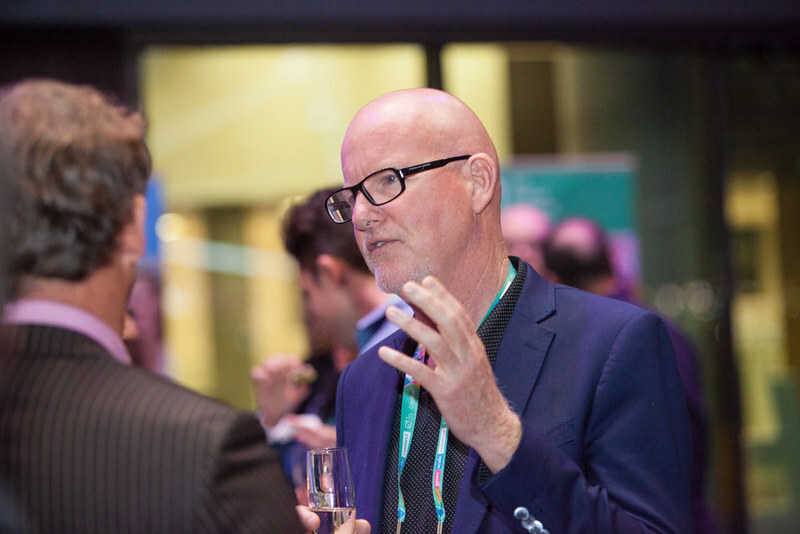 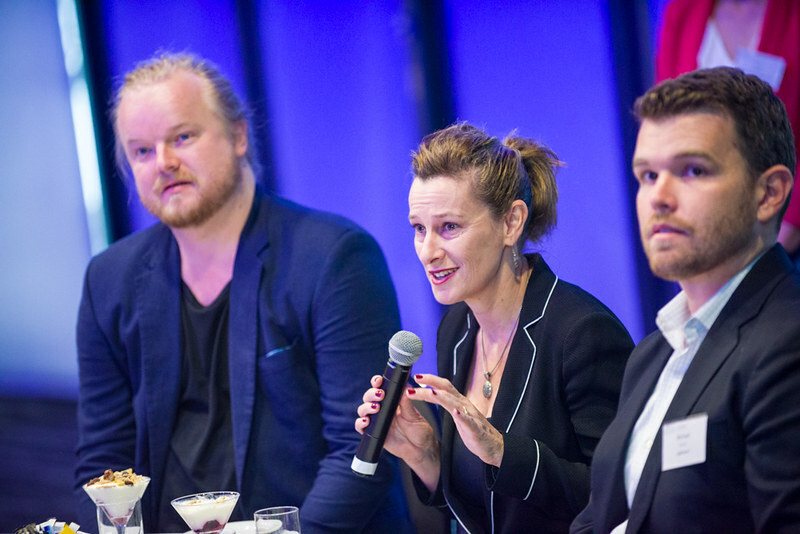 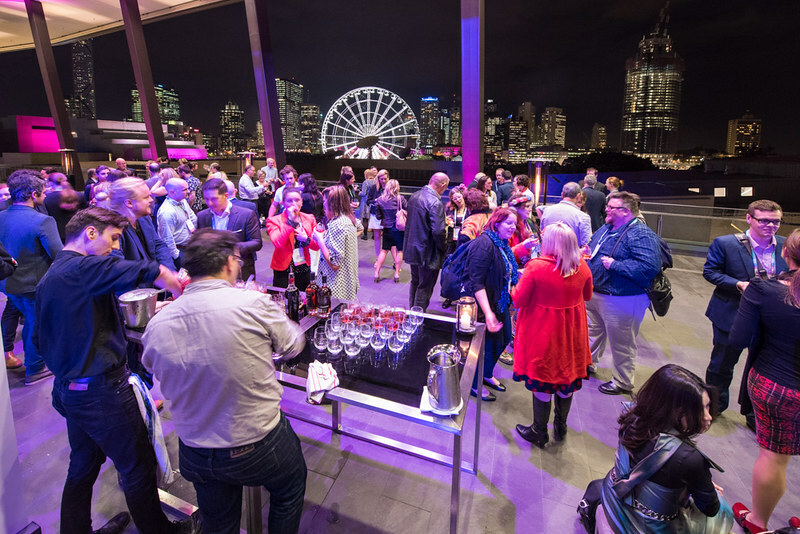 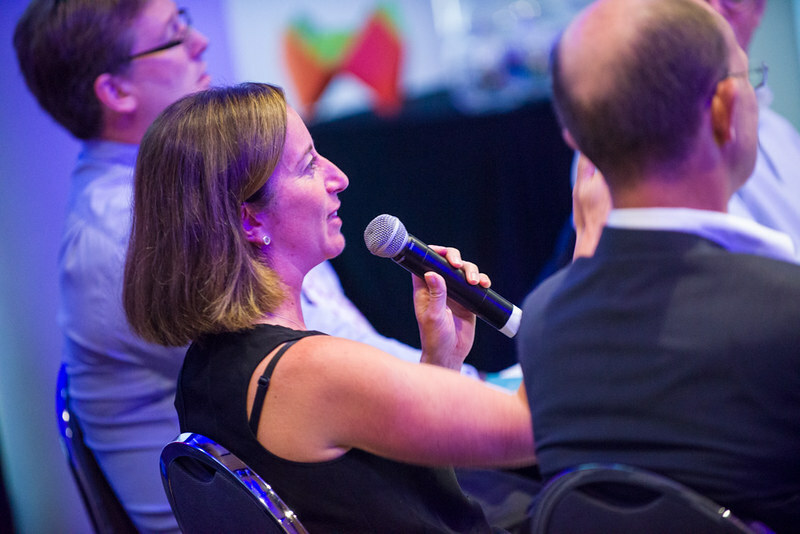 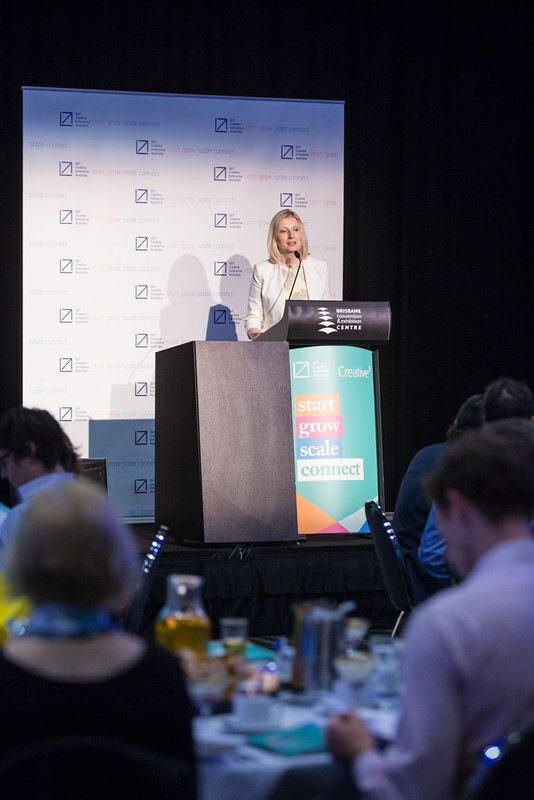 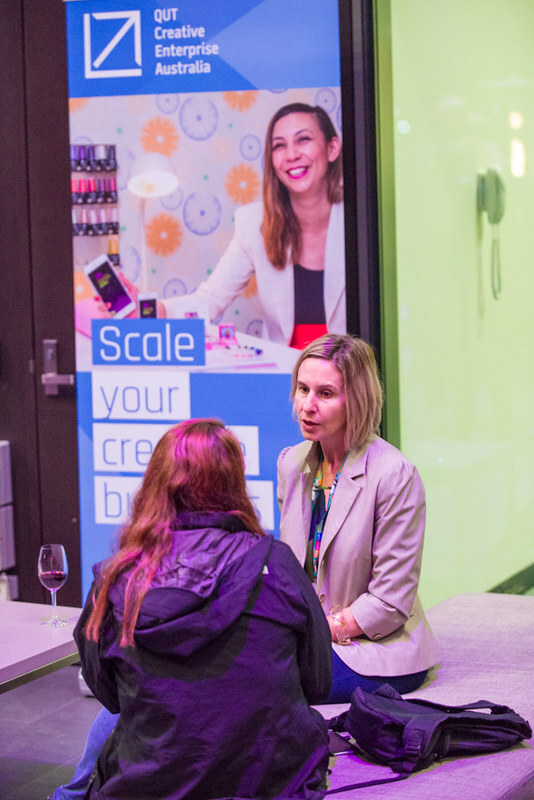 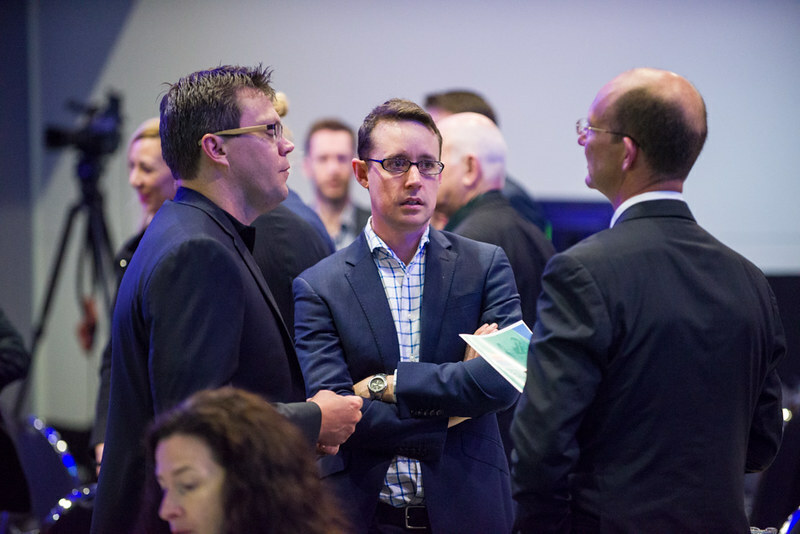 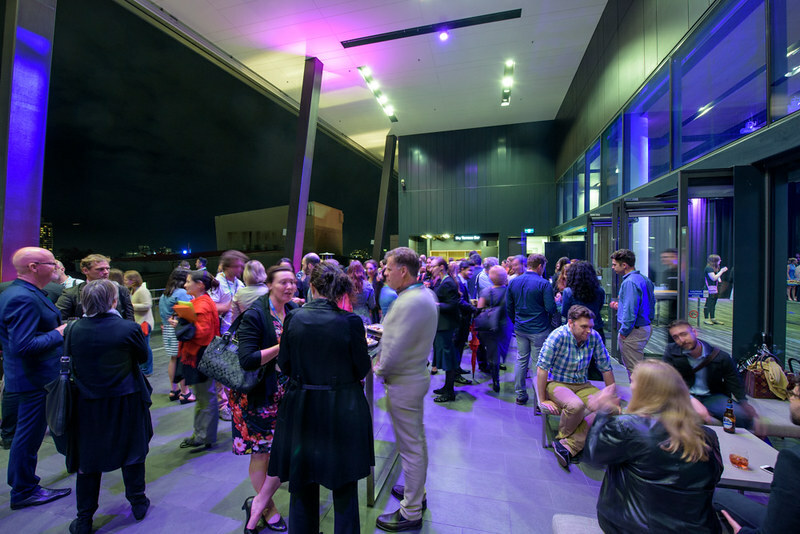 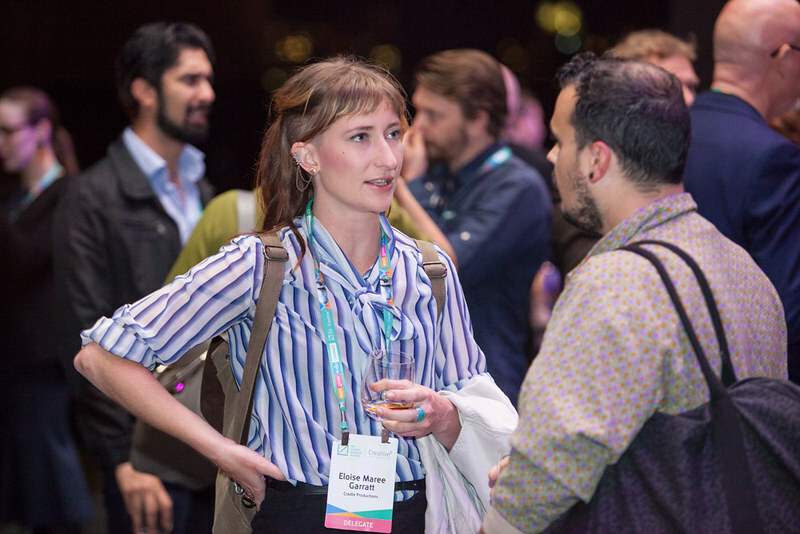 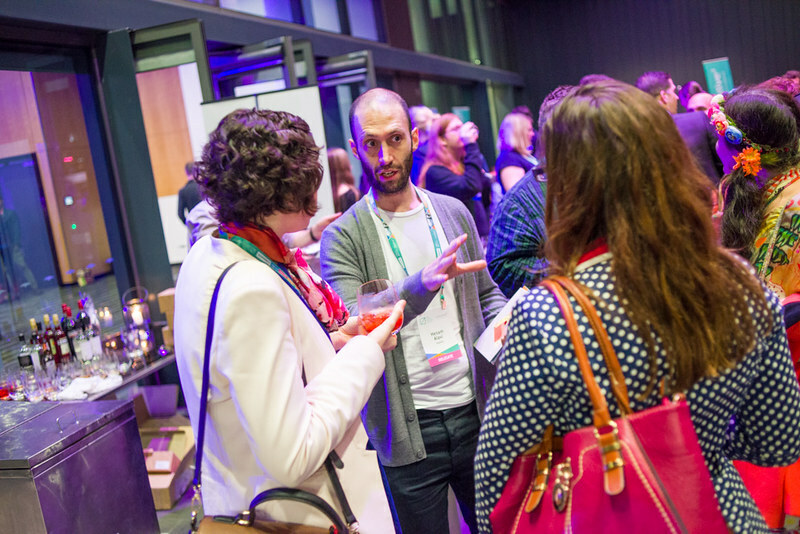 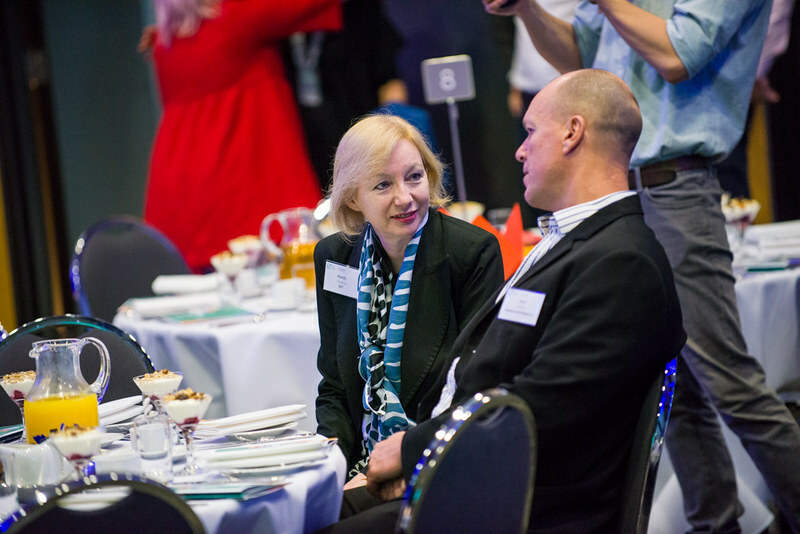 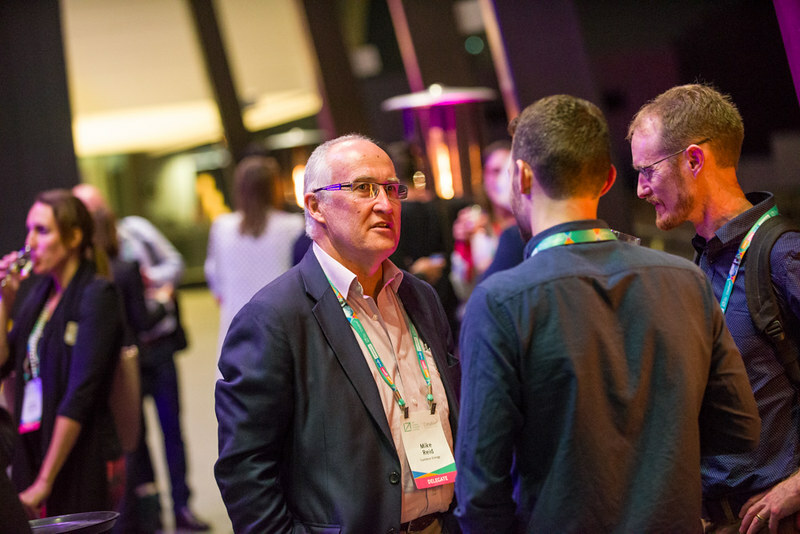 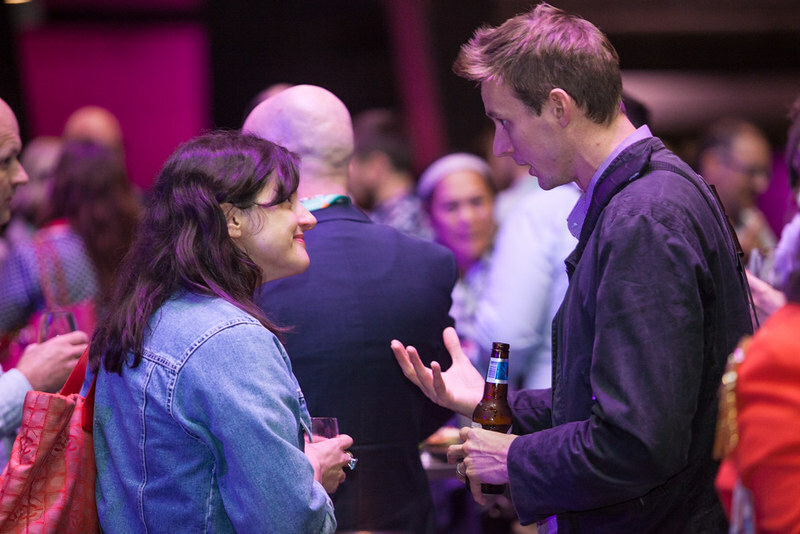 In 2015, the Creative3 Forum focused on new pathways for business success, collaboration and insights in raising capital for new frontier creative businesses. 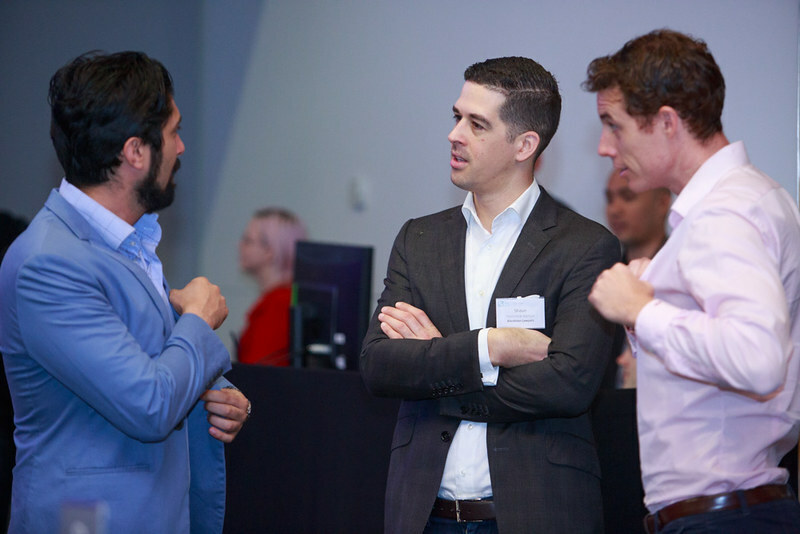 In particular, we looked at how to ‘sell the future’ when reviewing disruptive business models and securing capital in fields spanning quantum computing, augmented reality, wearable tech, customised fashion and entertainment. 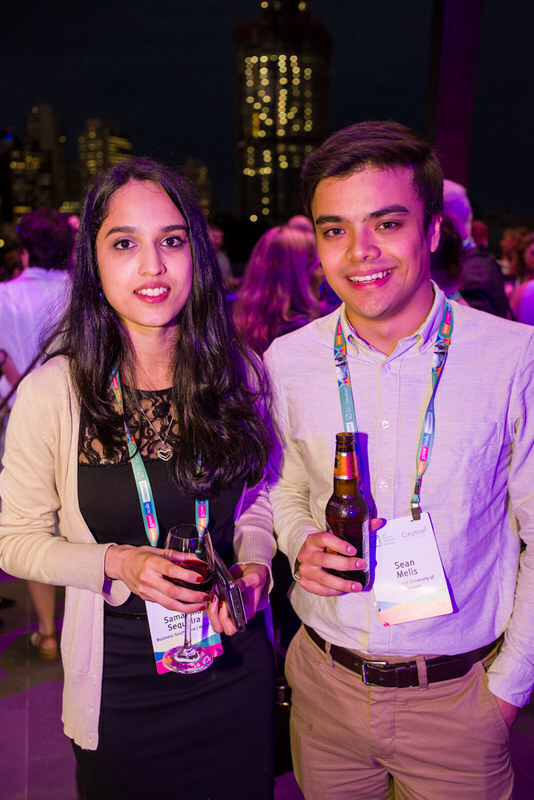 Media analysts say the future is already here—it’s just not evenly distributed. 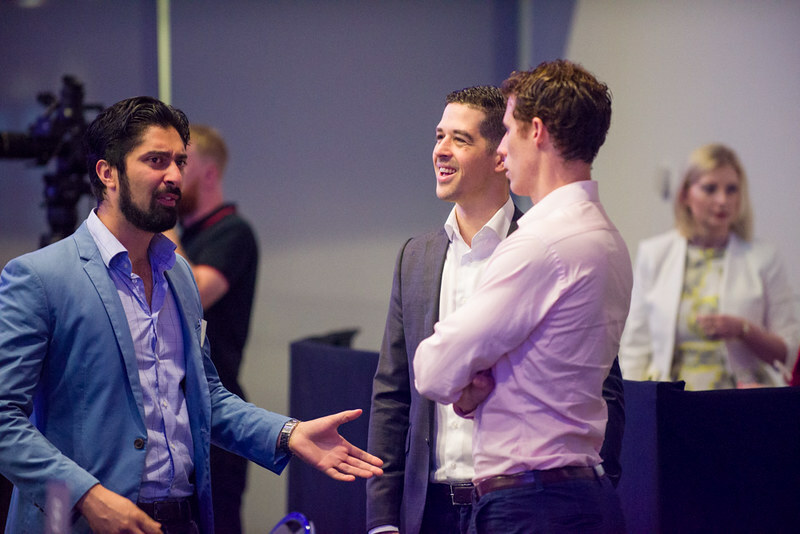 So how do startup founders convince investors to fund highly disruptive ideas? 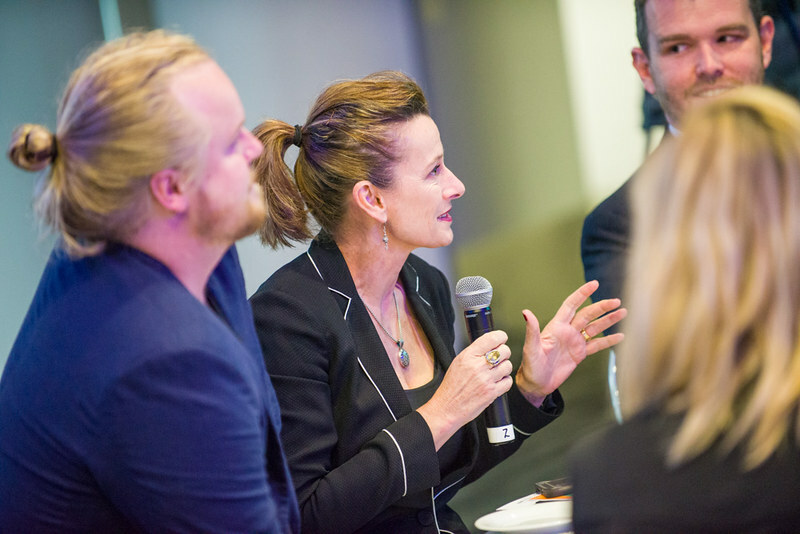 Gwendolyn Regina Tan (Mashable) led Michael Brett (CEO, QxBranch), Thea Baumann (CEO, Metaverse Makeovers), Michael Fox (Co-CEO, Shoes of Prey) and Jon Vlassopulos (Founder & CEO, Fabric Inc.) to share their experiences raising capital both in Australia and overseas; and provide insights into selling to investor blue sky business models spanning quantum computing, augmented nail art, demand-driven retail production and entertainment. 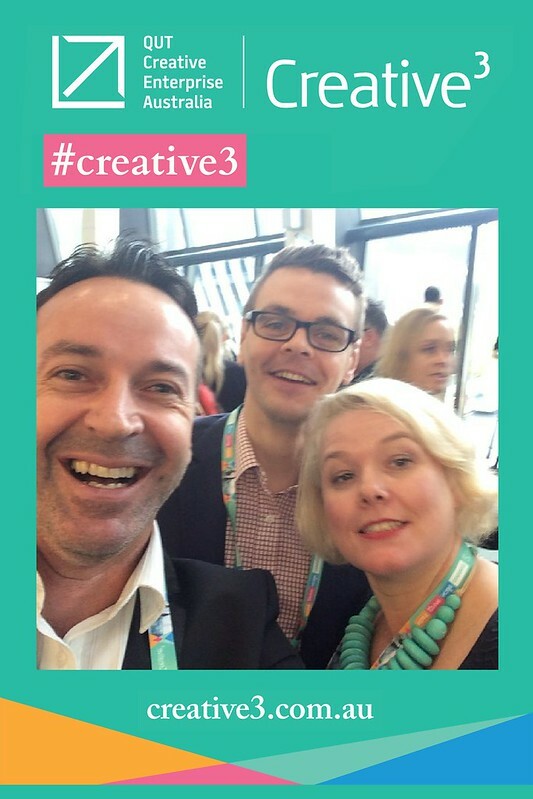 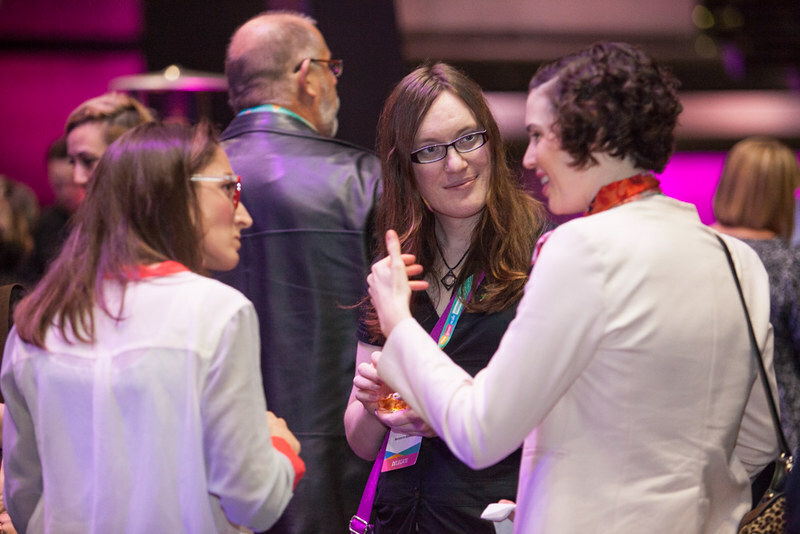 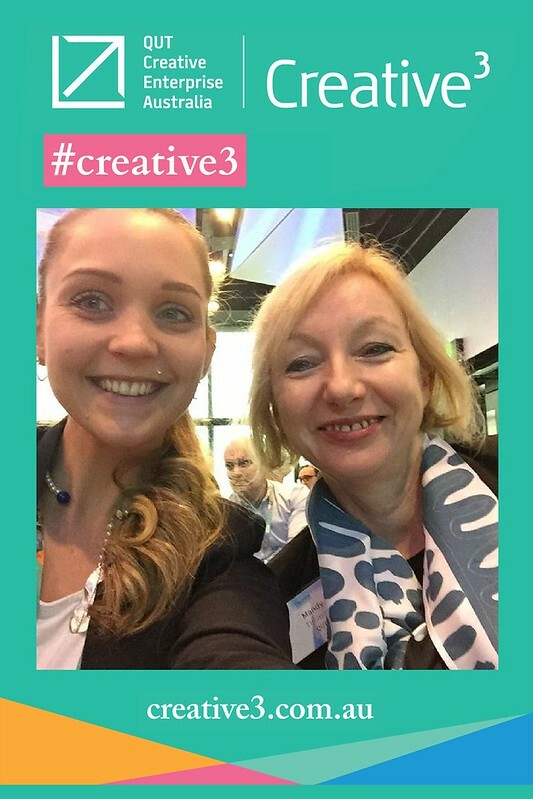 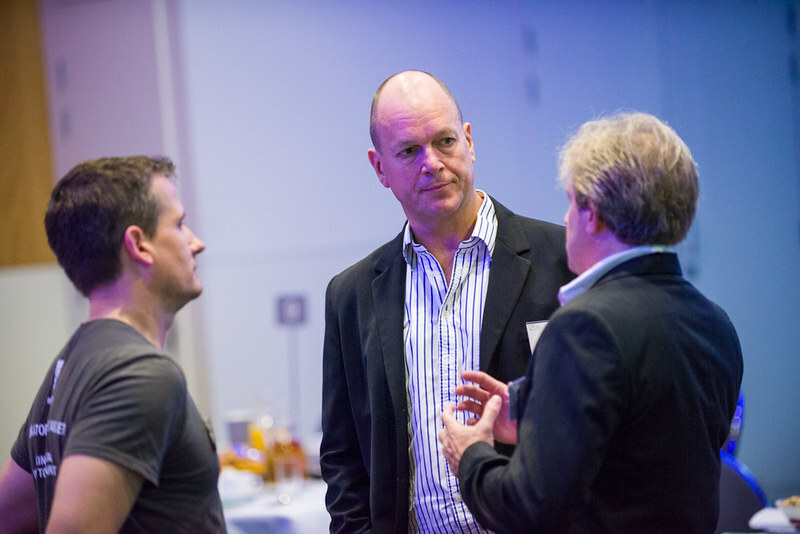 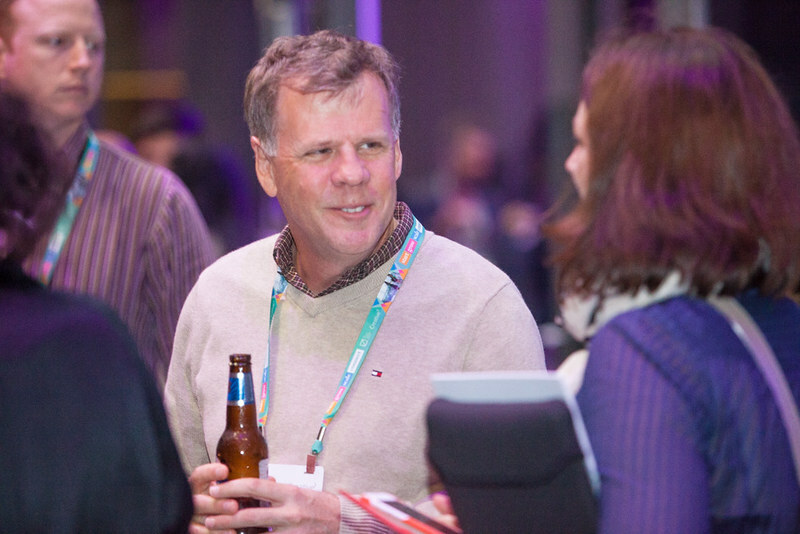 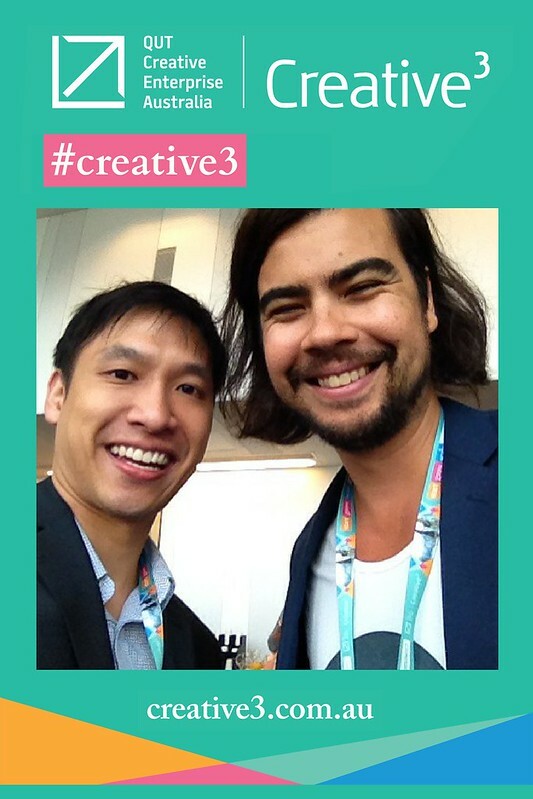 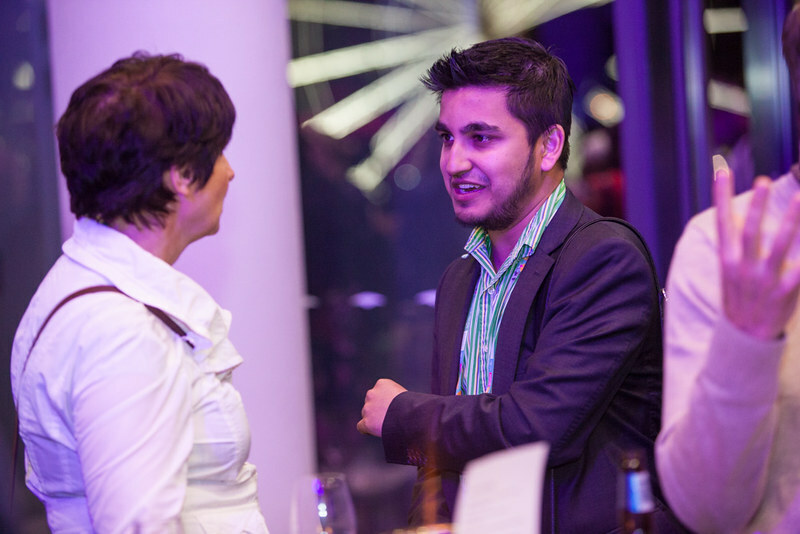 At Creative3 we encourage inter-discplinary collaboration and exchanging new business ideas. 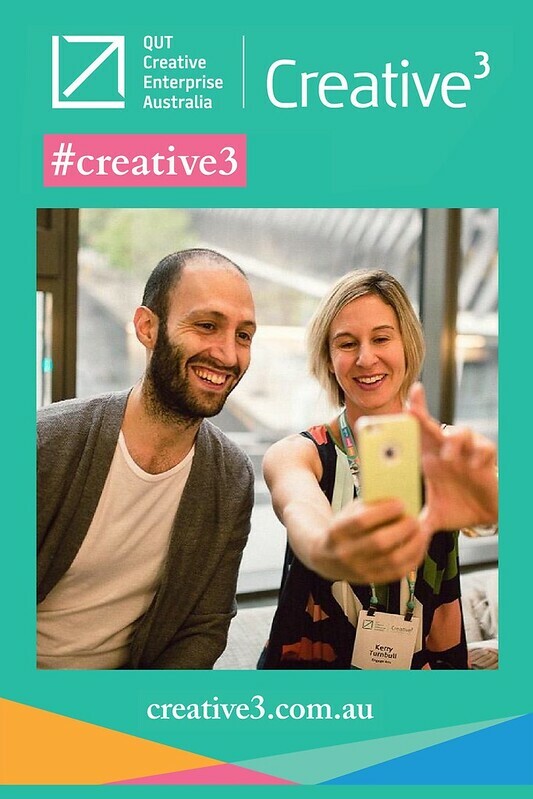 We keep conversations intimidate by capping our audience to 300 people in order to focus on exchanging creative business ideas. 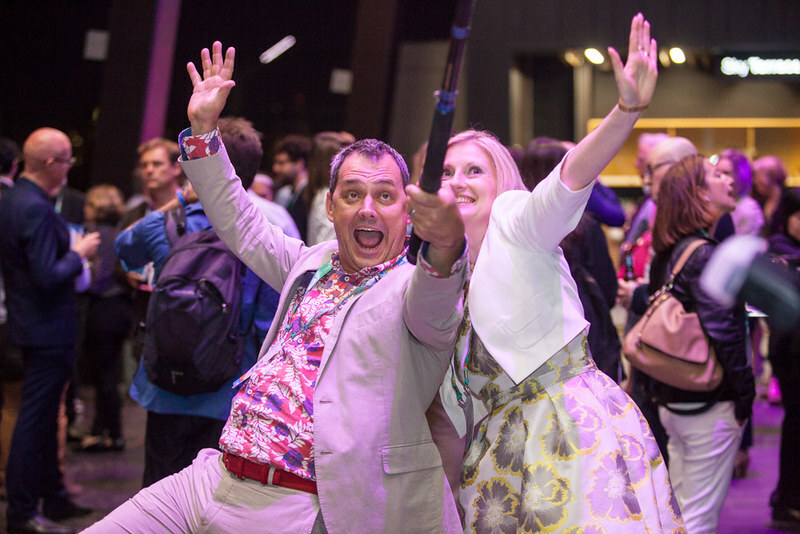 In 2015 these connections were captured in real-time by taking a “selfie with a stranger”. 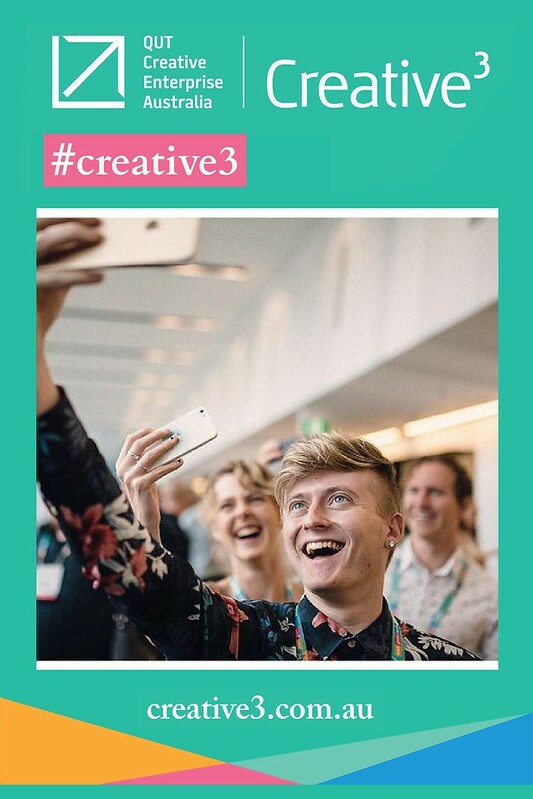 This year, the delegate who met the most Creative3 delegates and posted a photo with these new contacts on Instagram won an Apple Watch with other fun prizes for runners up. 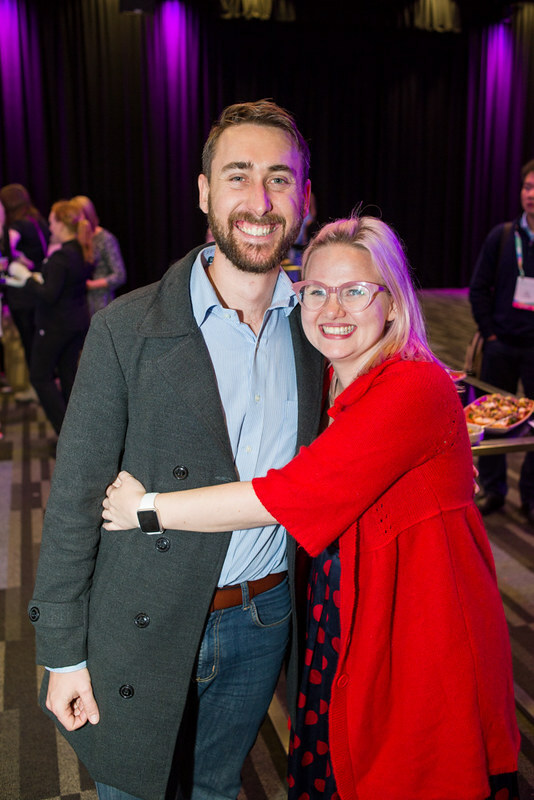 An instant print of these photos were also supplied by Instathat as a connecting point for networking. 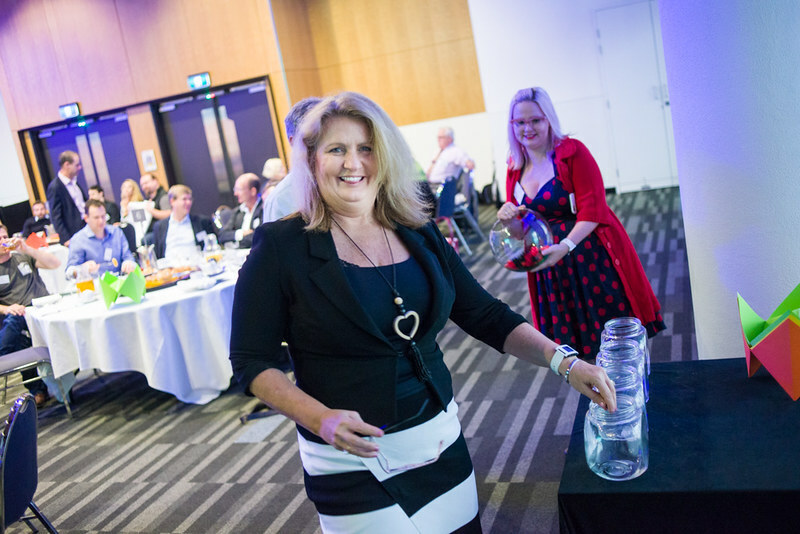 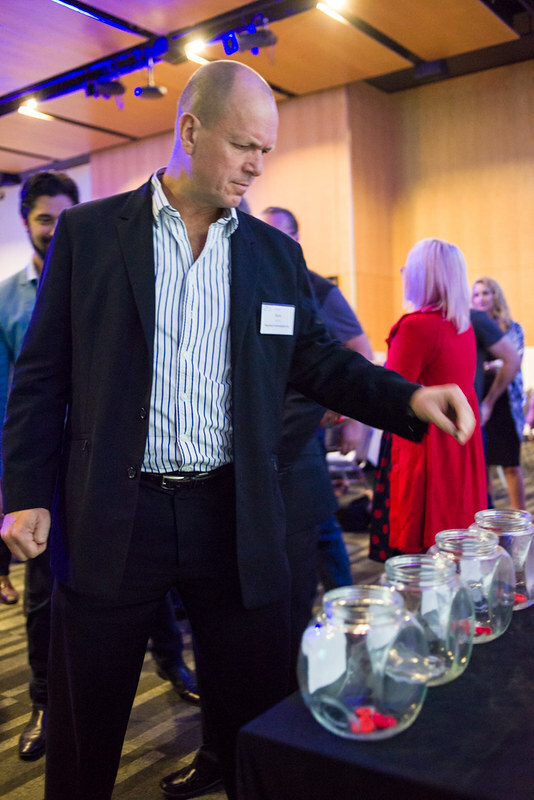 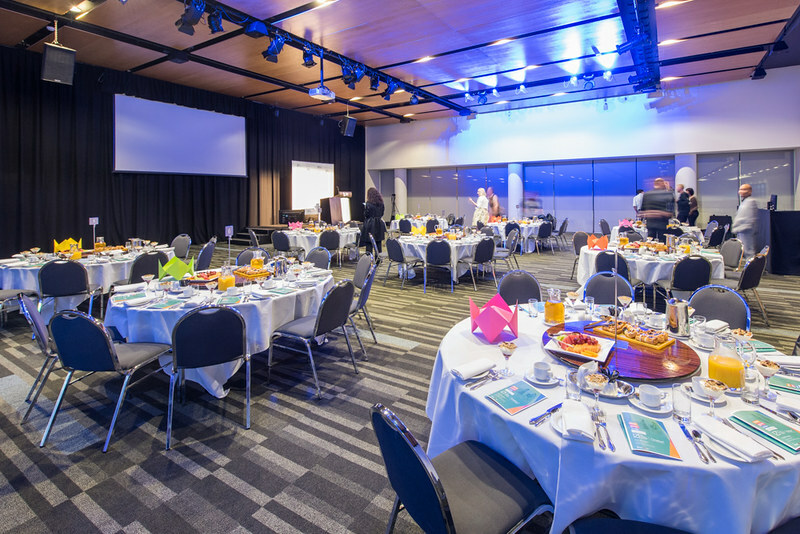 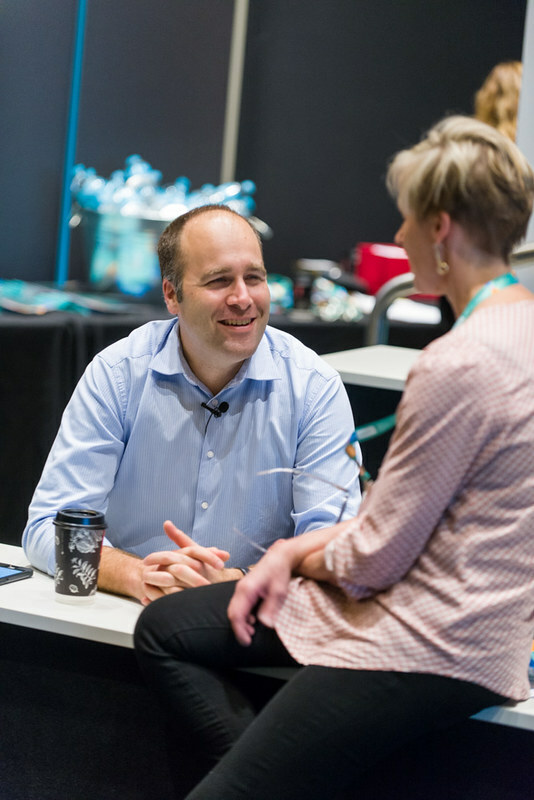 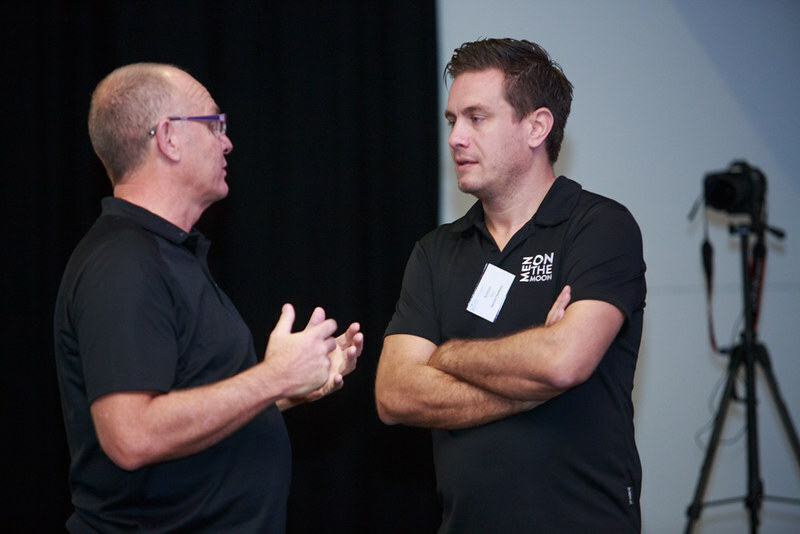 An intimate event of only 80 people, this interactive Creative3 Masterclass enabled attendees to extend their learning from the Creative3 Forum for practical implementation into their business. 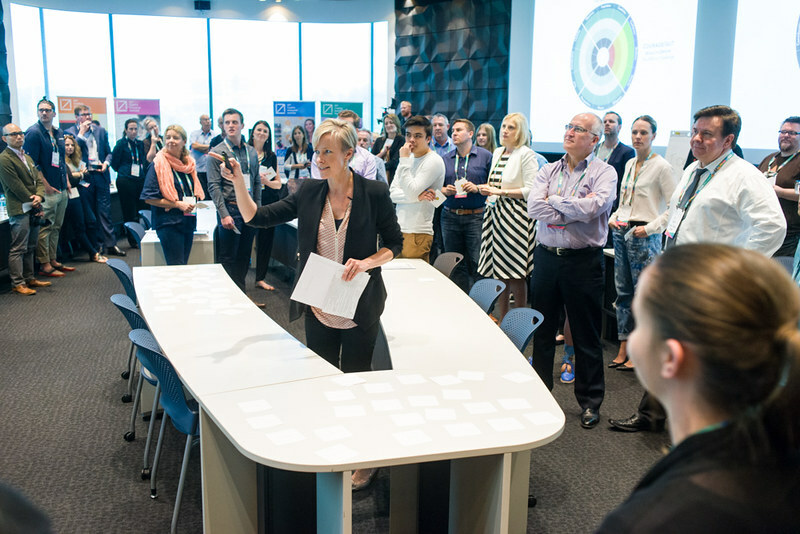 The key to building a successful organisation is building the right culture and leadership to navigate new horizon opportunities. 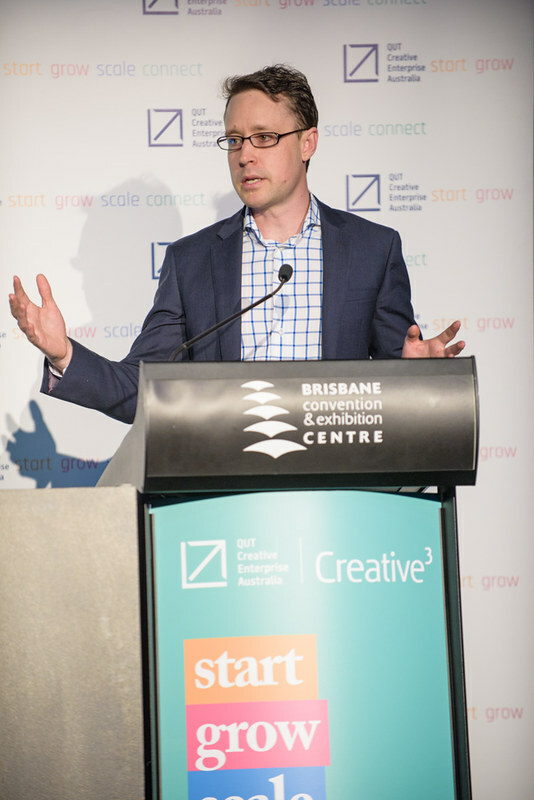 At Creative³ over the last 6 years, we have provided insights into how you build your value proposition, business model and capacity to secure new markets and investment. 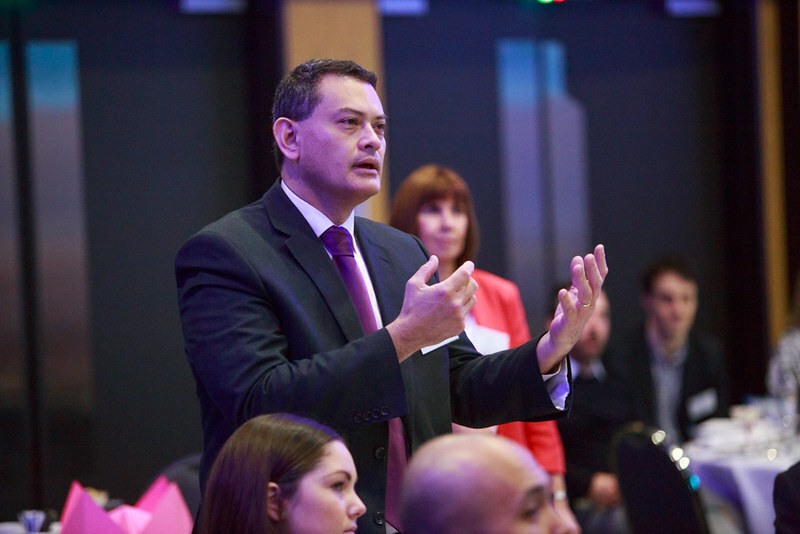 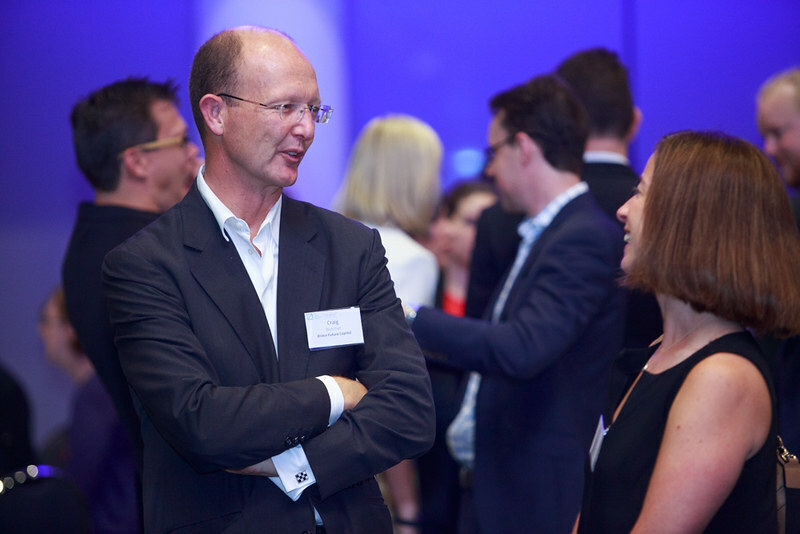 In 2015 we tackled one of the key issues facing today’s business community: how to maintain pace with shifting technology and trends and provide the leadership in your organisation to innovate during uncertain times. 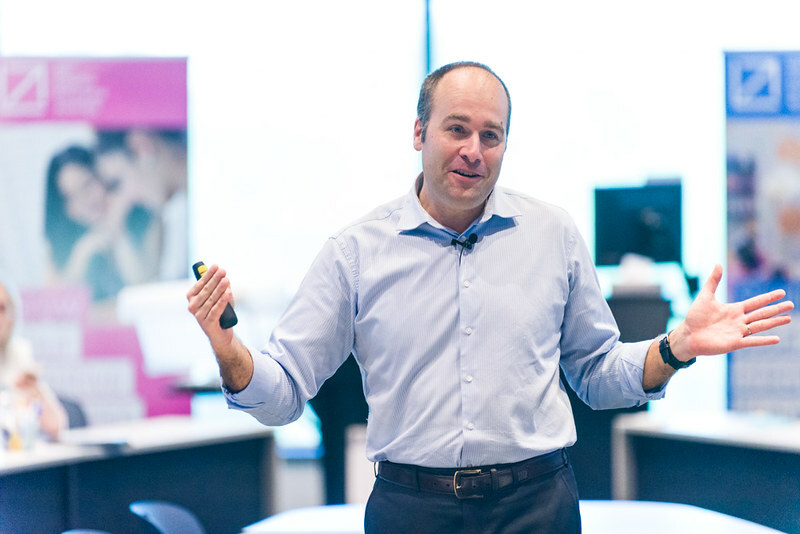 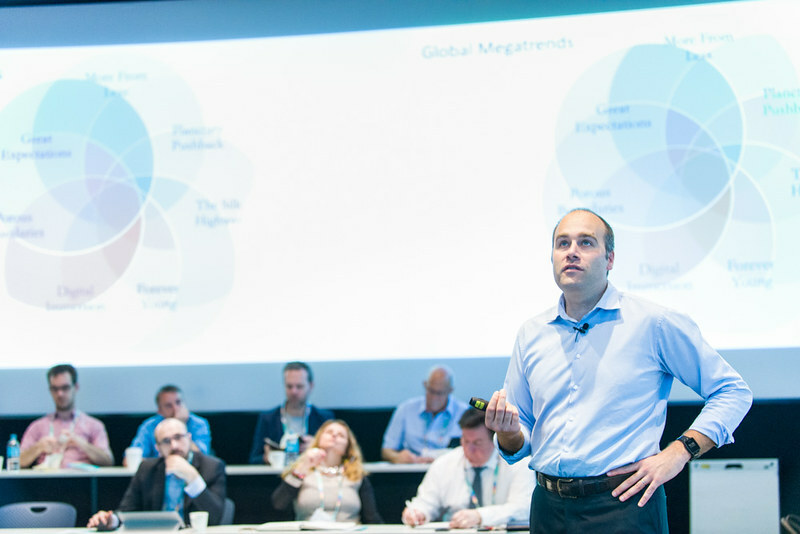 Stefan Hajkowicz, Principal Scientist in Strategic Foresight, explored the key challenges and huge opportunities for disruption with his keynote on Global Megatrends. 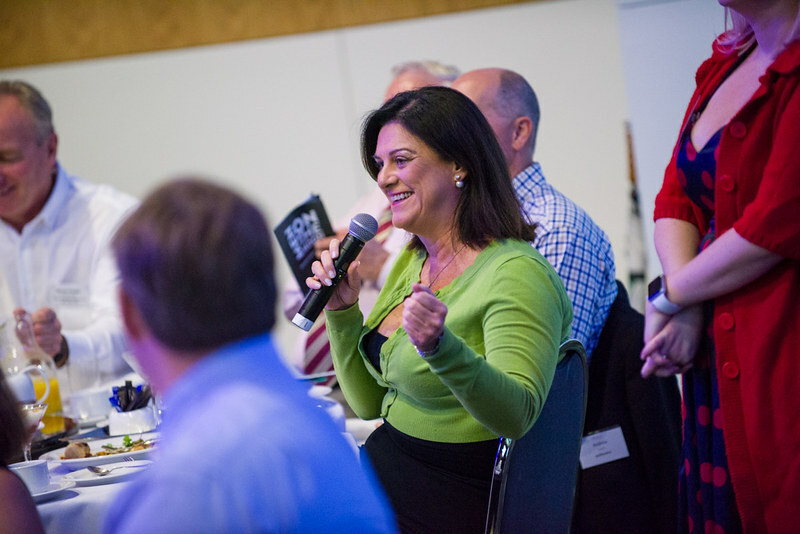 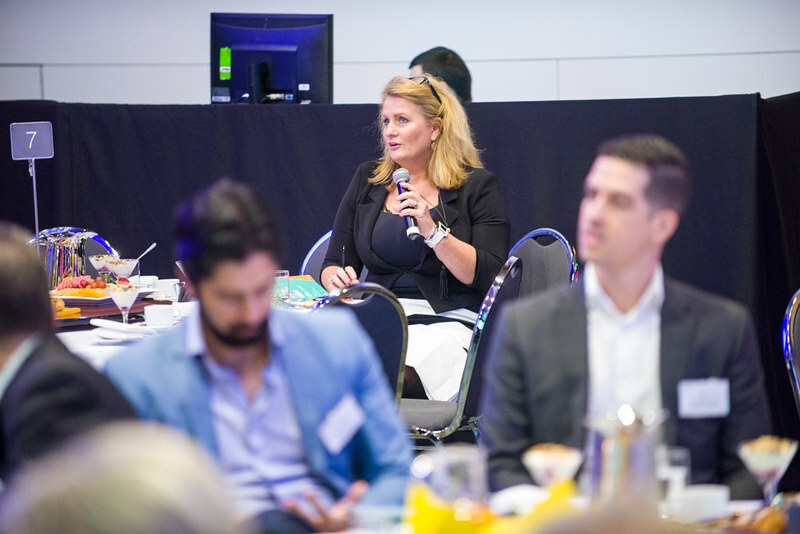 This was complemented by executive coach Cherie Gardiner’s workshop, “What does it take to lead a creative and innovative company?”, which tapped into a range of commonly leveraged leadership lessons from a range of successful Silicon Valley startups and more established Fortune 500 companies. 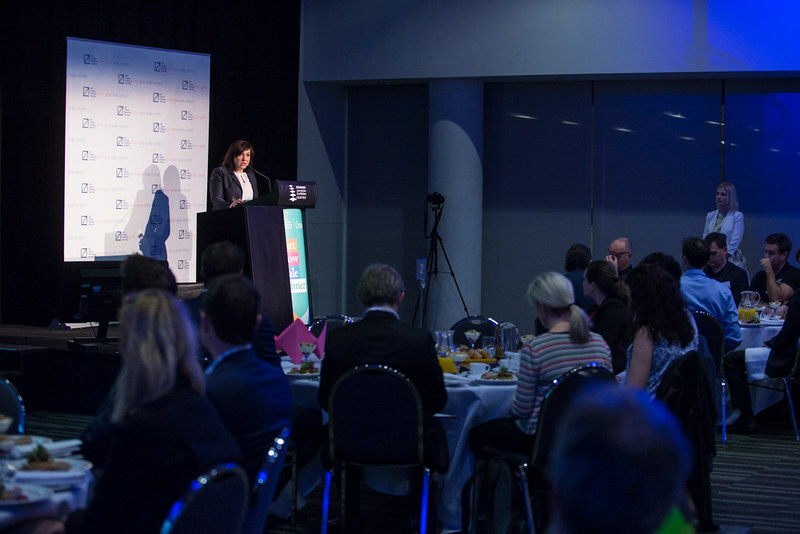 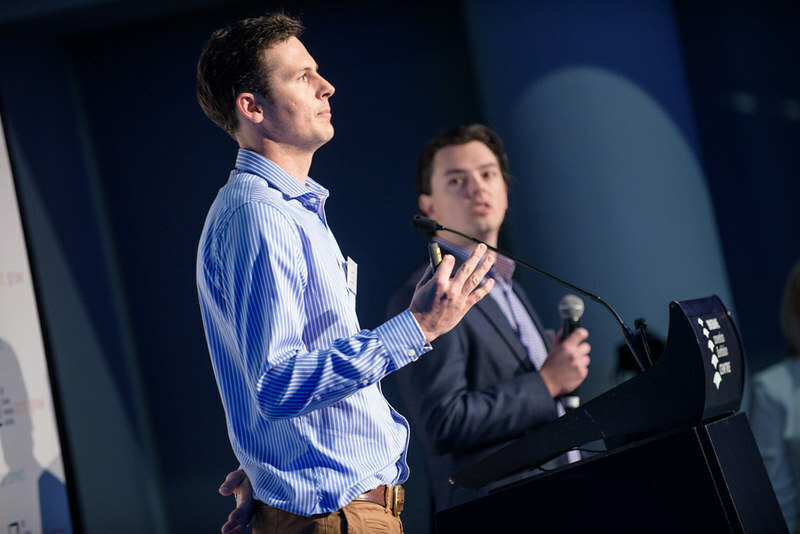 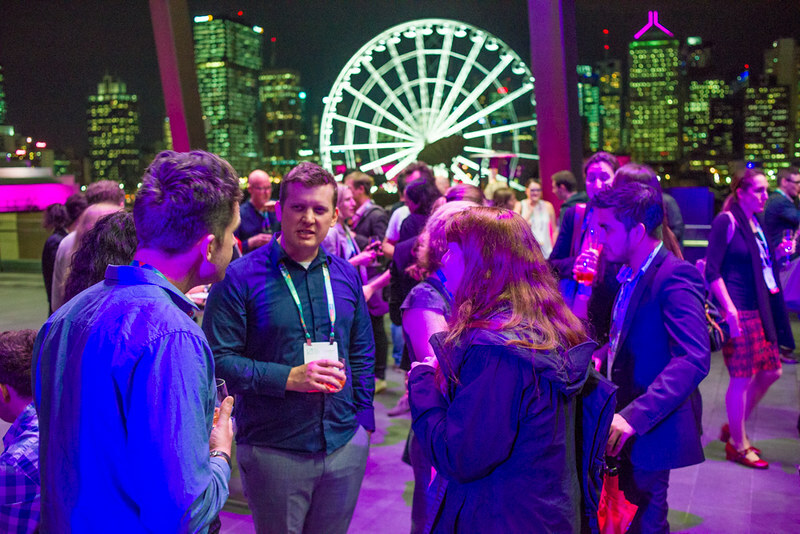 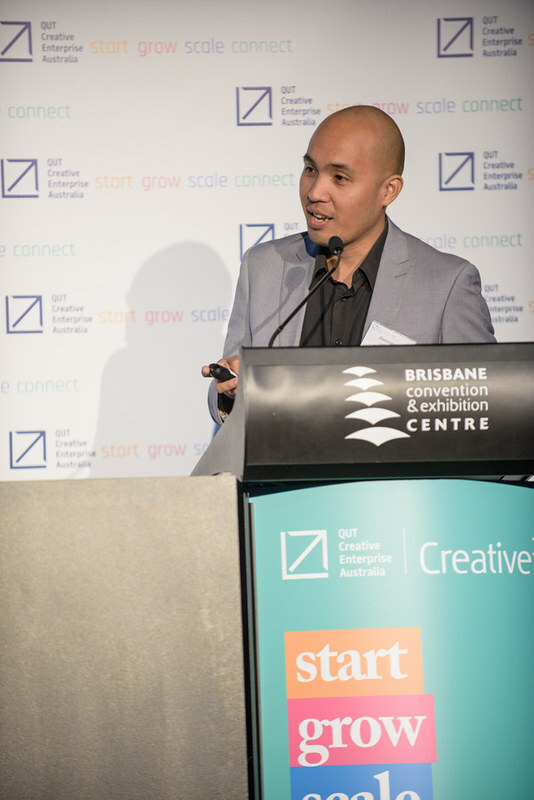 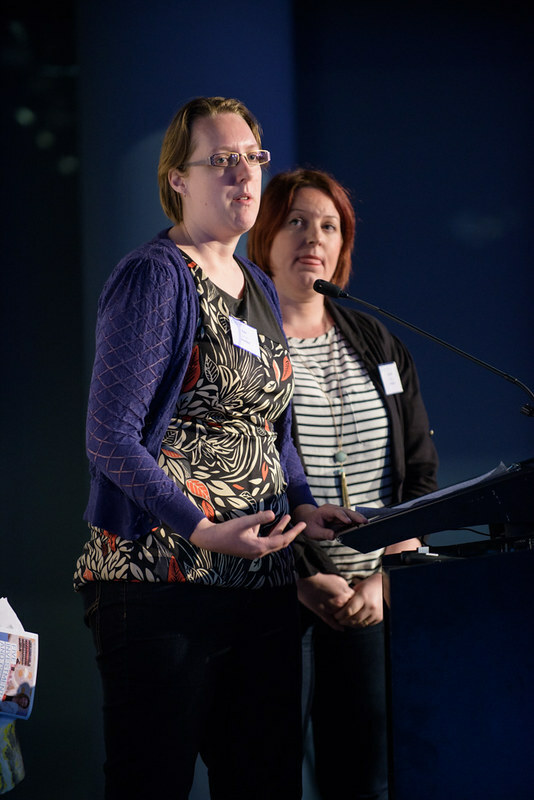 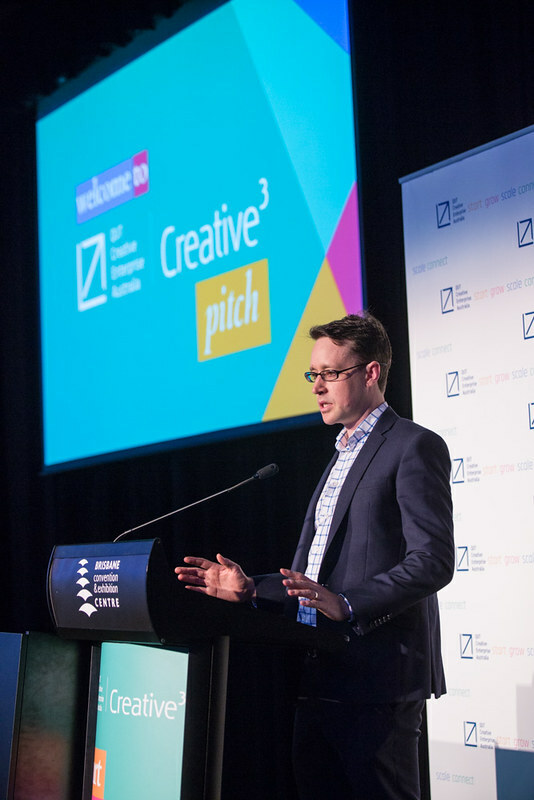 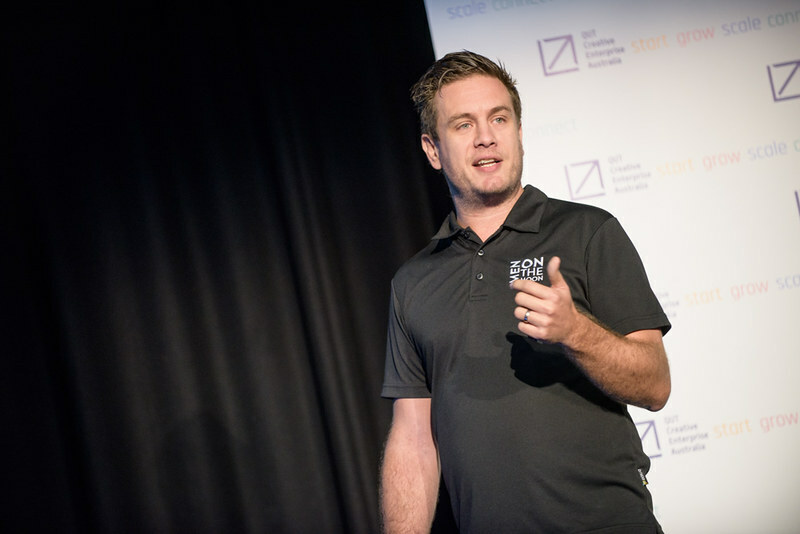 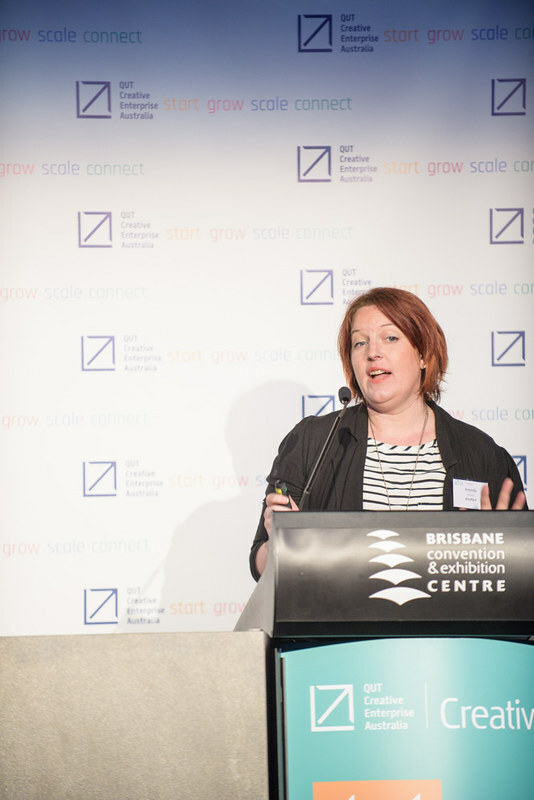 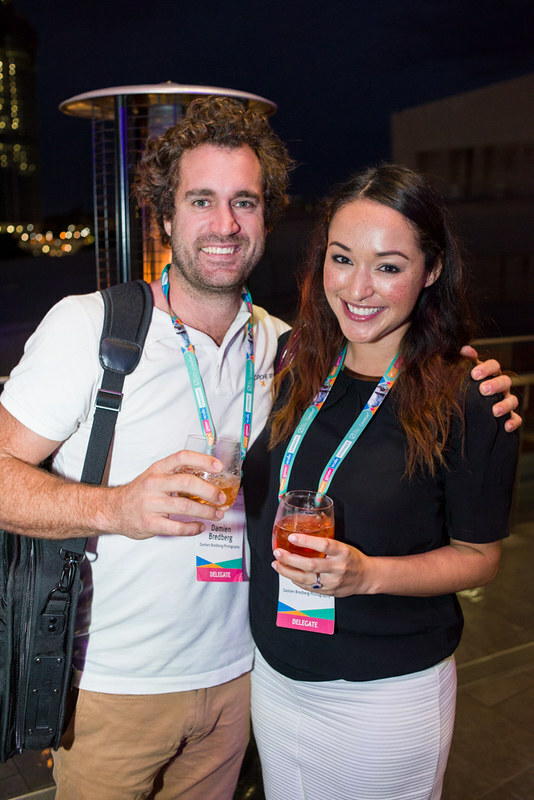 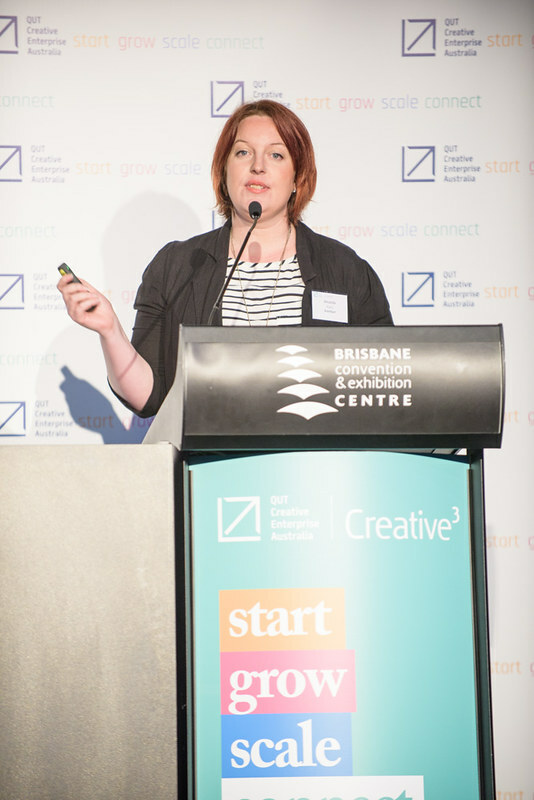 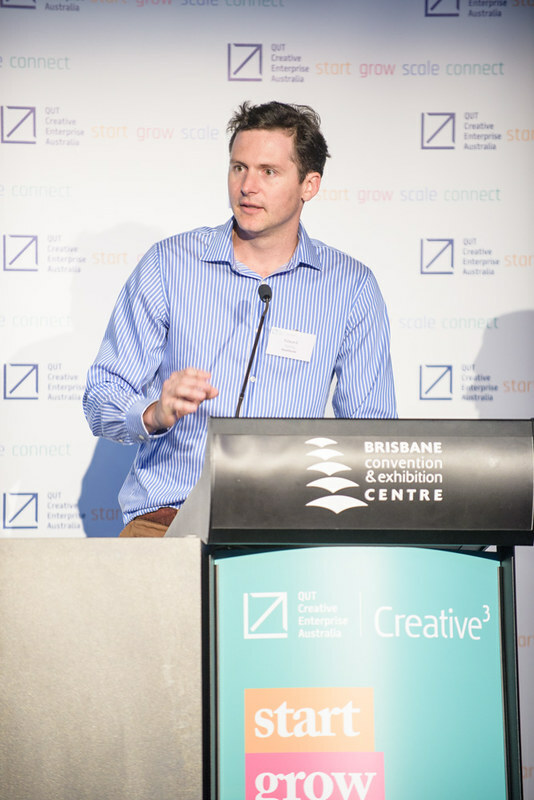 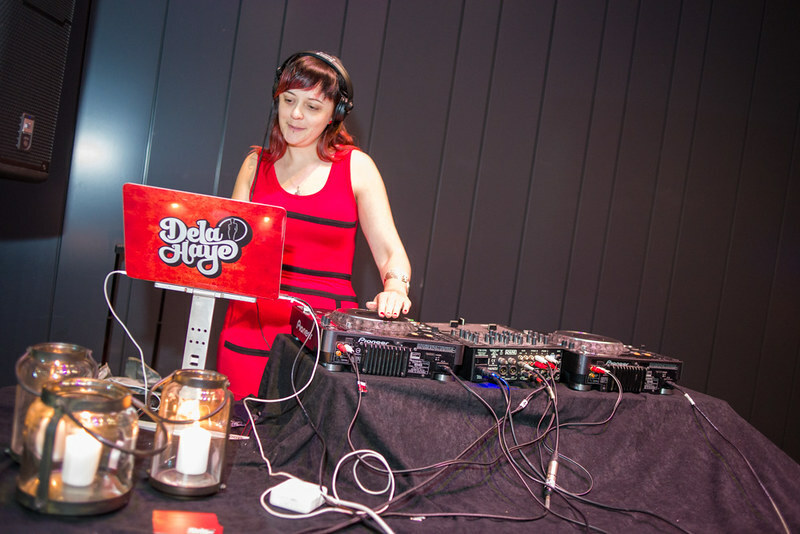 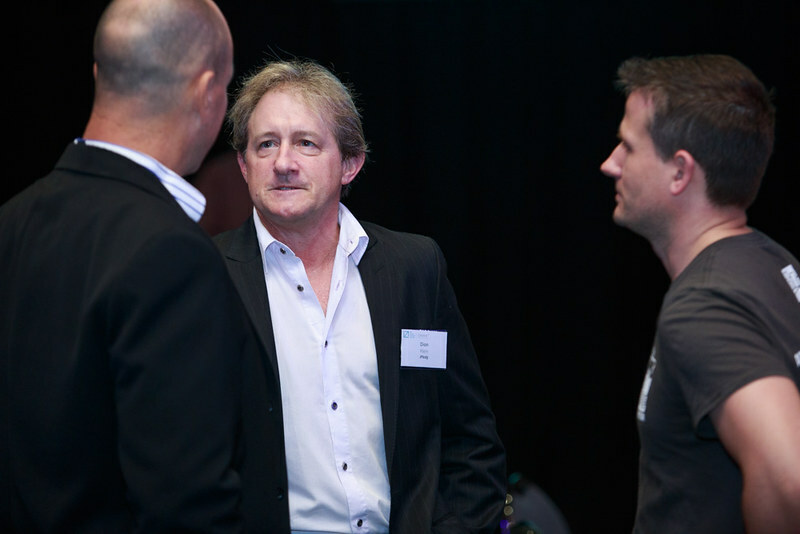 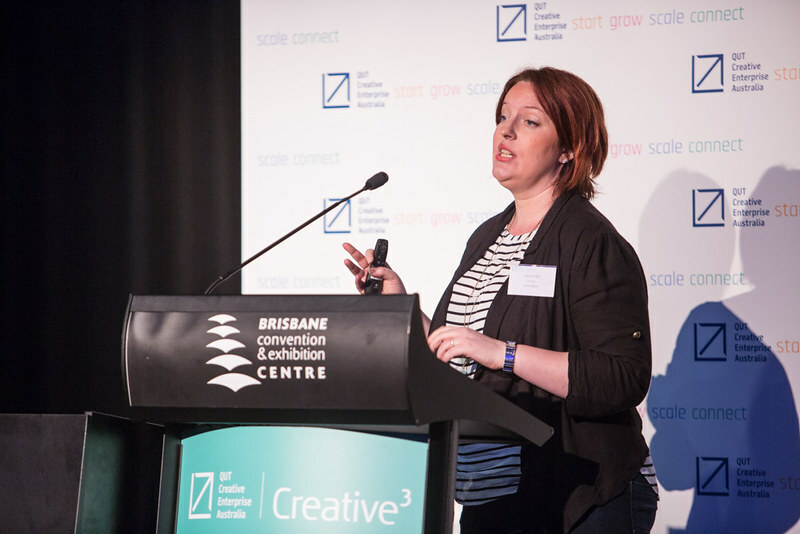 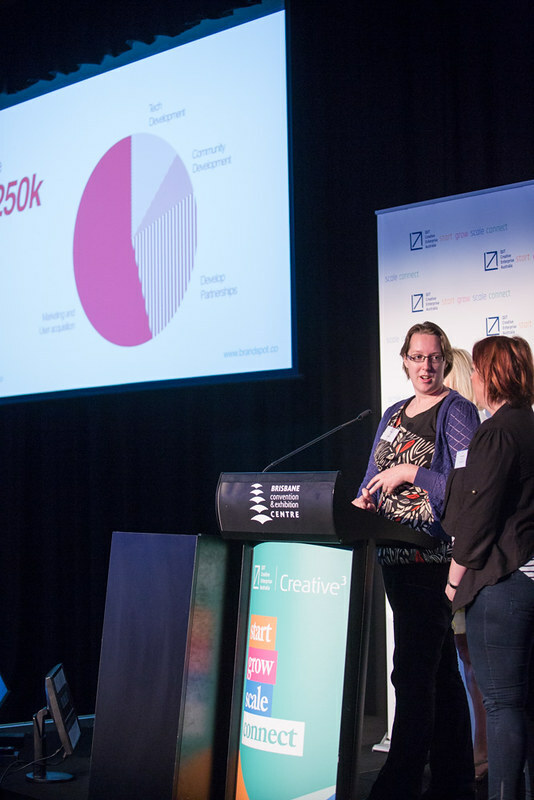 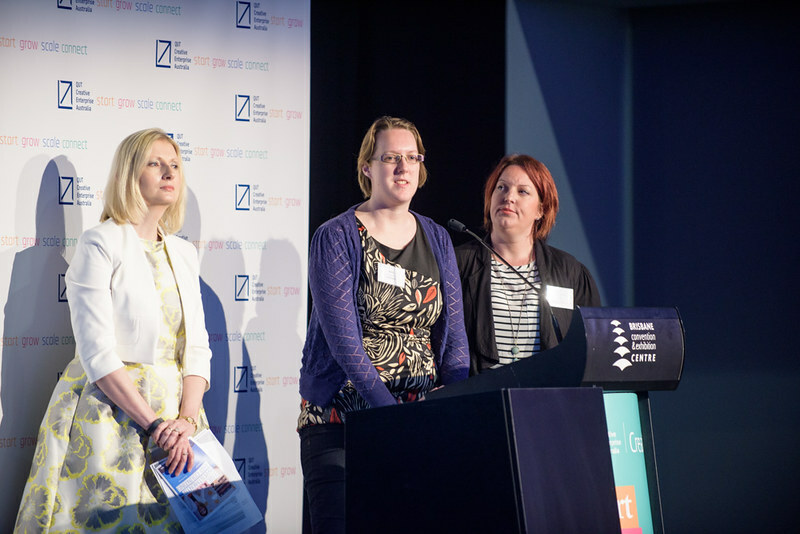 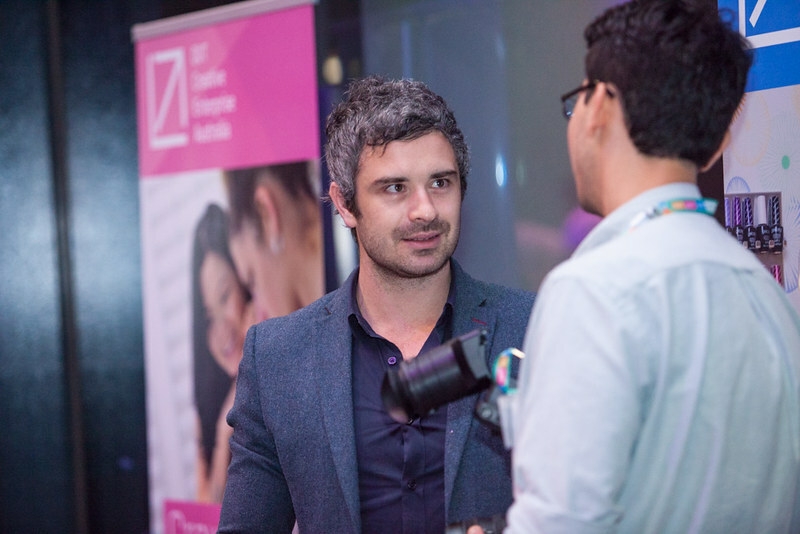 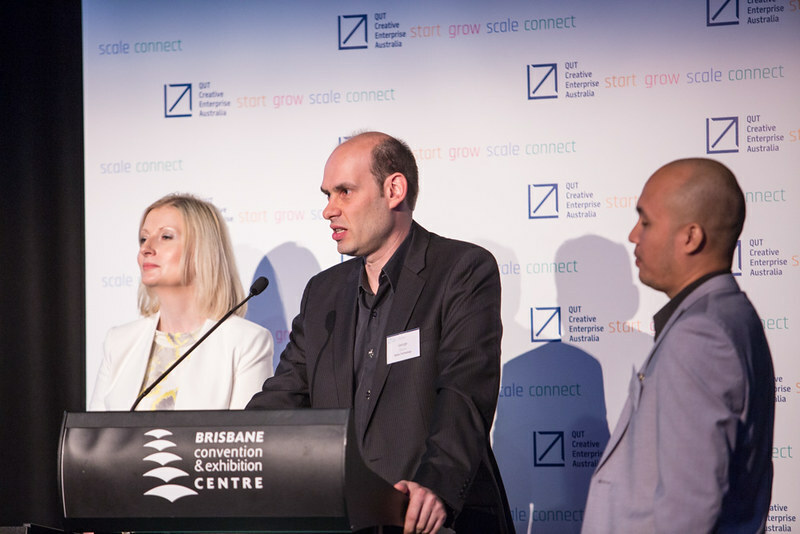 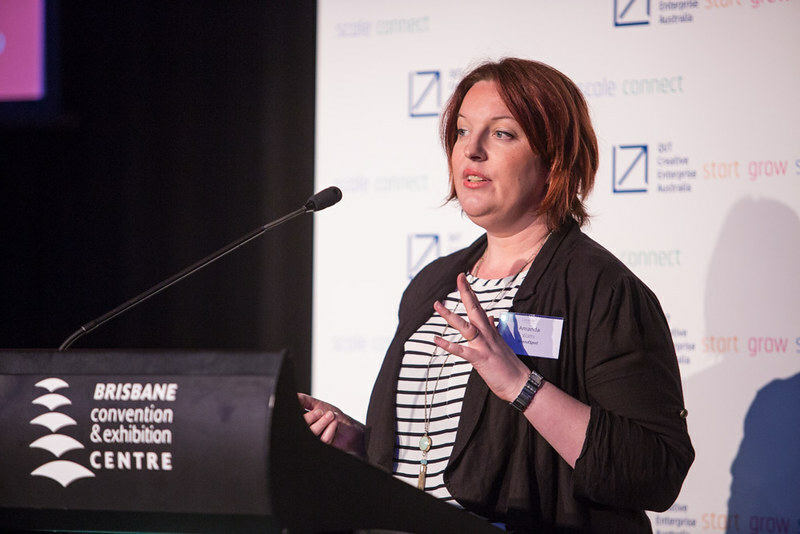 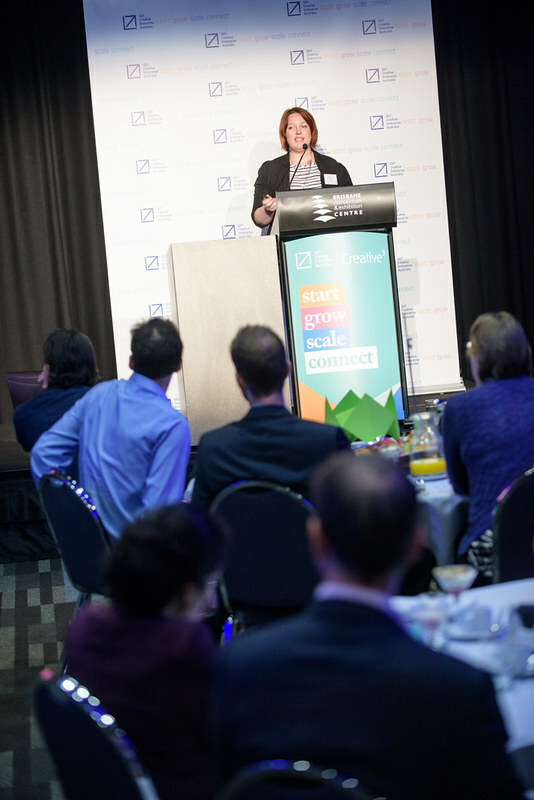 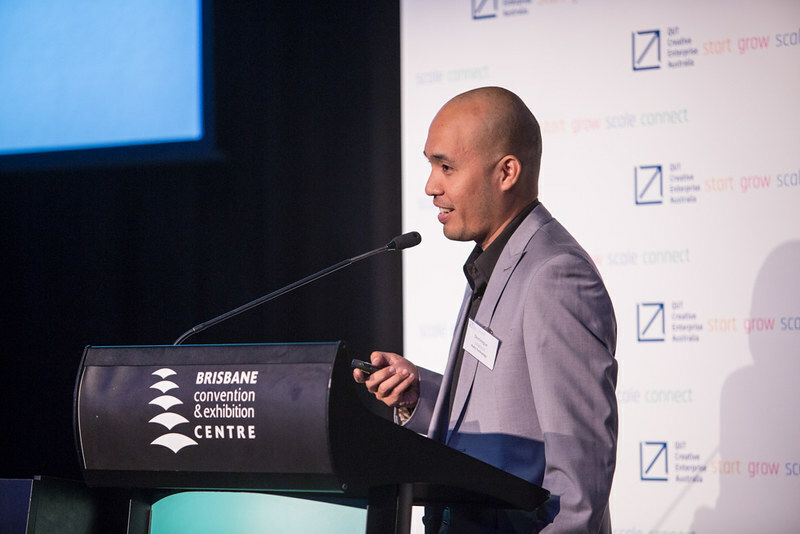 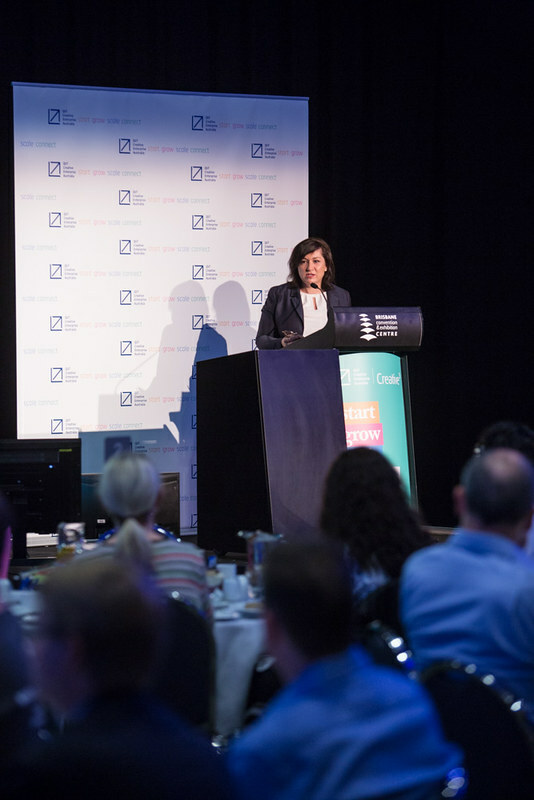 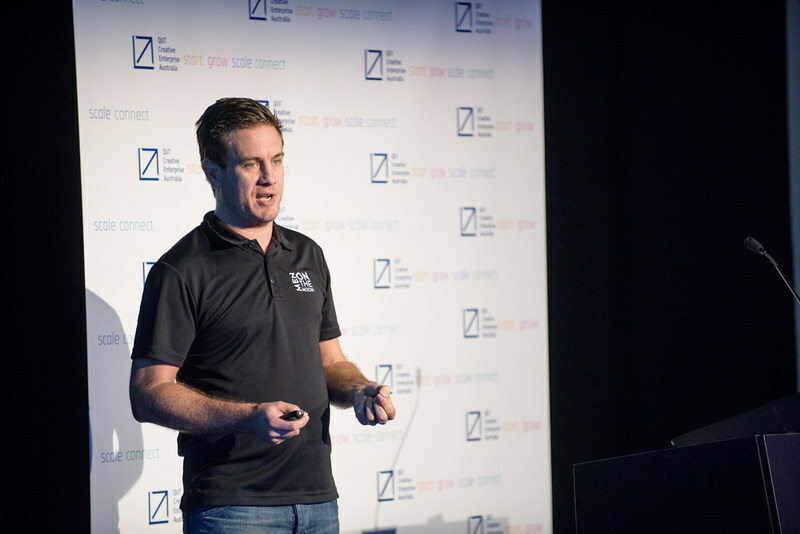 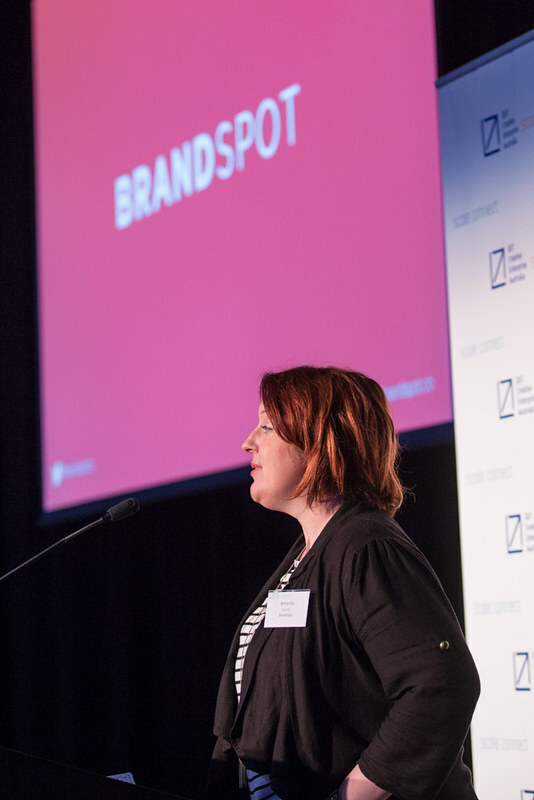 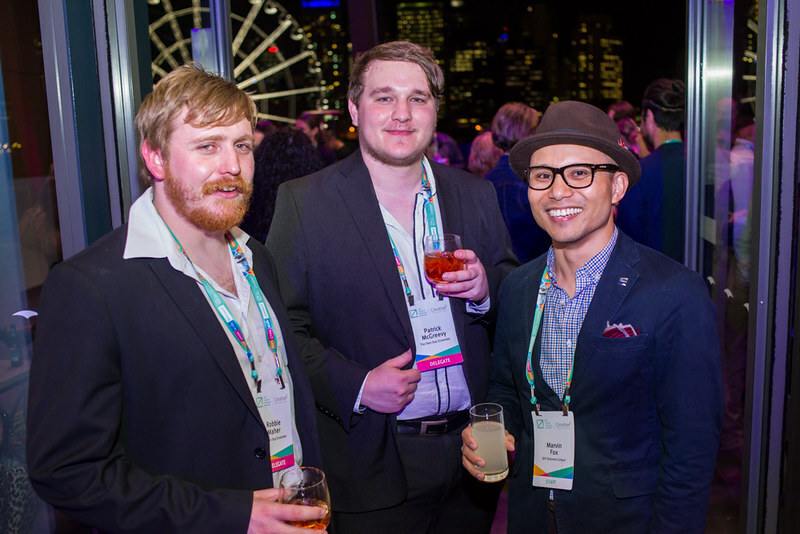 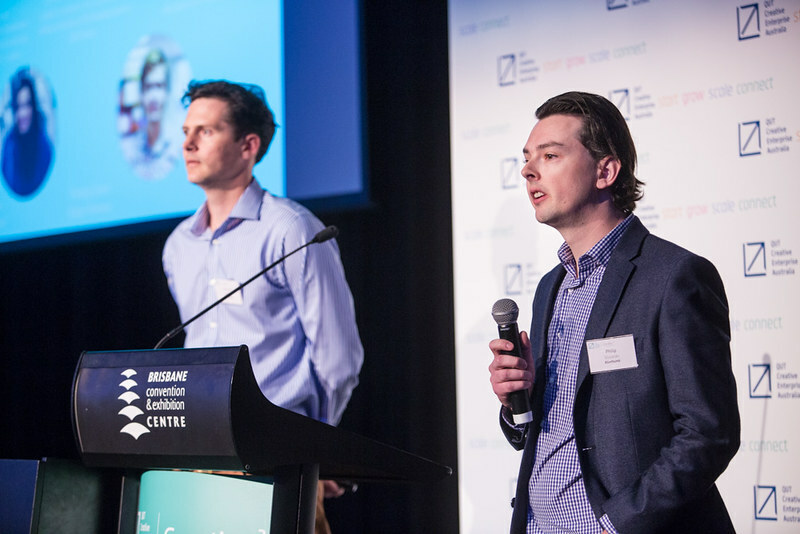 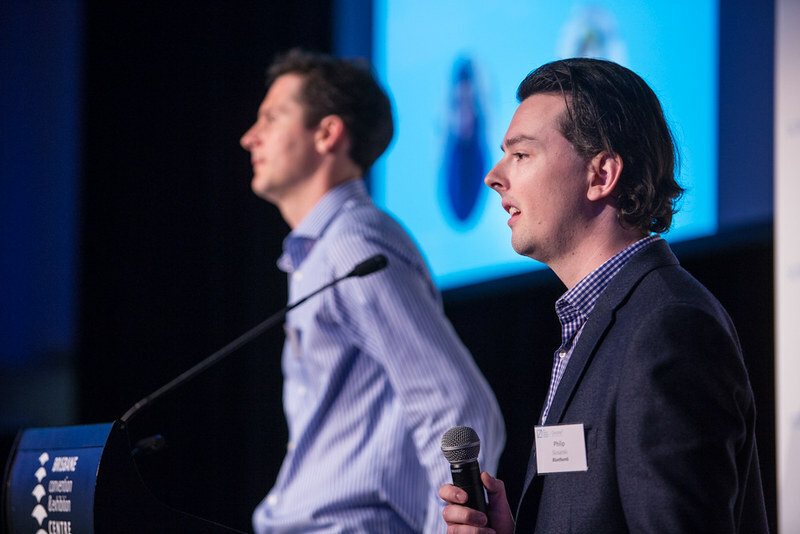 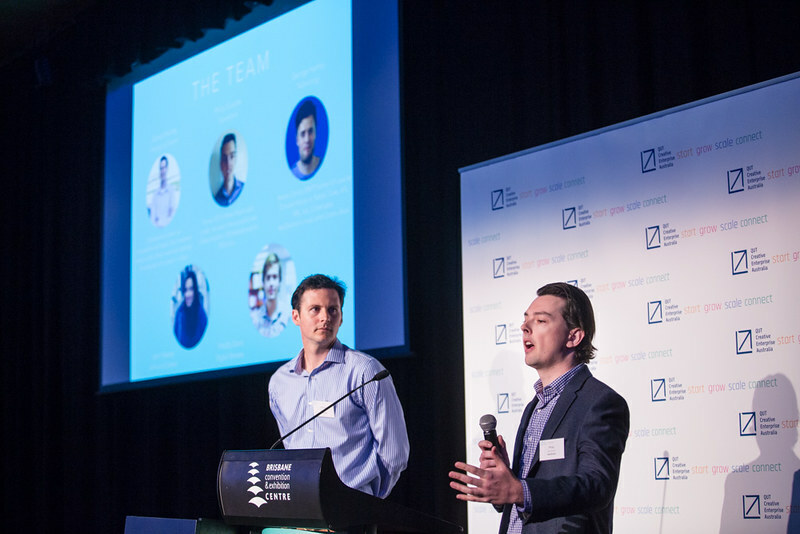 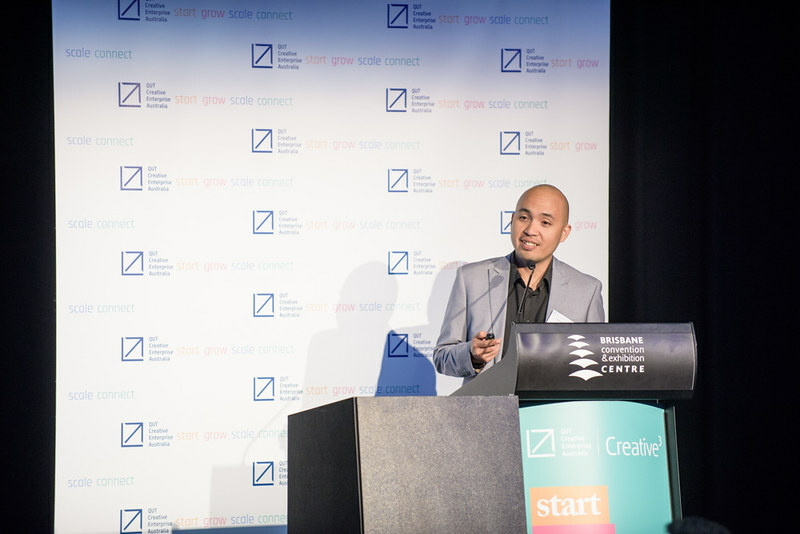 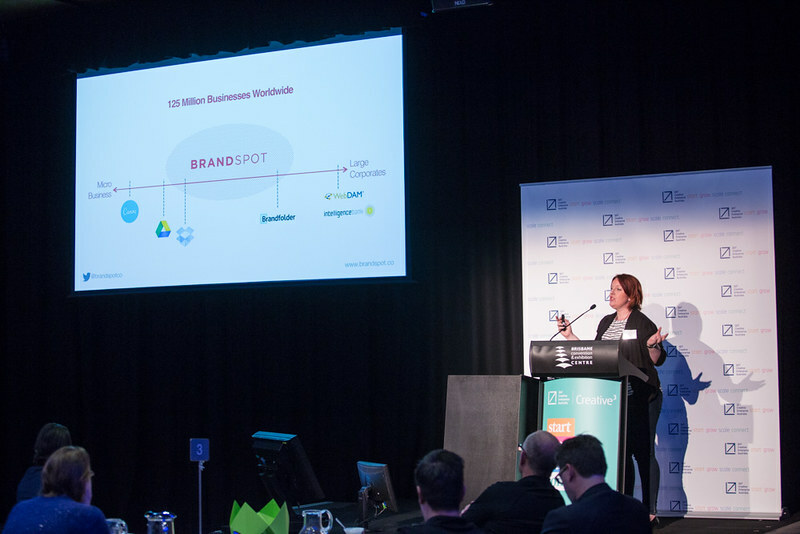 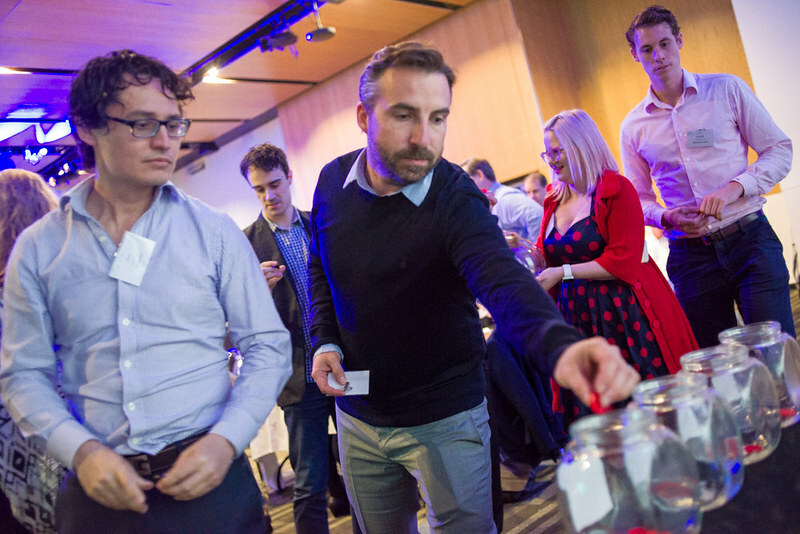 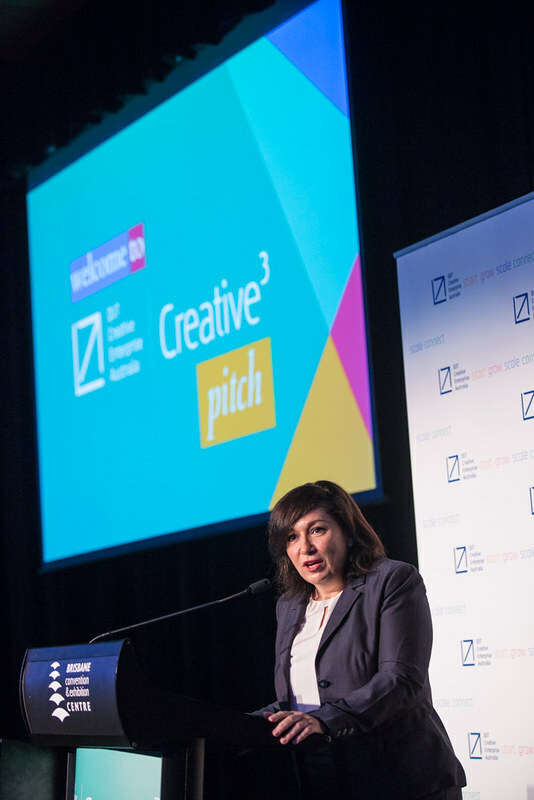 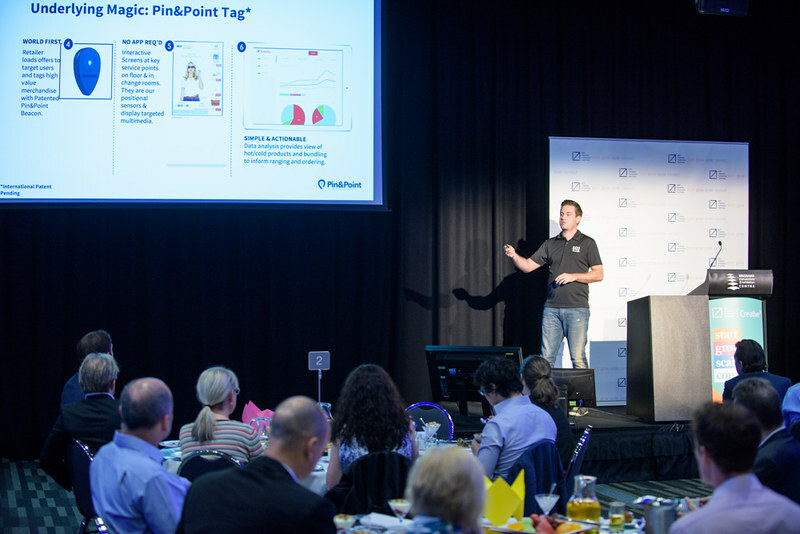 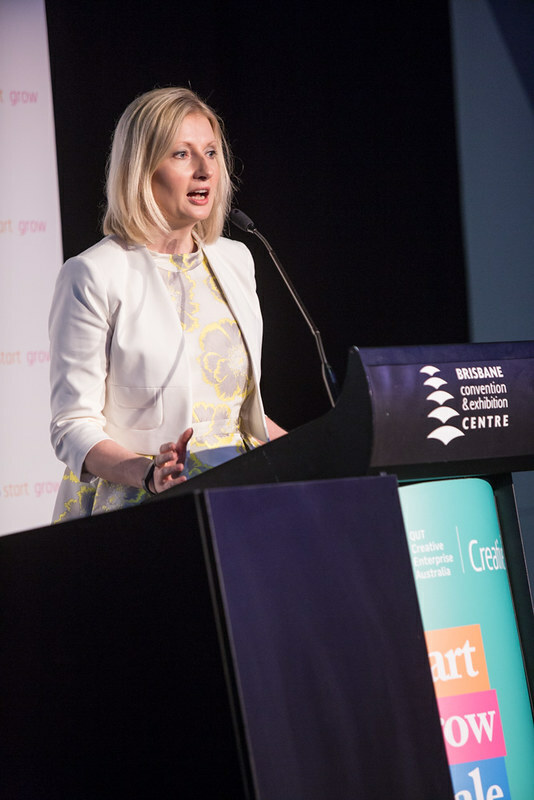 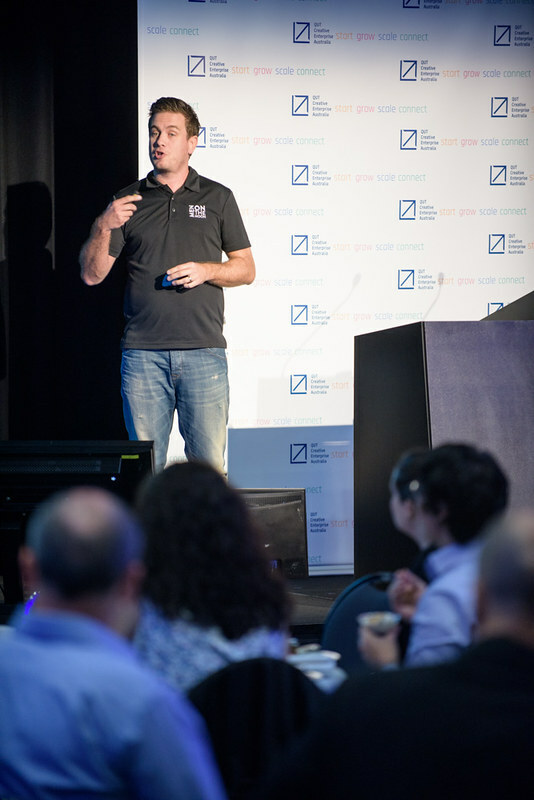 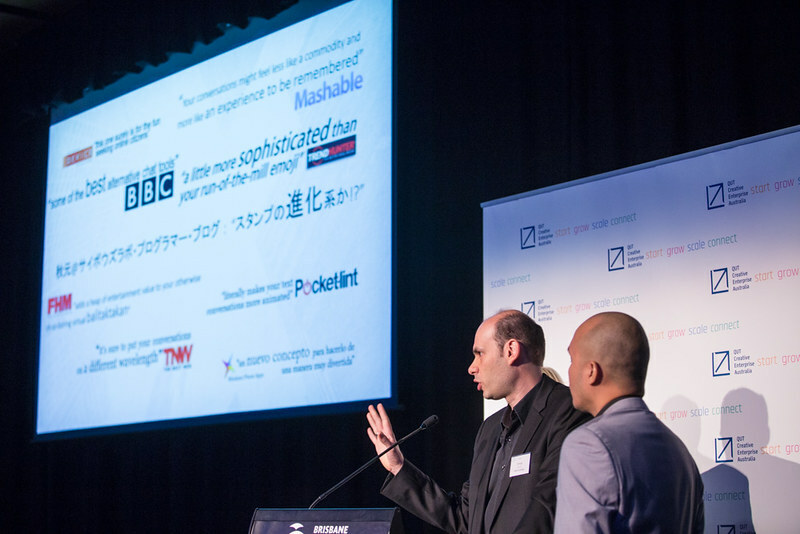 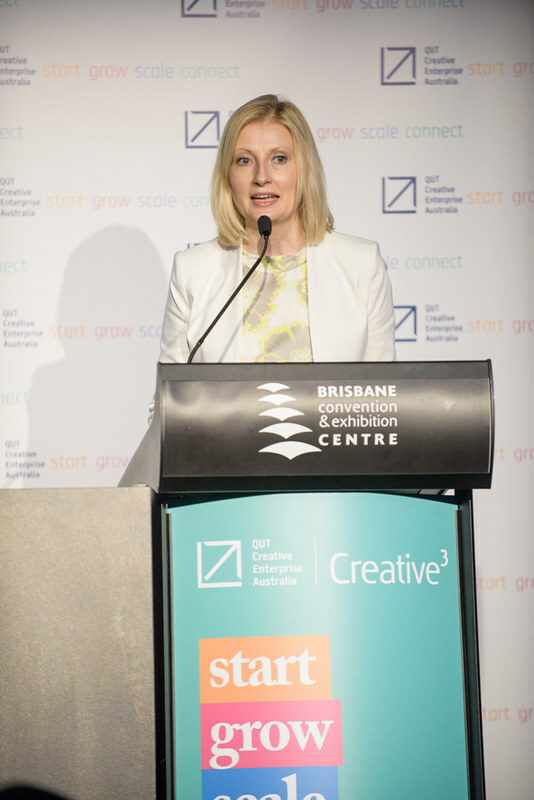 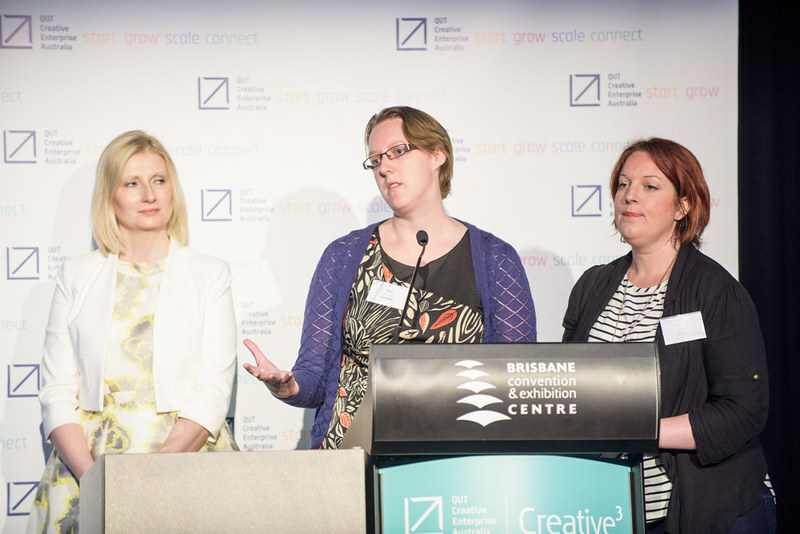 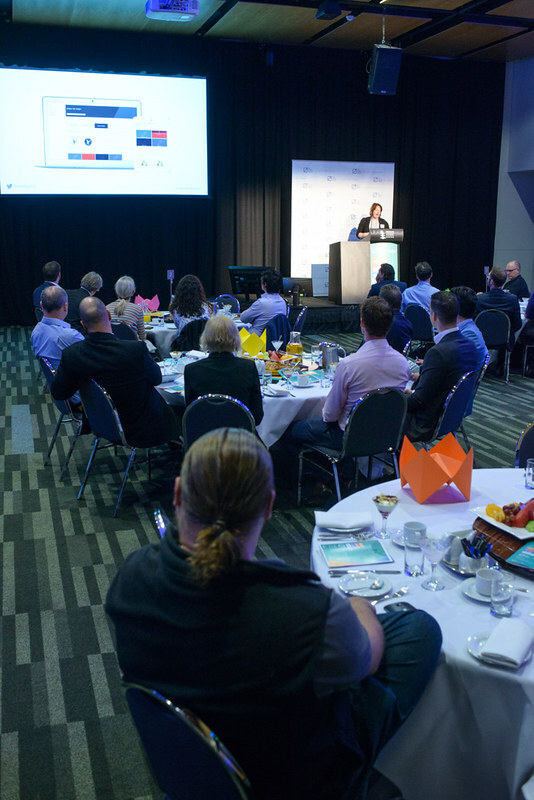 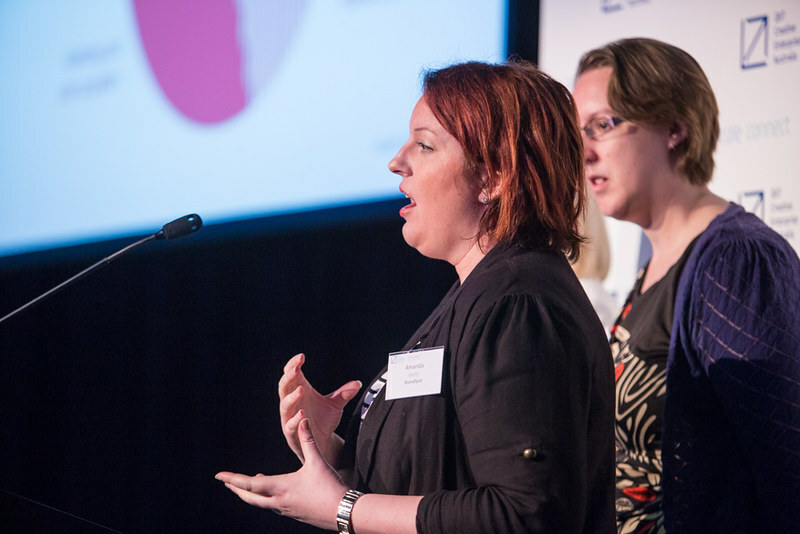 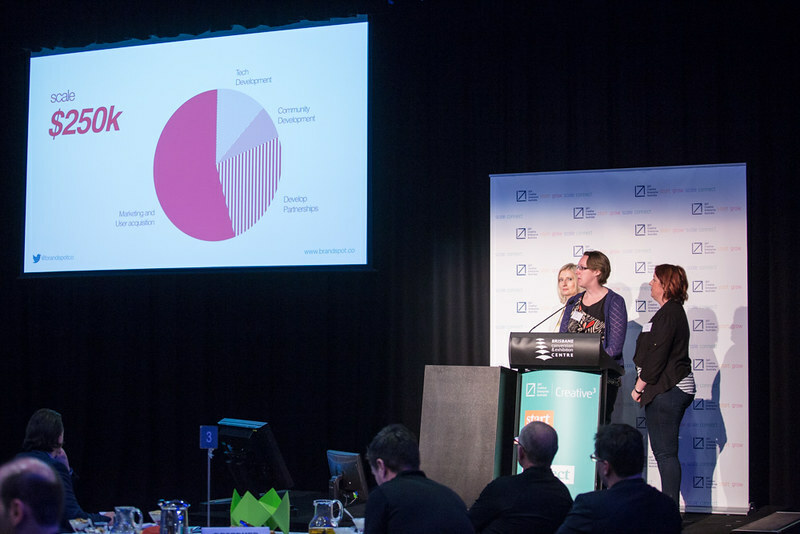 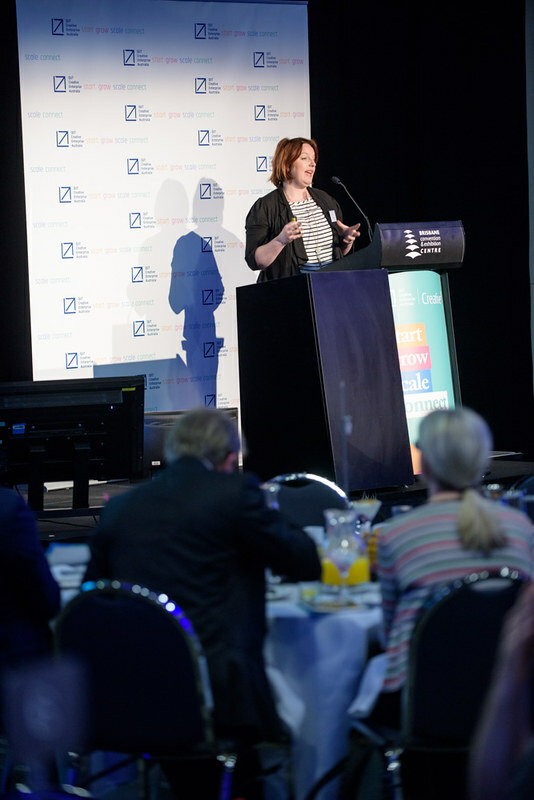 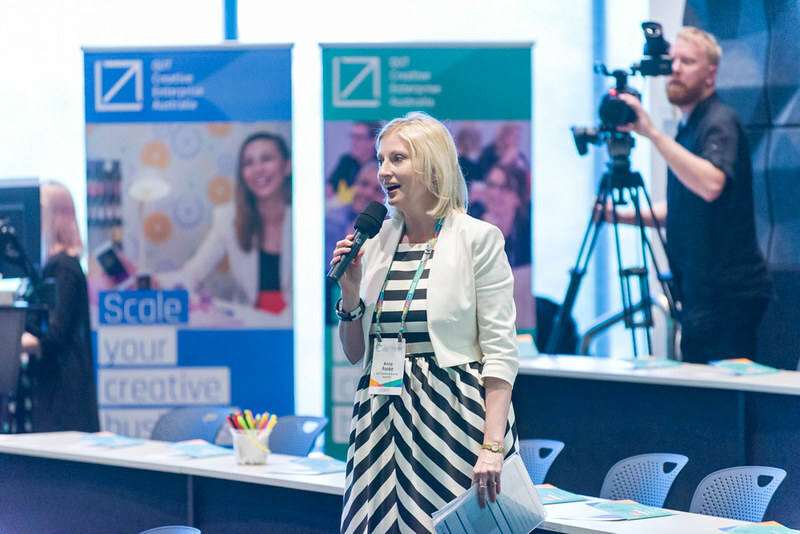 In 2015, the Creative3 Pitch received entries from right across Australia and the largest number of entries to date. 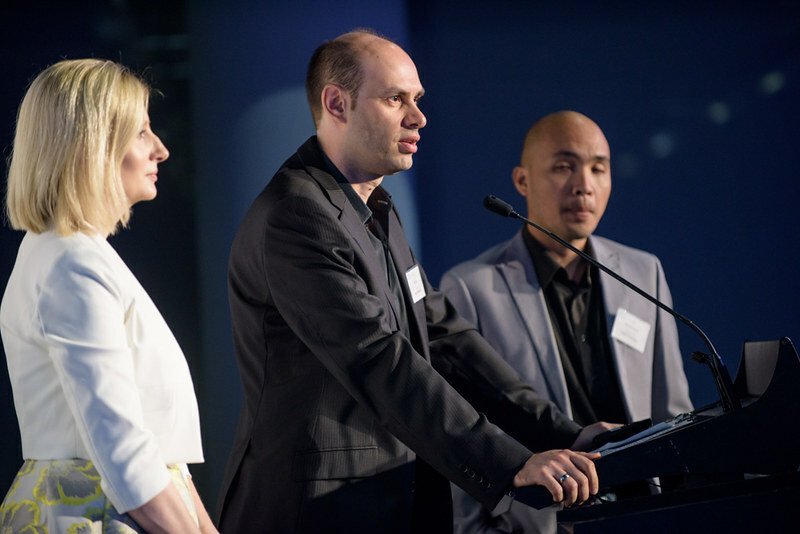 For the past two years, the CEA Startup Fund has gone on to invest in one of the finalist companies, presenting a potentially life-changing opportunity for the finalists. 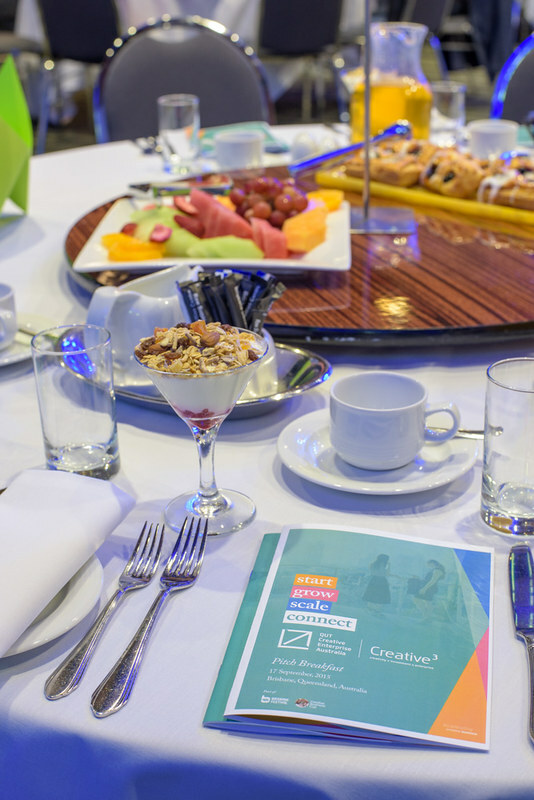 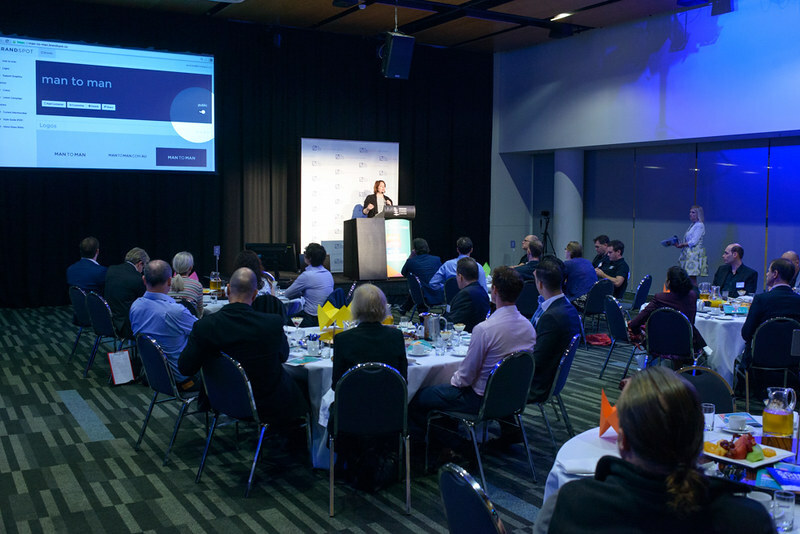 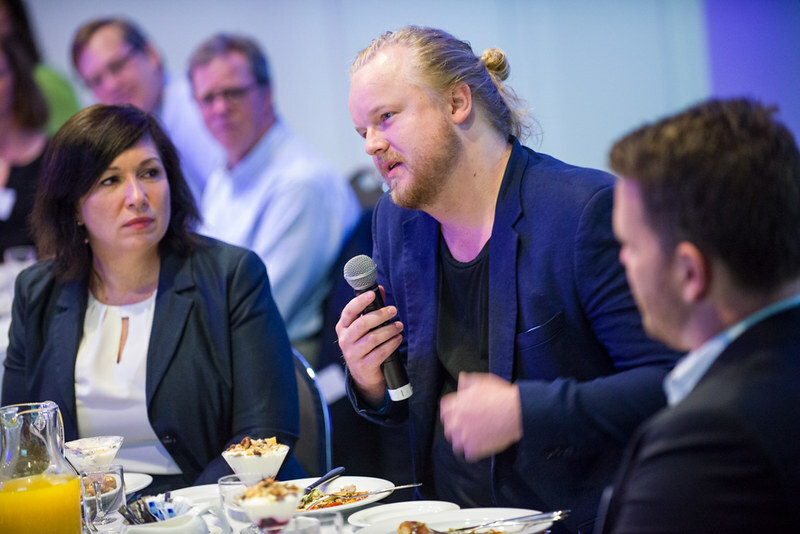 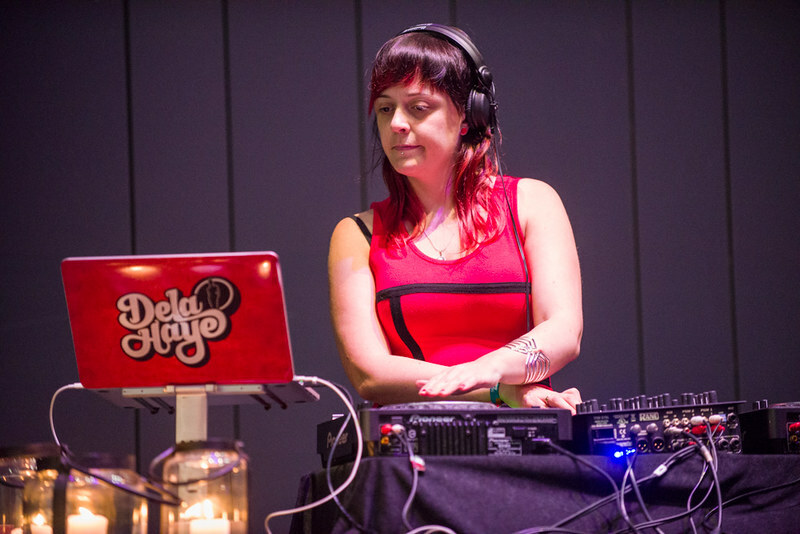 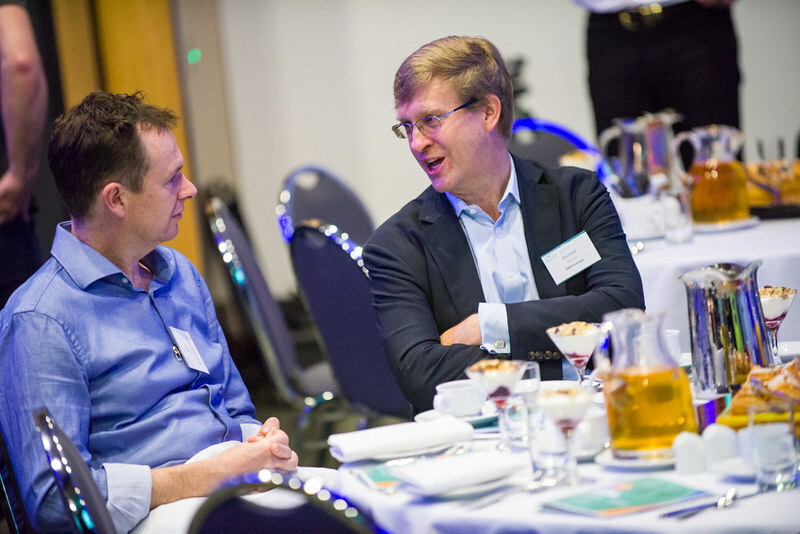 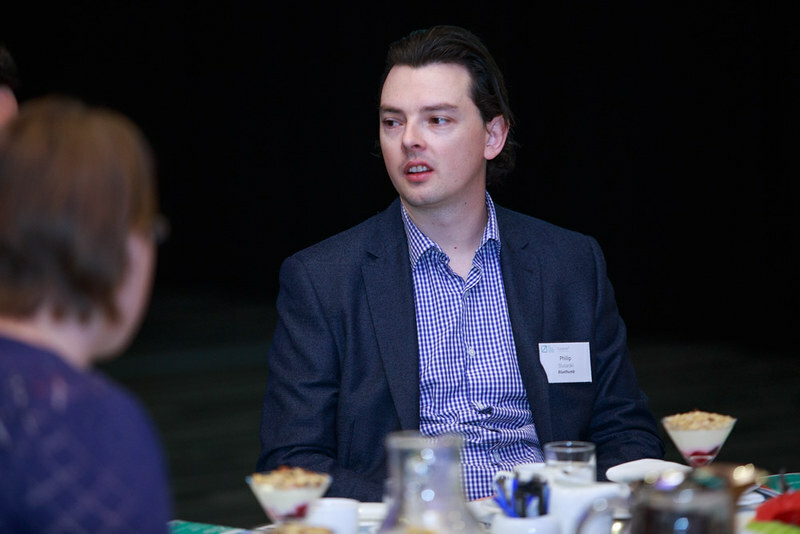 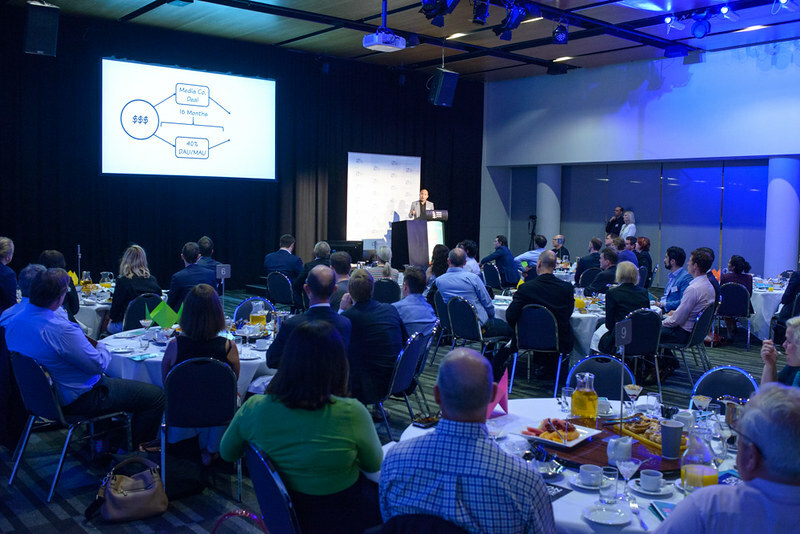 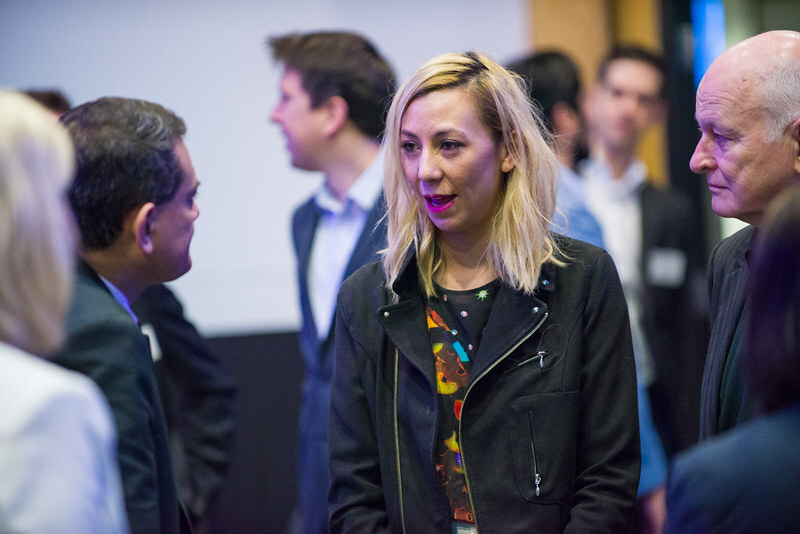 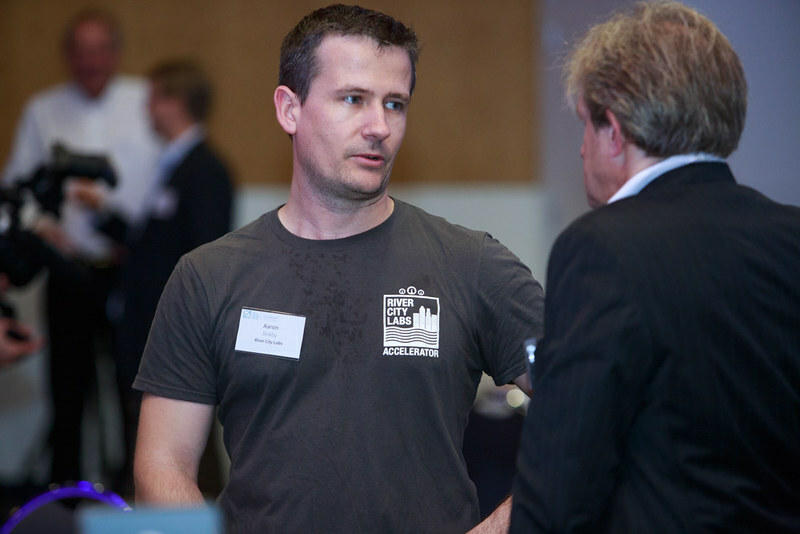 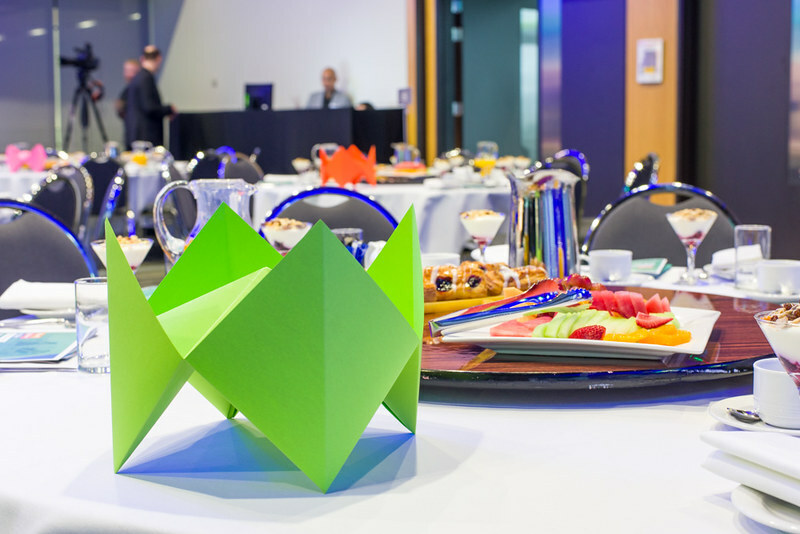 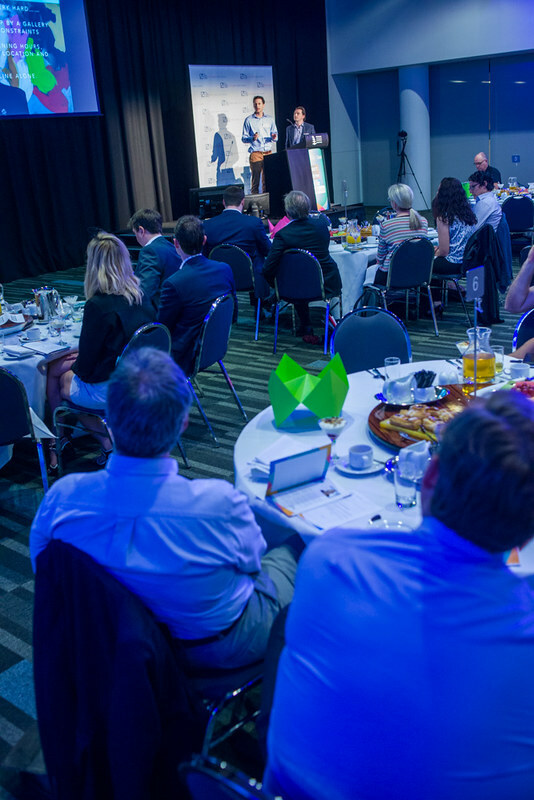 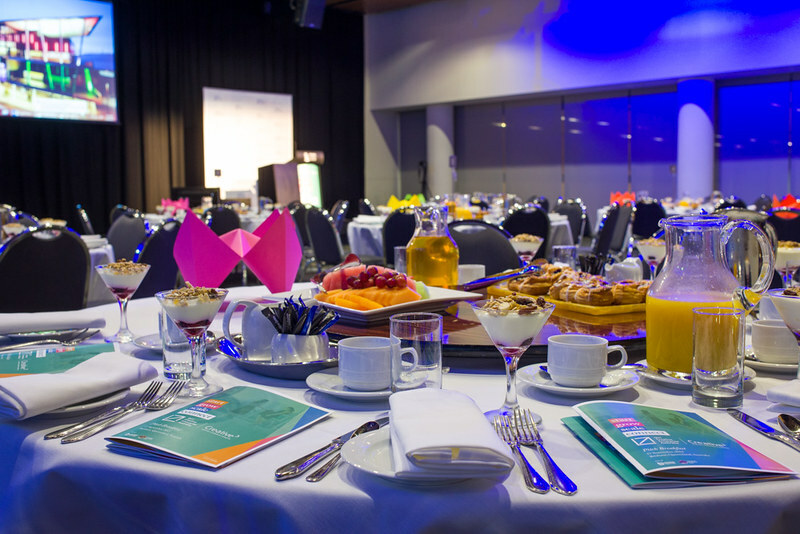 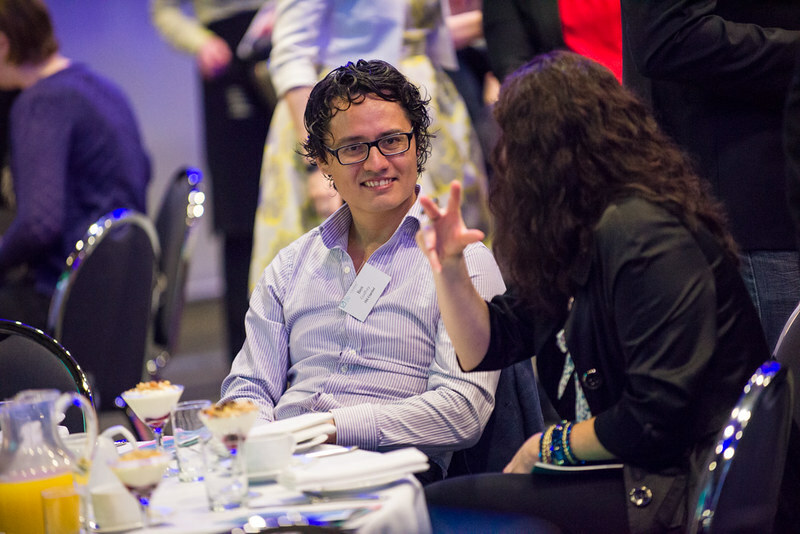 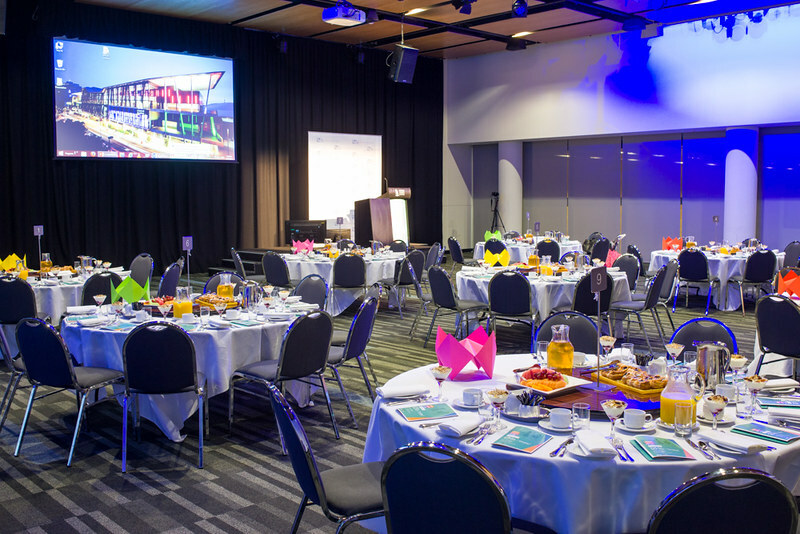 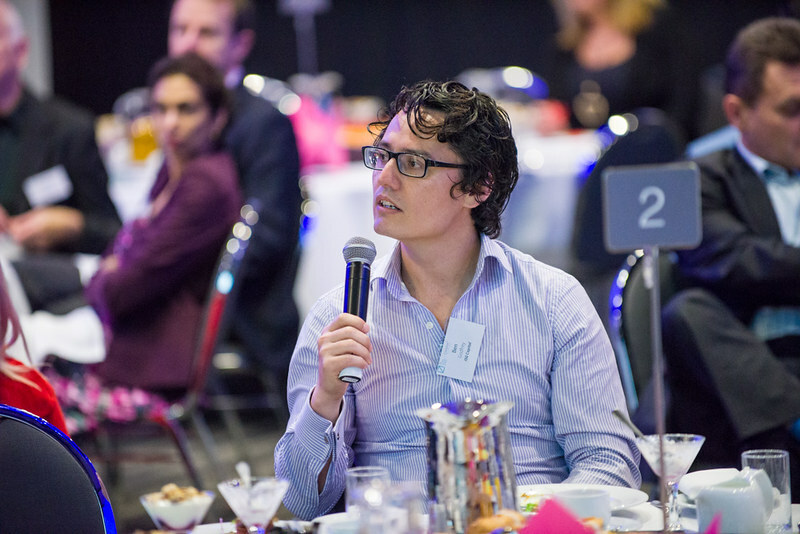 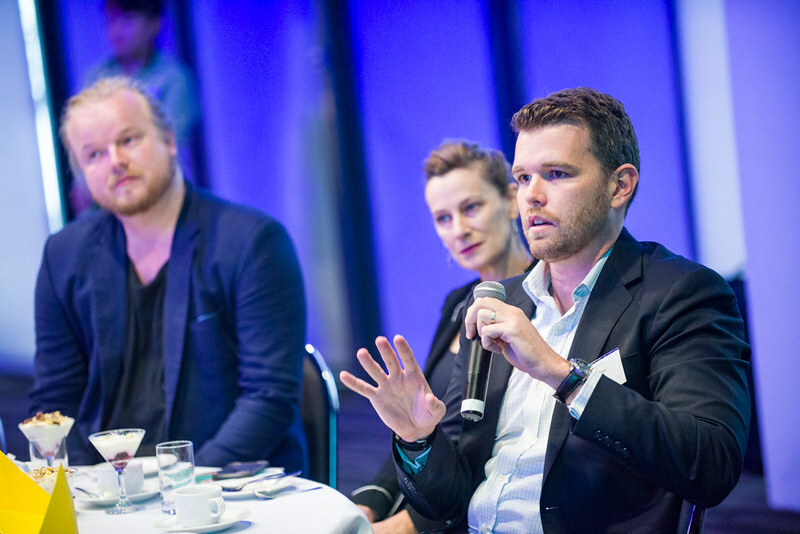 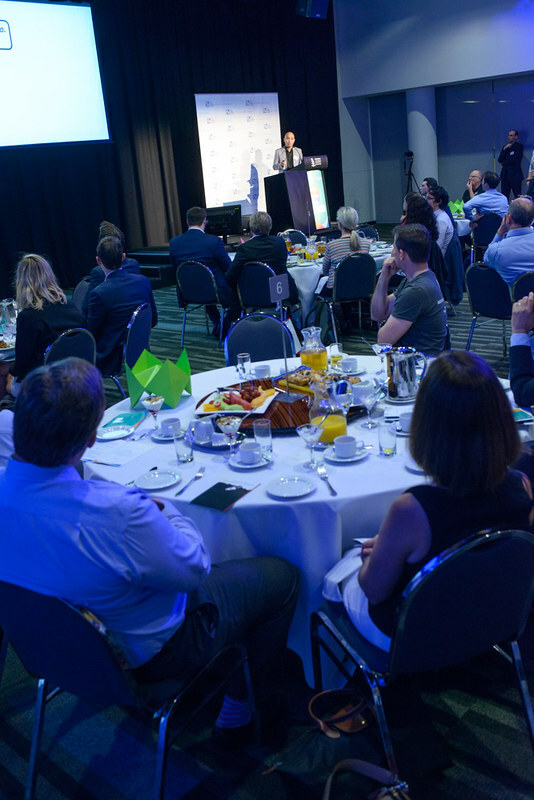 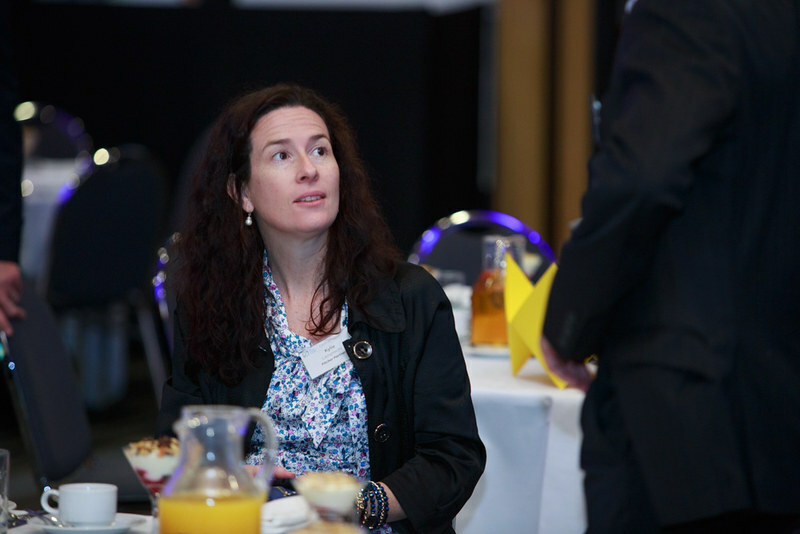 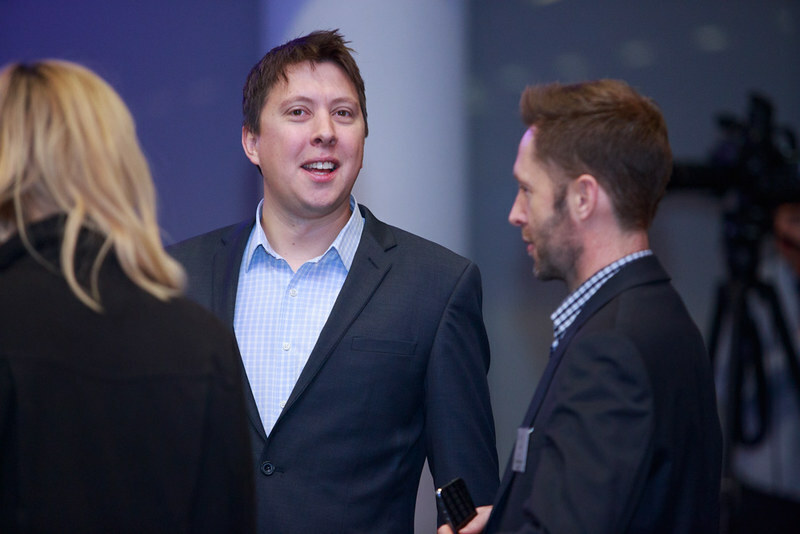 Four creative startups pitched to early stage investors at this targeted breakfast event. 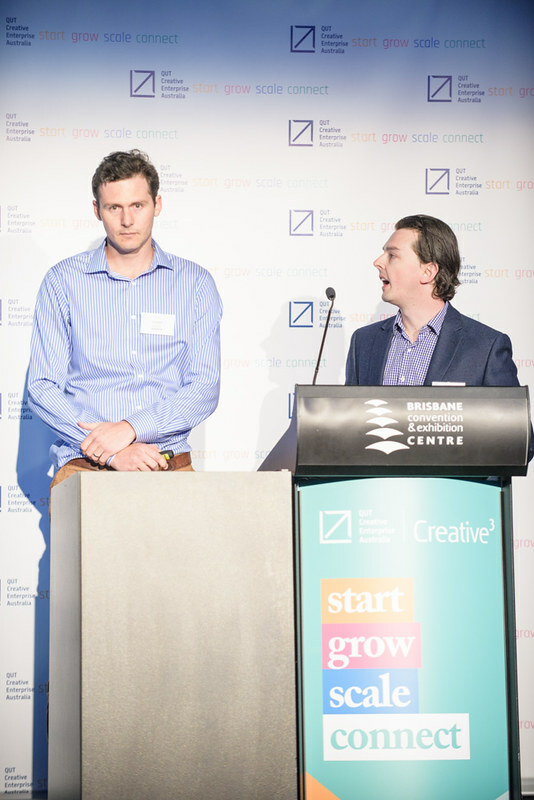 The winner, Bluethumb, won $10,000 worth of support from Pitcher Partners and McCullough Robertson. 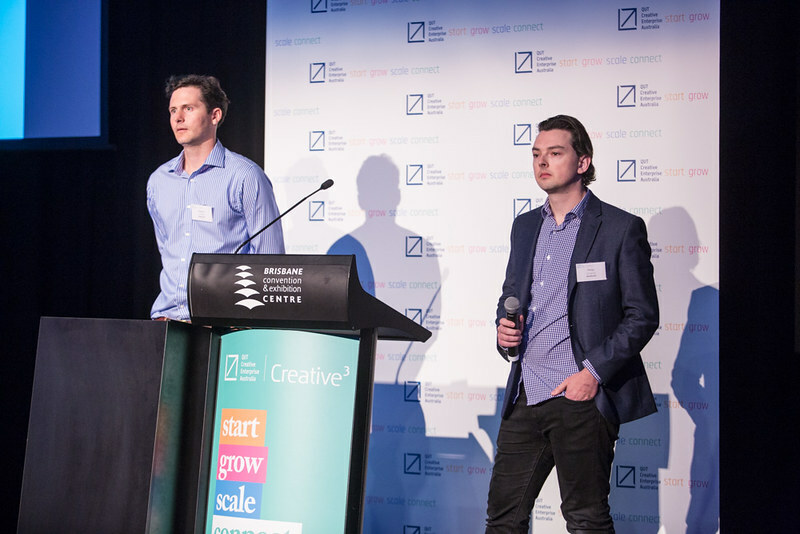 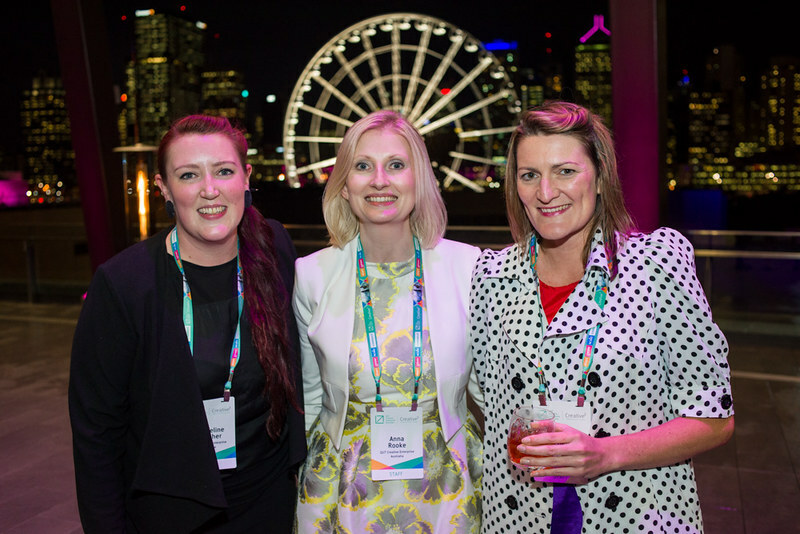 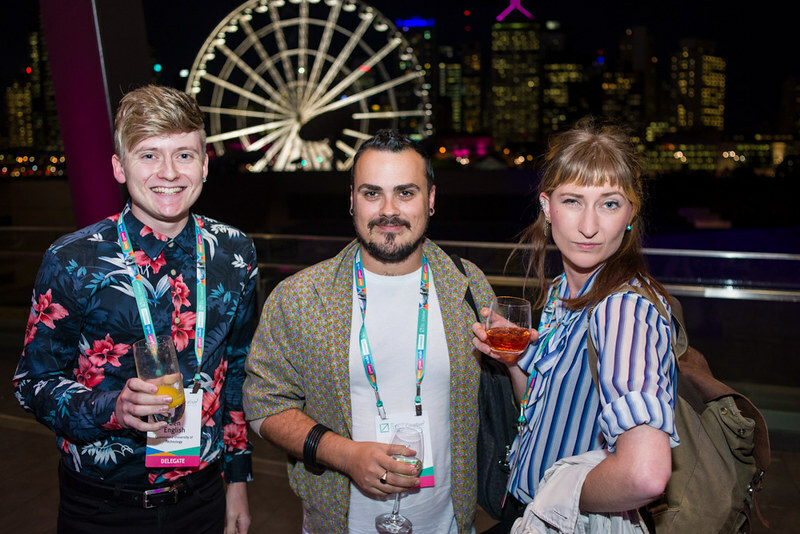 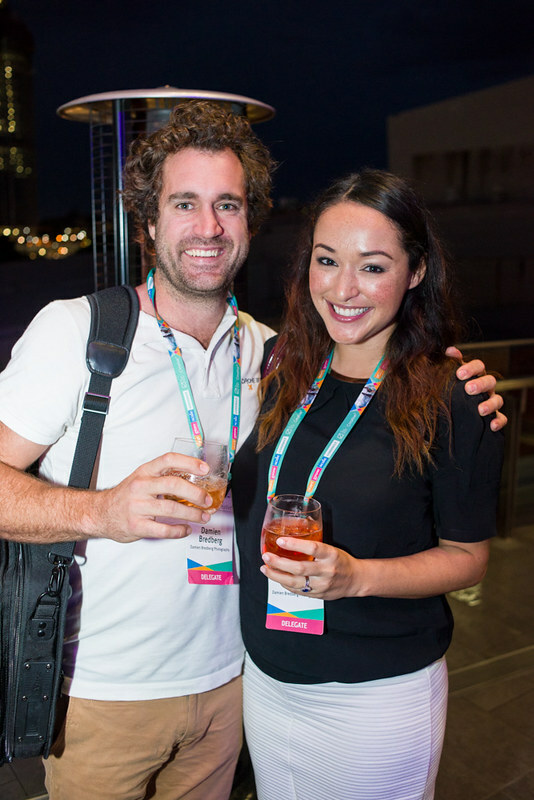 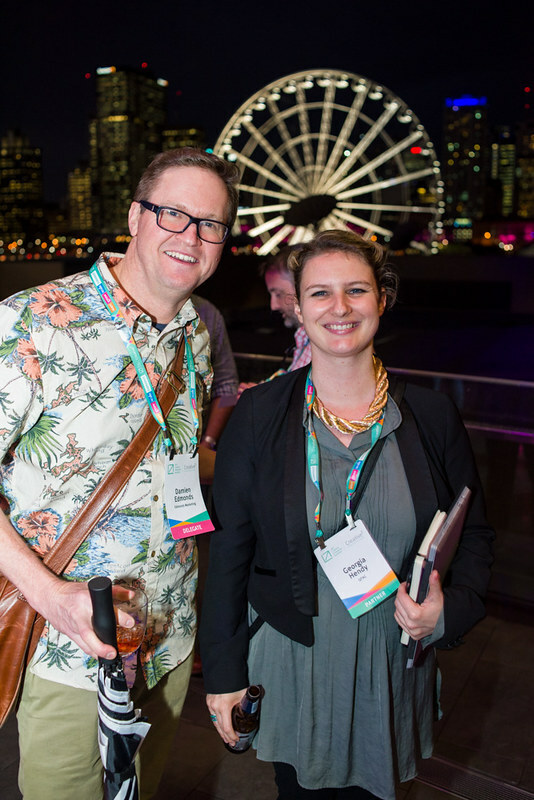 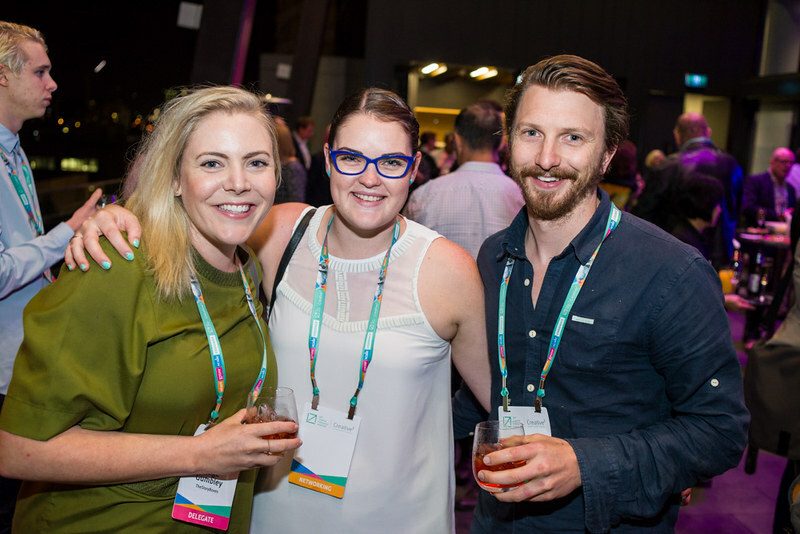 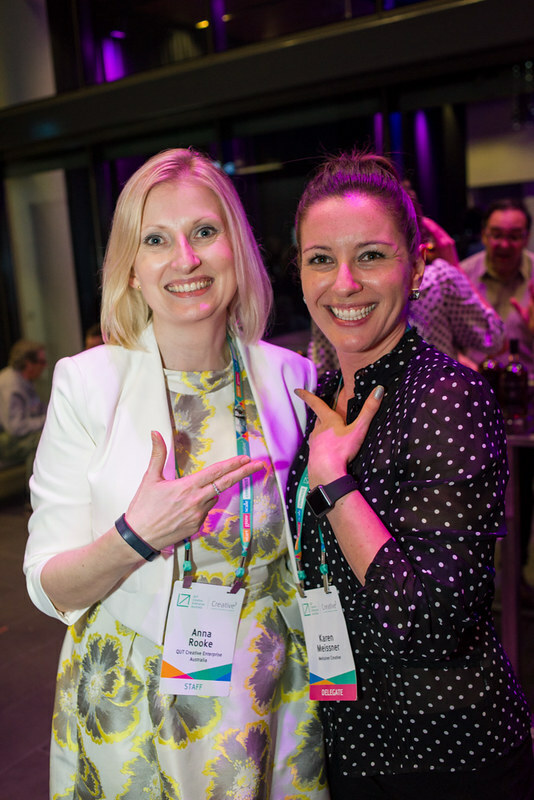 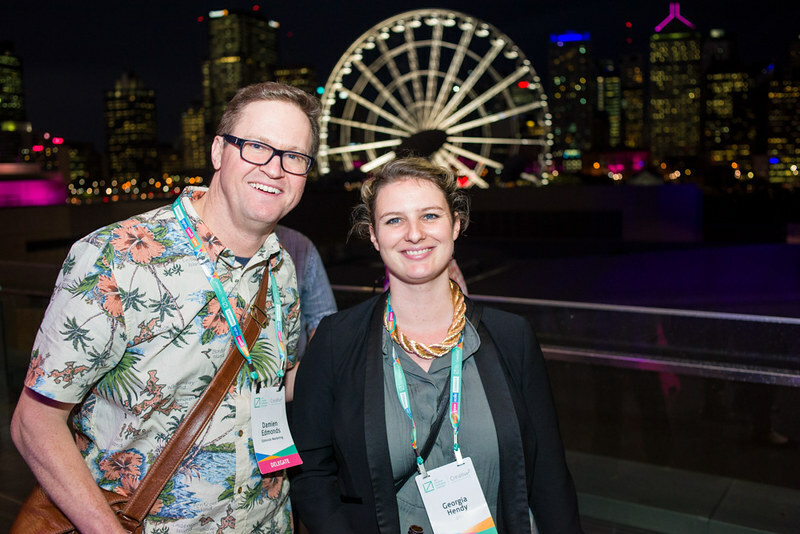 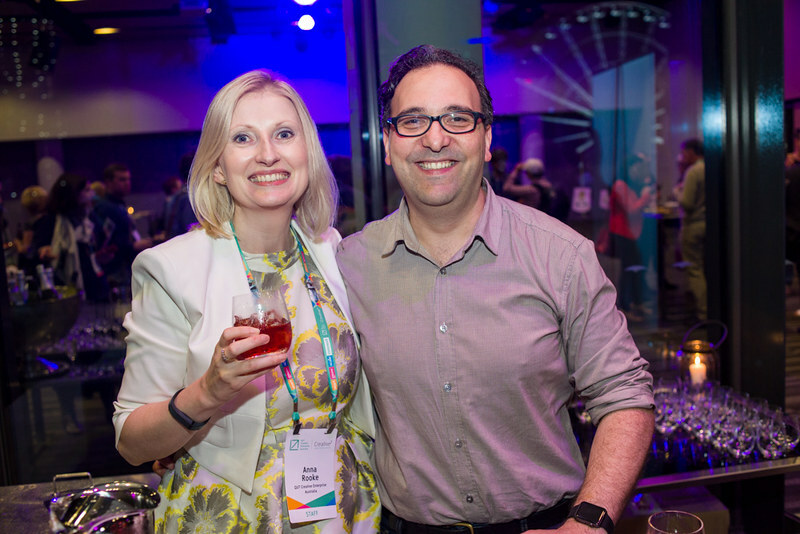 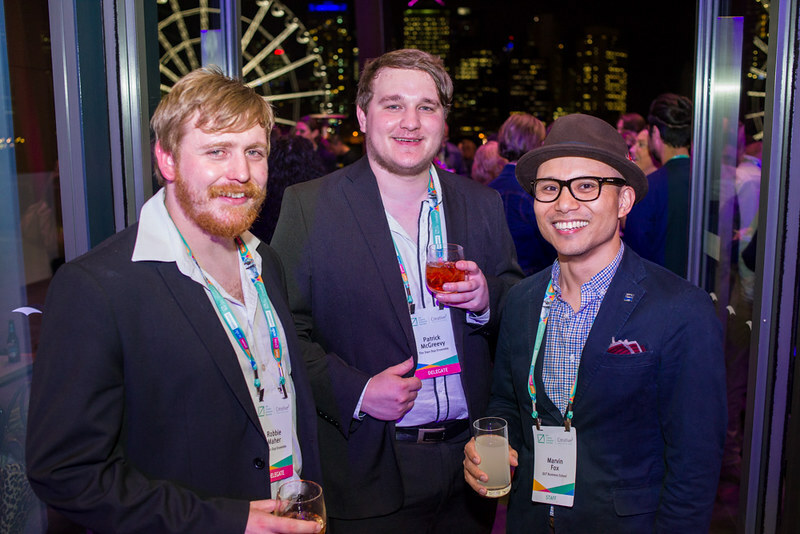 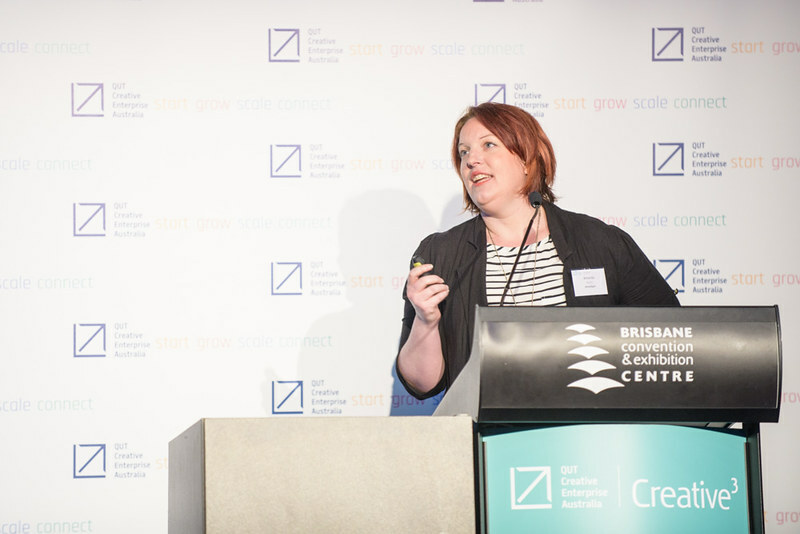 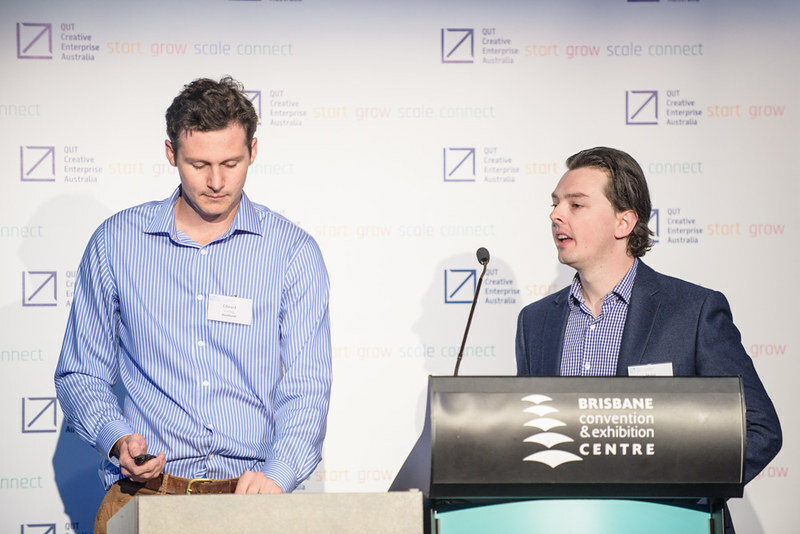 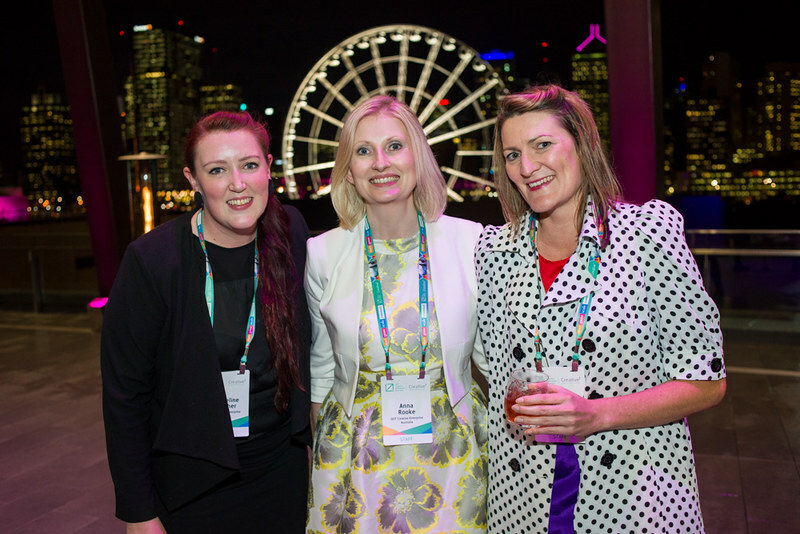 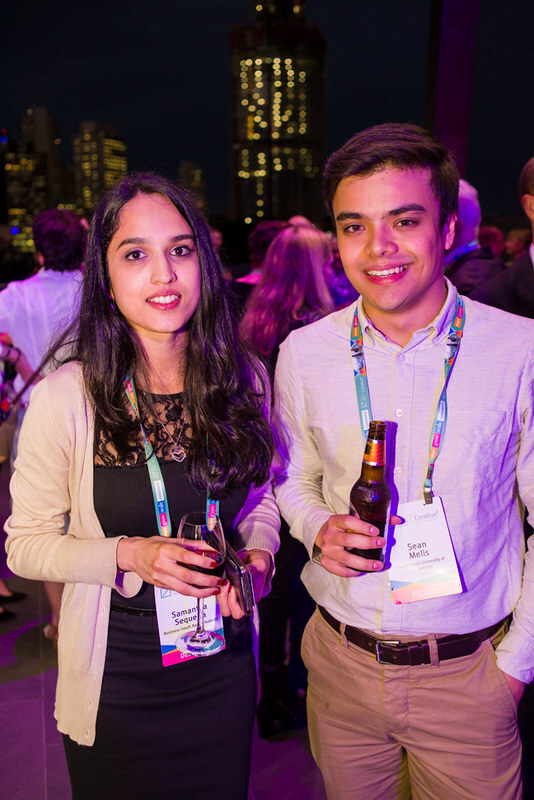 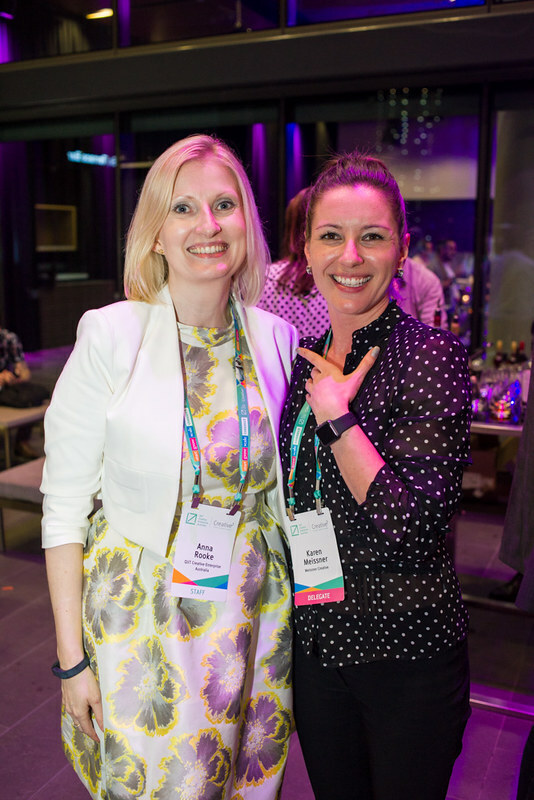 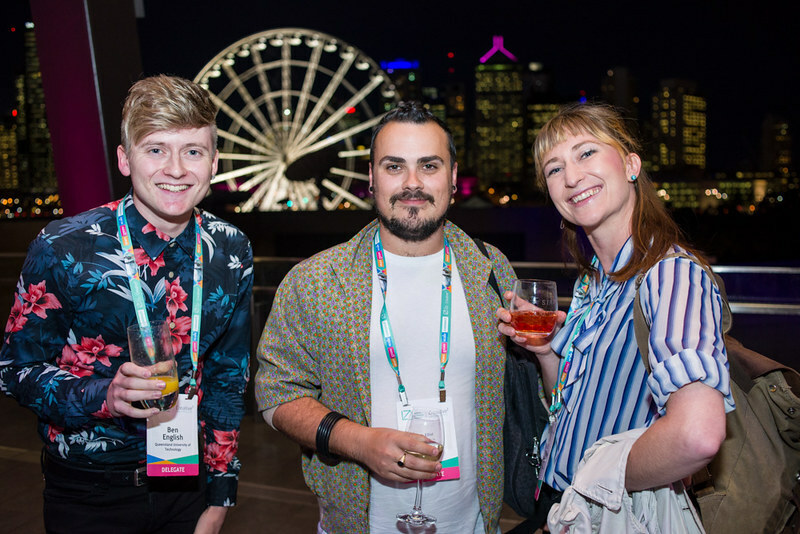 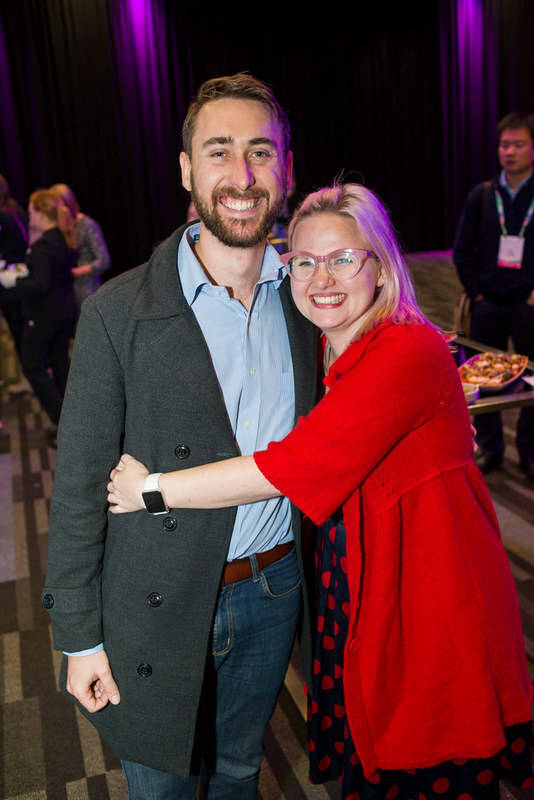 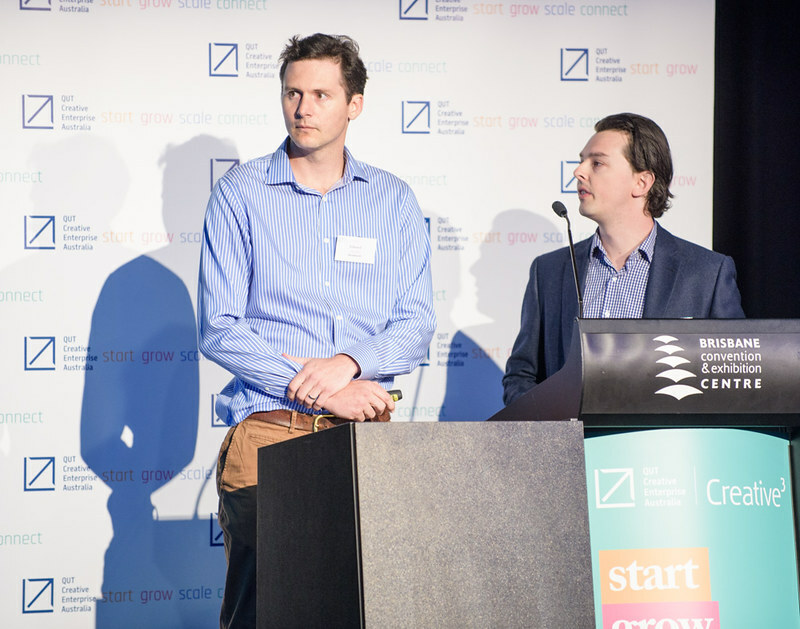 As the winners of Creative Business Cup Australia, Bluethumb represented Australia and competed against 63 countries at the world championships for creative entrepreneurs, the Creative Business Cup in Copenhagen, Denmark in November 2015. 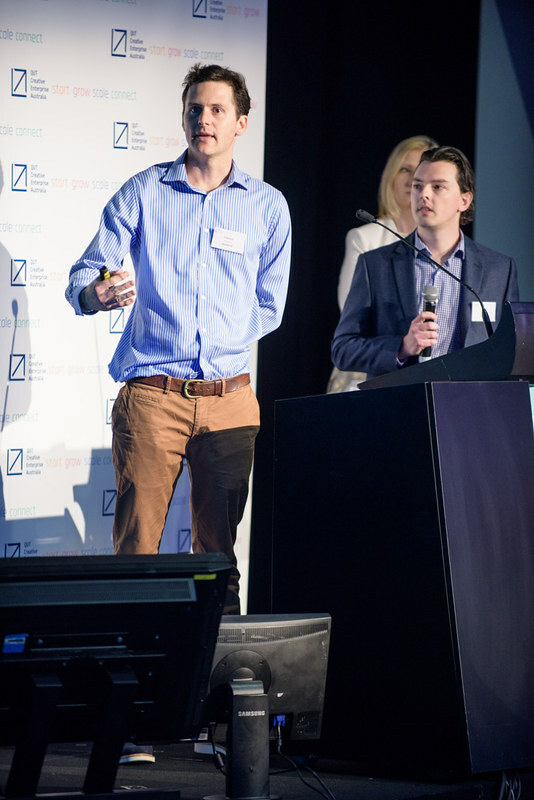 Here, they pitched to the European Business Angel Network and venture capital firms during Global Entrepreneurship Week and competed for a prize pool of over USD $35,000. 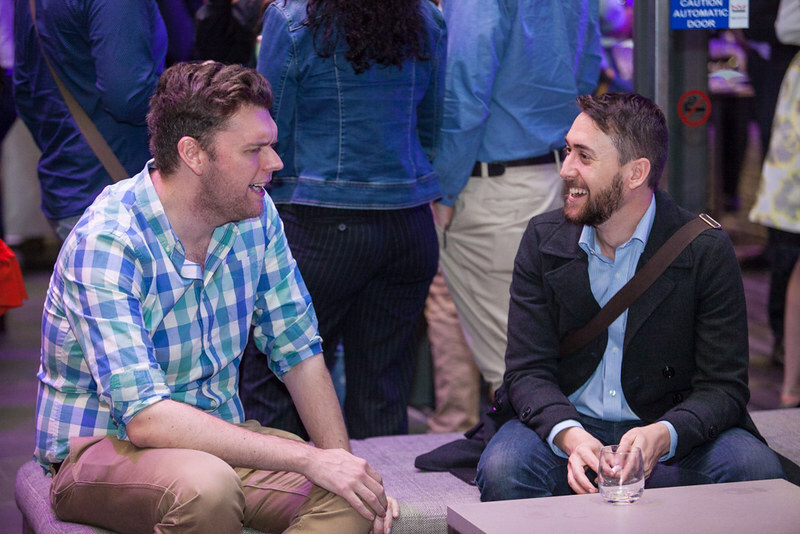 To wrap up and continue the connections, Creative3 networking continued over the Sky Room Lounge after the Forum. 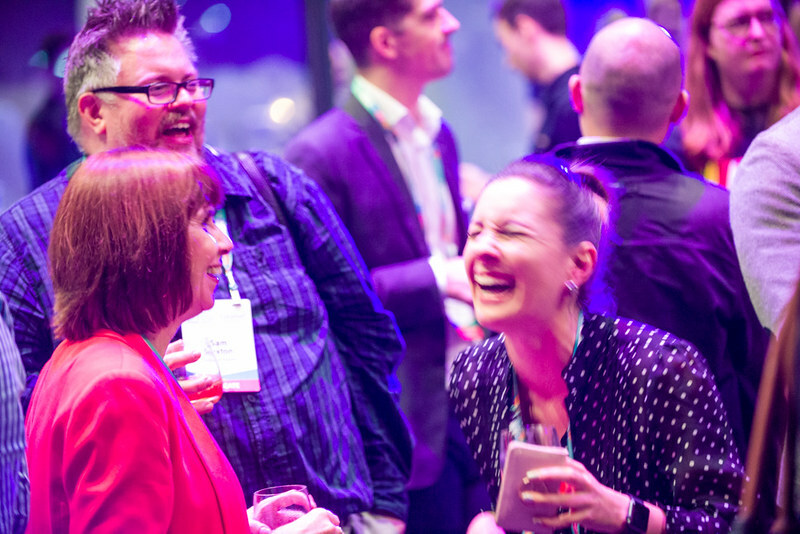 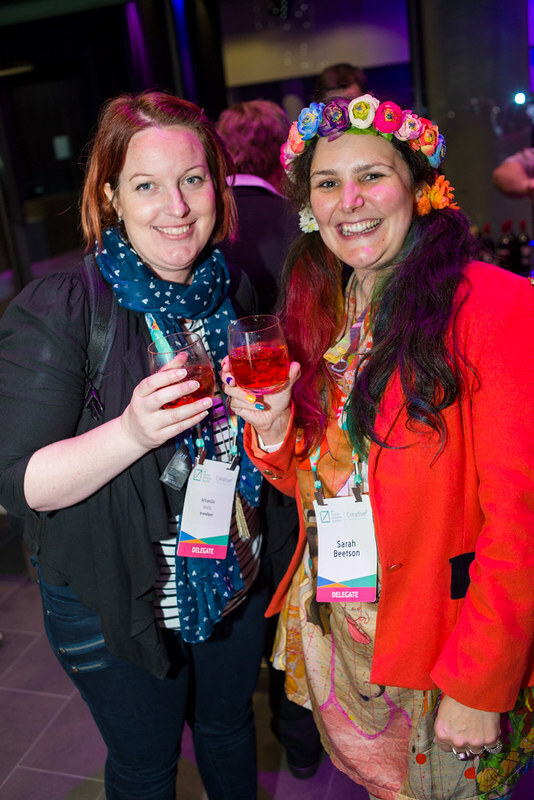 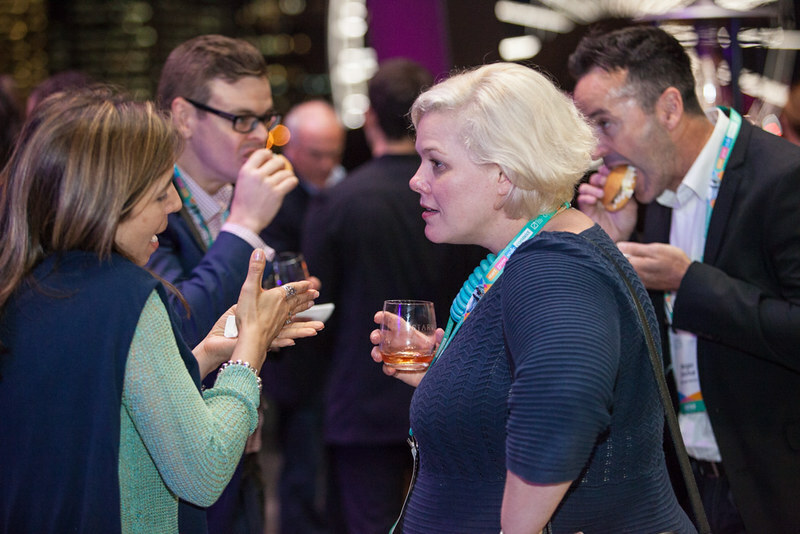 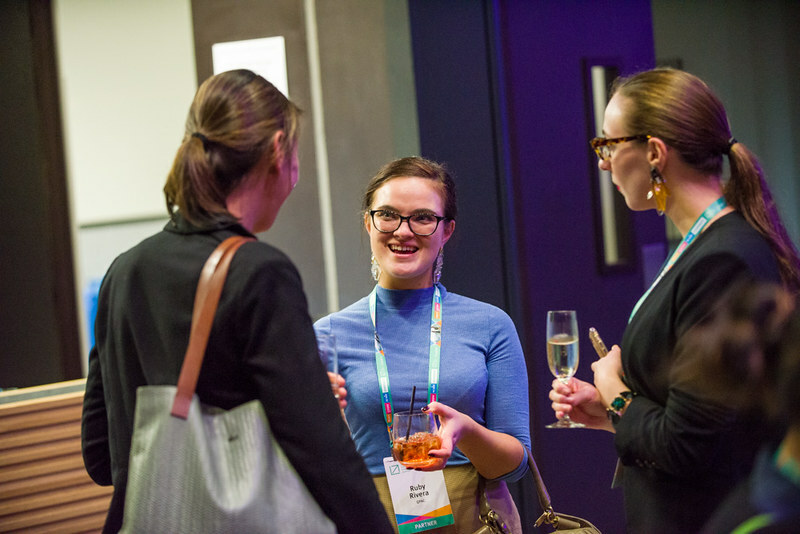 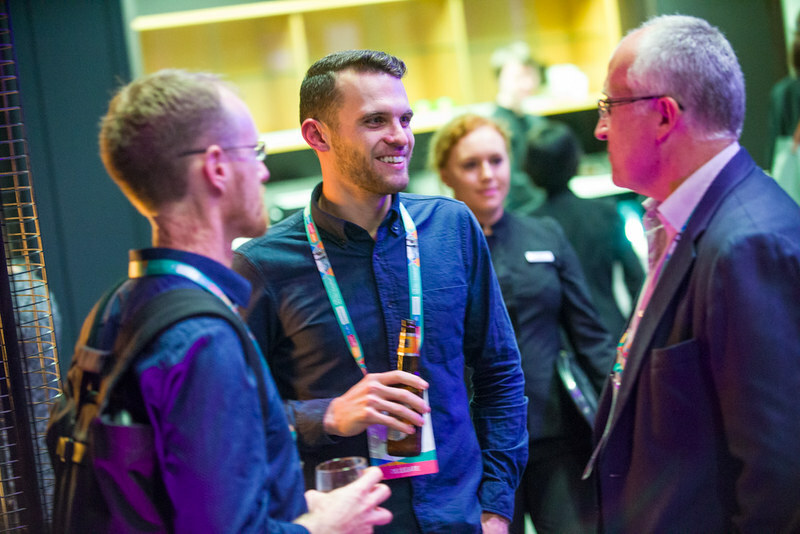 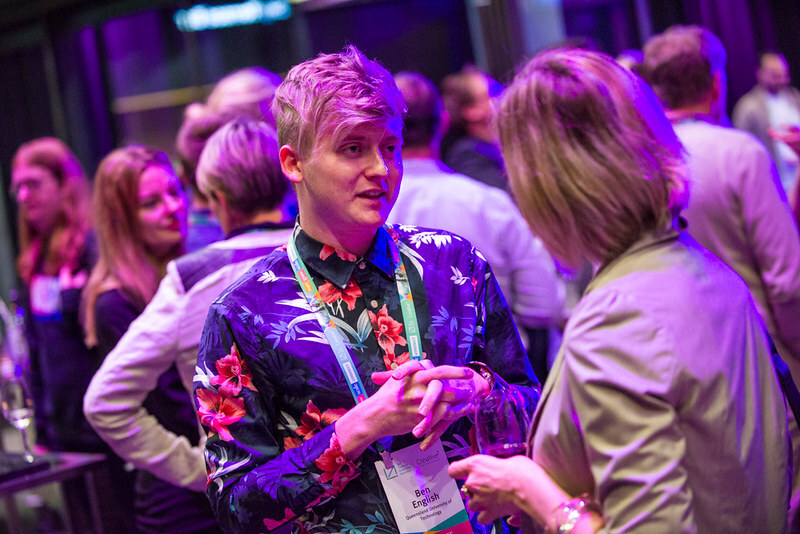 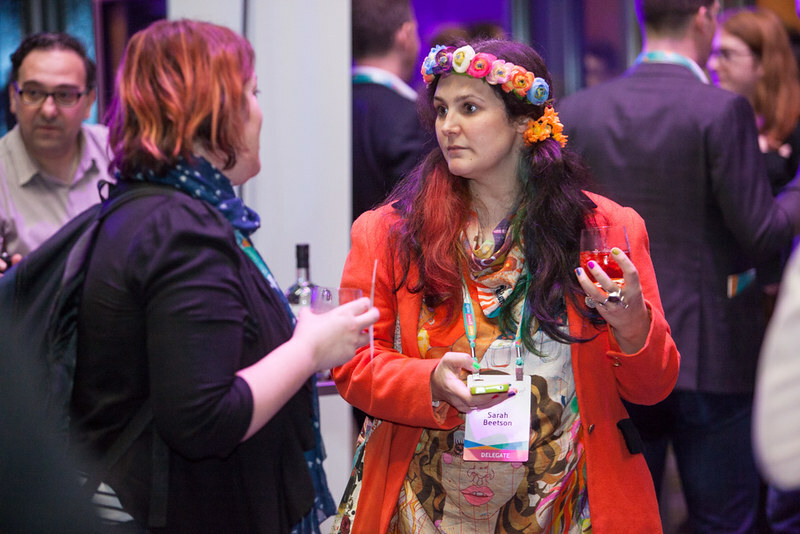 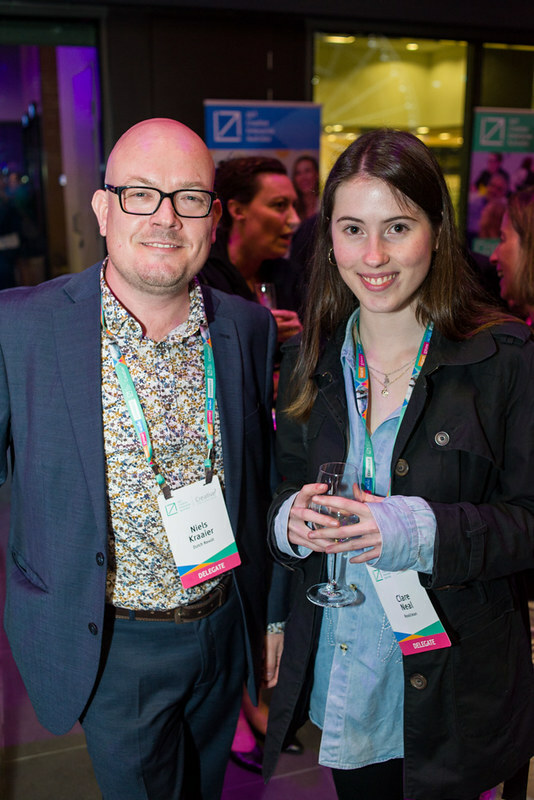 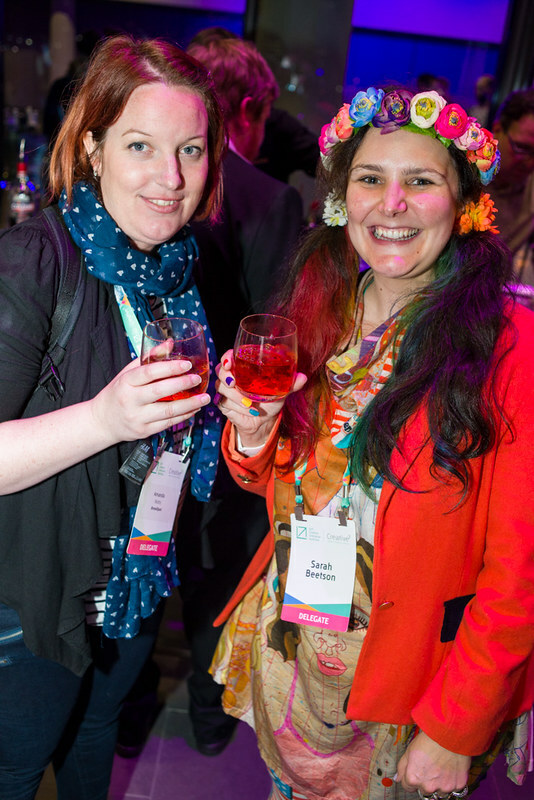 To fuel the conversation, our attendees were treated to a range of canapes and the delights of STARWARD with thanks to our networking sponsor, New World Whisky. 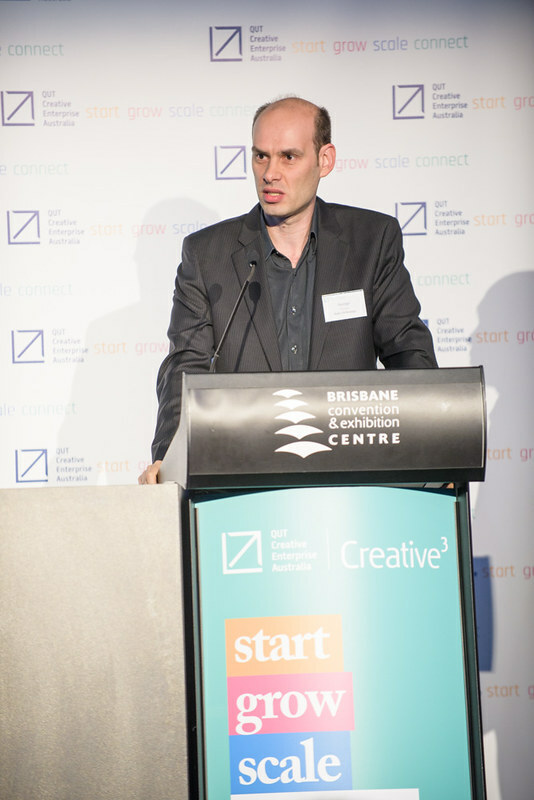 STARWARD is a young distillery making premium whisky in an unconventional space – an aircraft hangar in Melbourne. 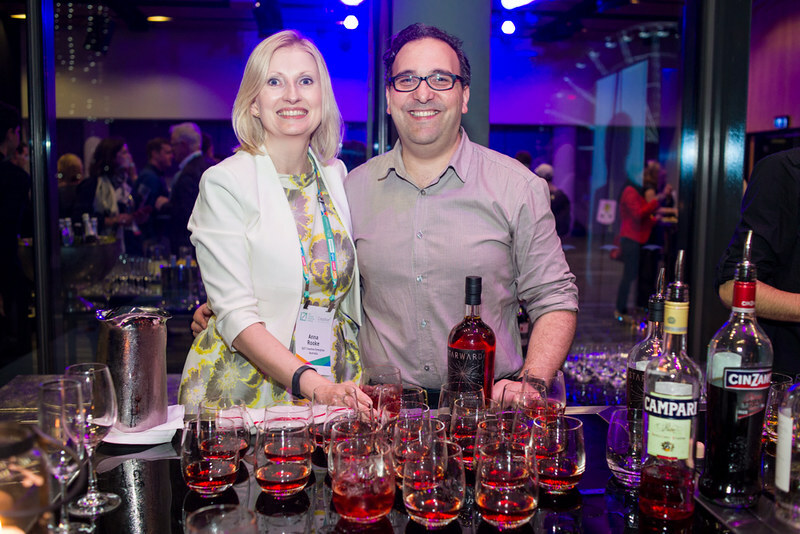 The team pushes the boundaries of whisky making to create new and appealing flavours that capture the imagination of drinkers around the world. 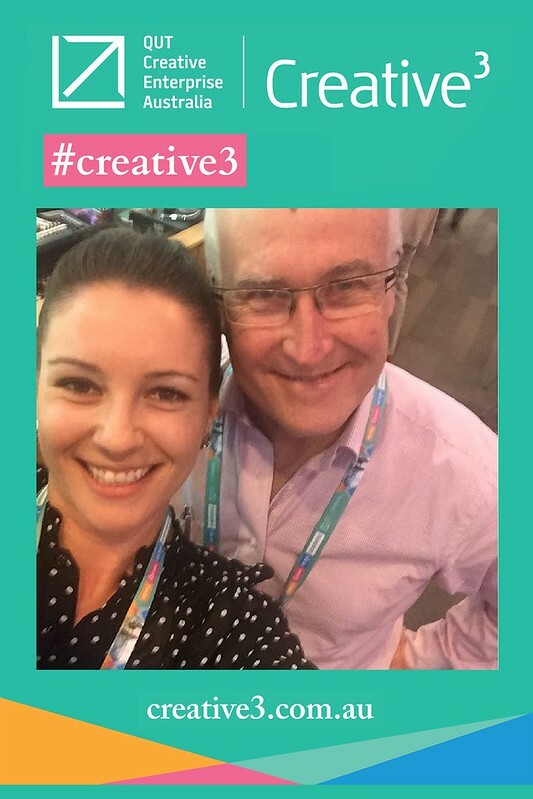 In 2015, Creative3 hit television, print, online and radio coverage valued at over $800,000. 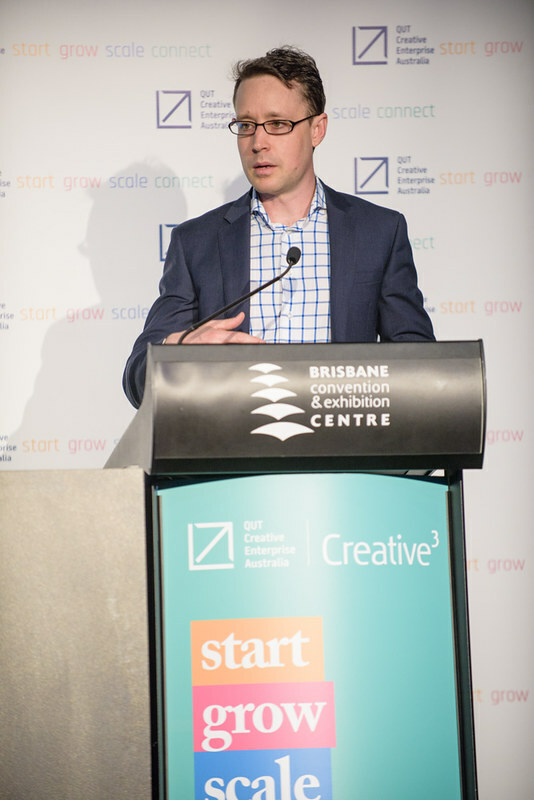 National TV coverage on Sky Business featured Creative3 on two occasions, interviewing keynote presenters Stefan Hajkowicz and Michael Fox. 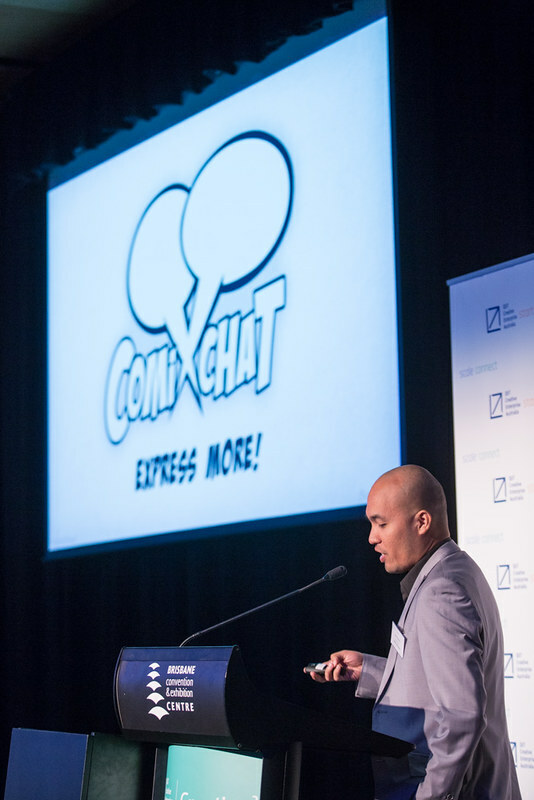 A full hour of interviews also featured on ABC612’s afternoon program with Gwendolyn Regina Tan, Ben Johnston and Michael Brett. 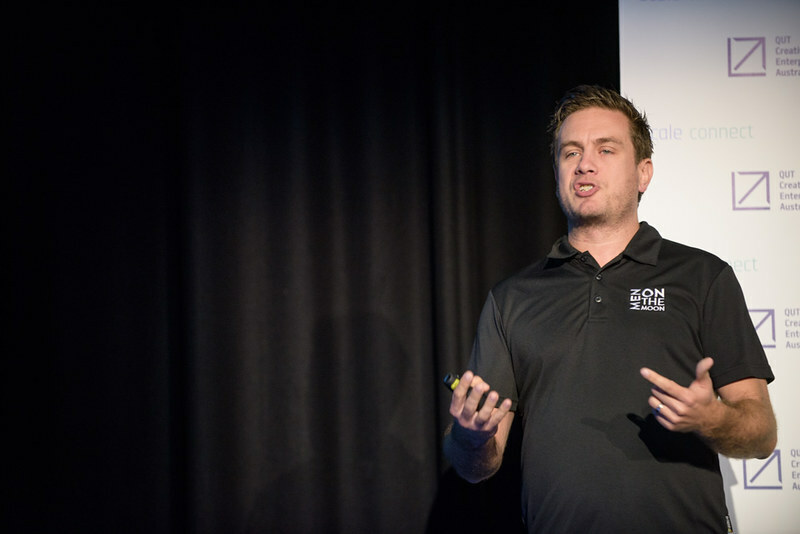 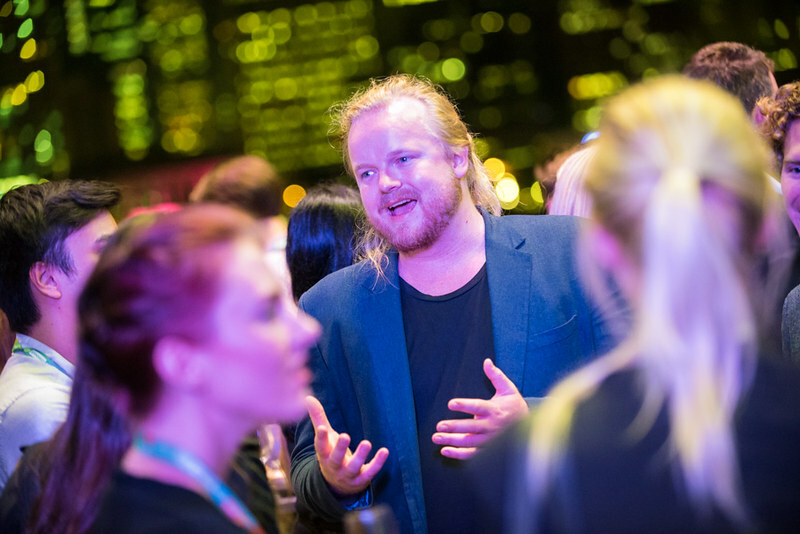 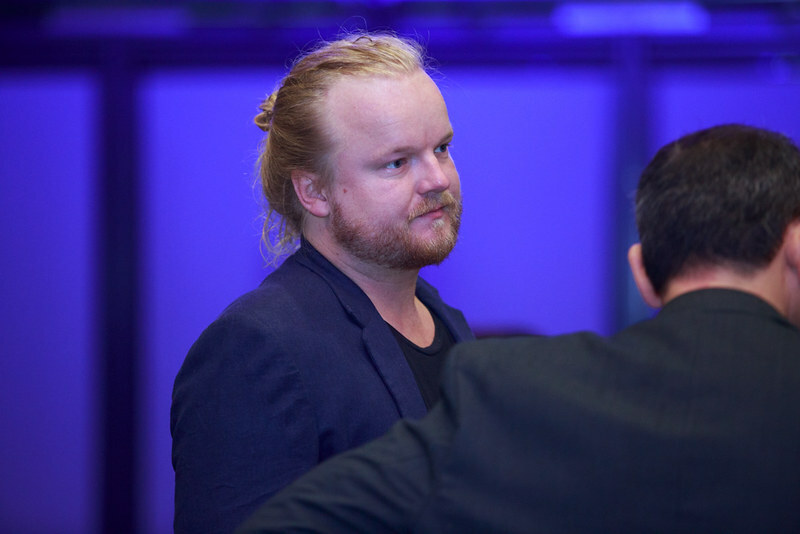 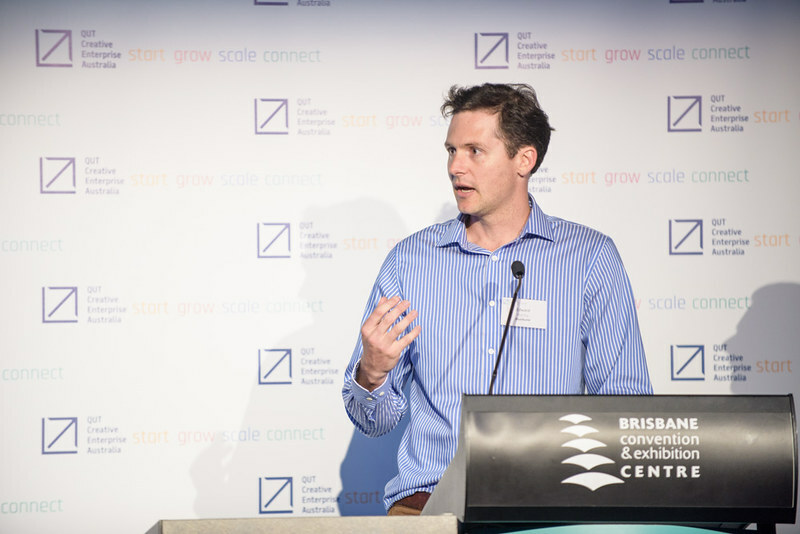 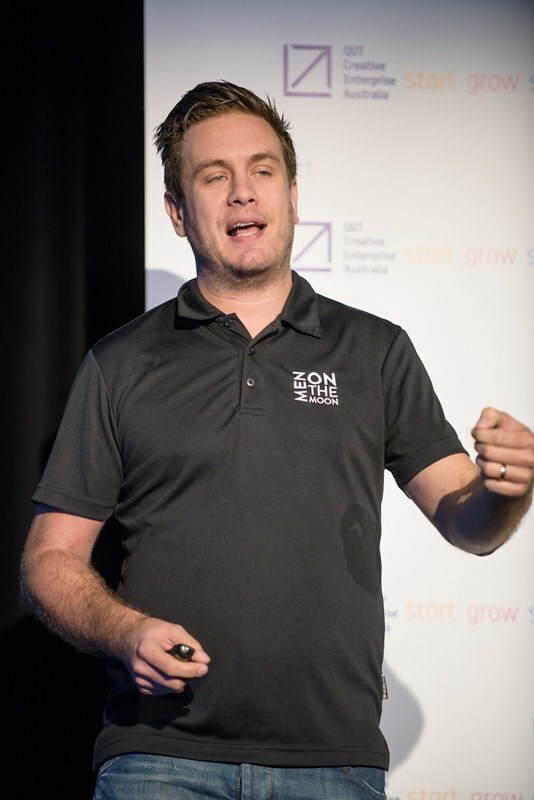 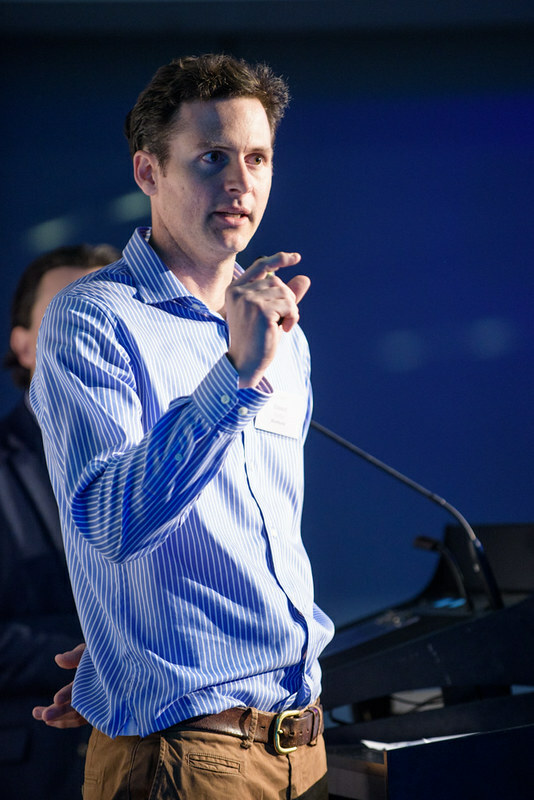 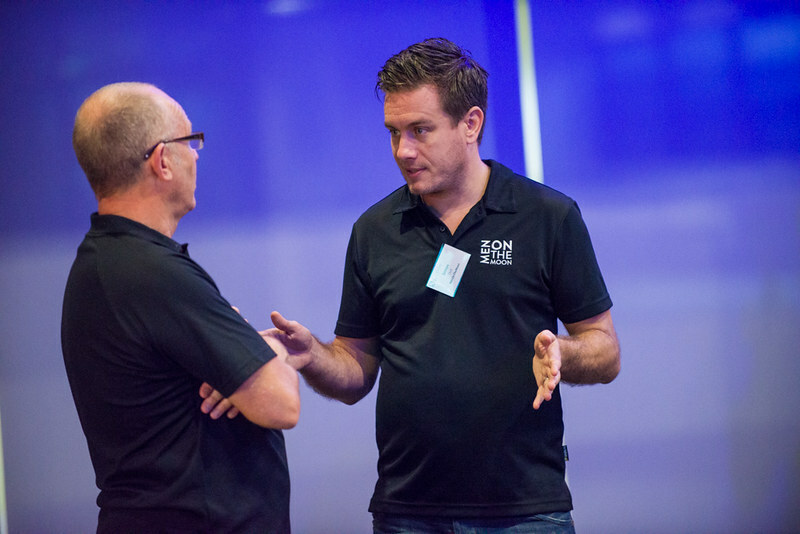 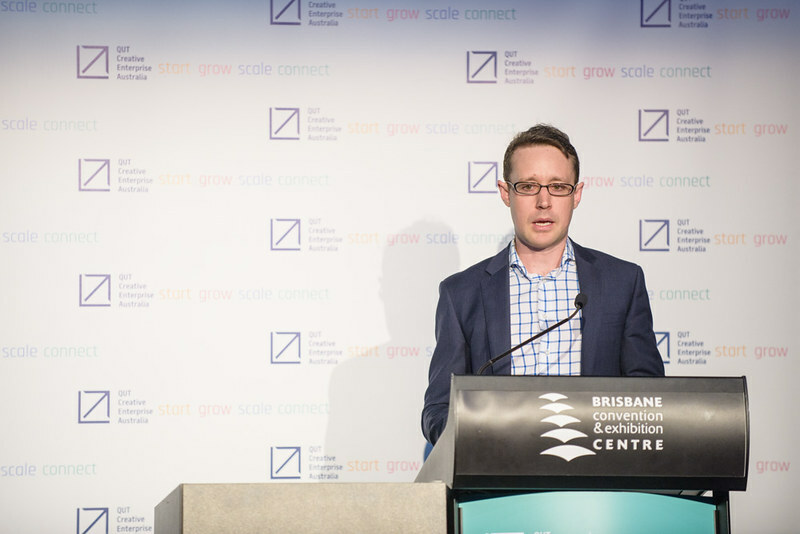 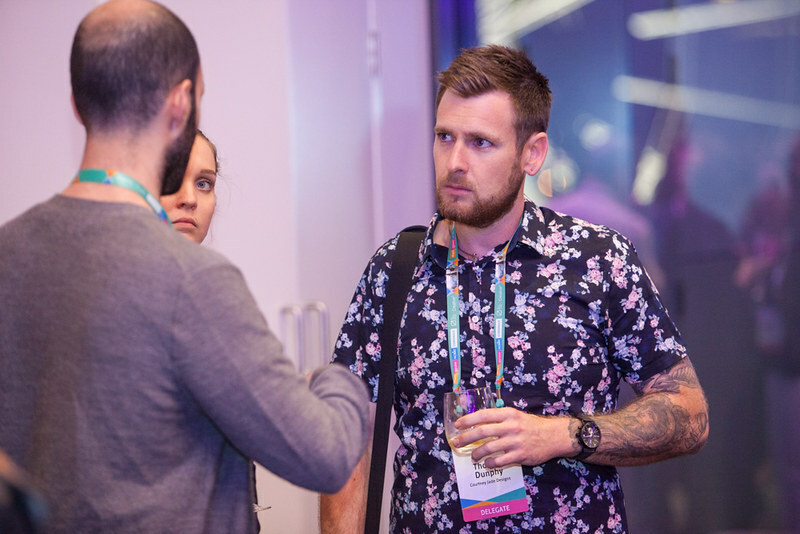 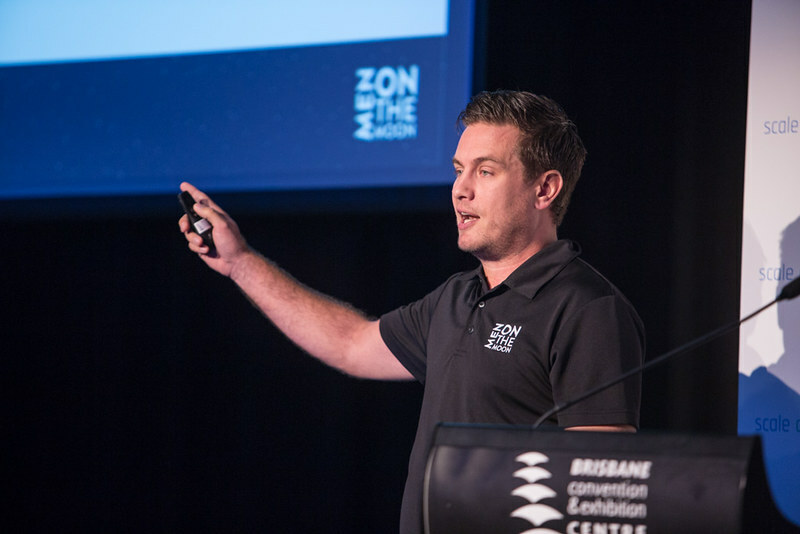 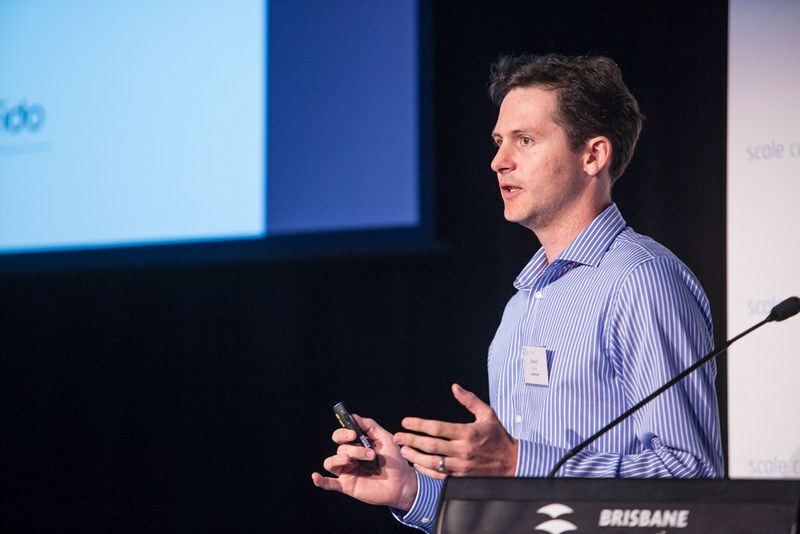 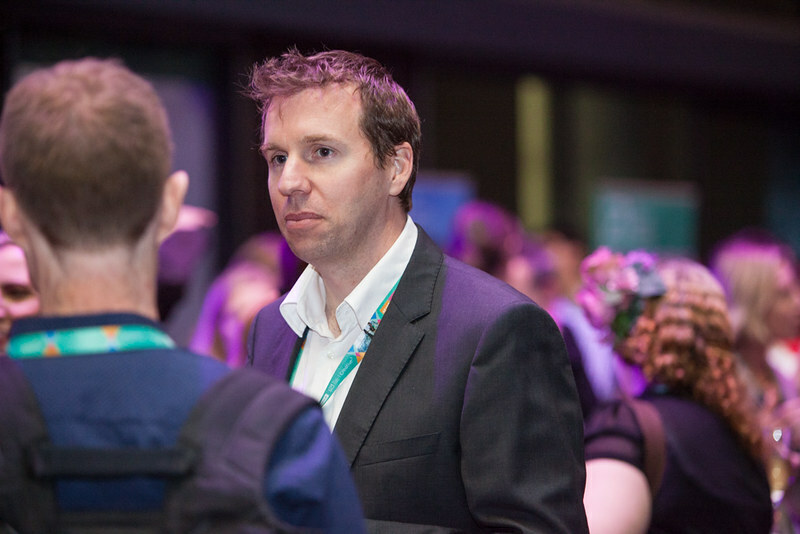 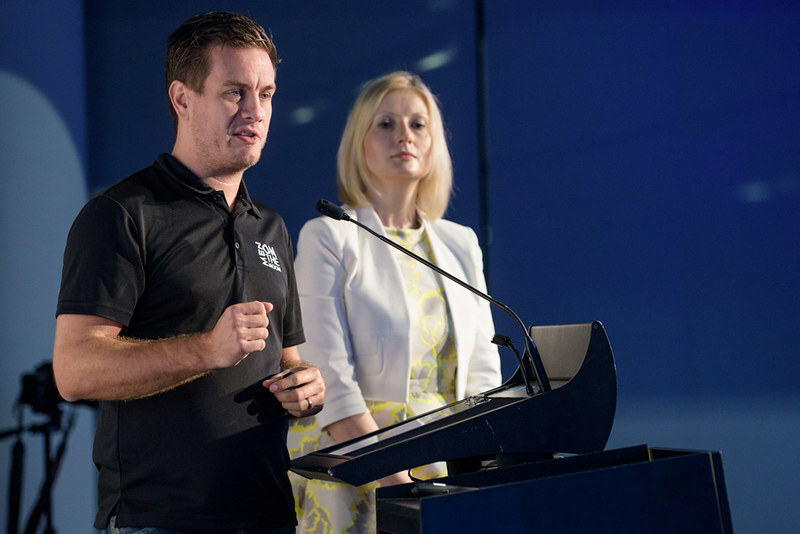 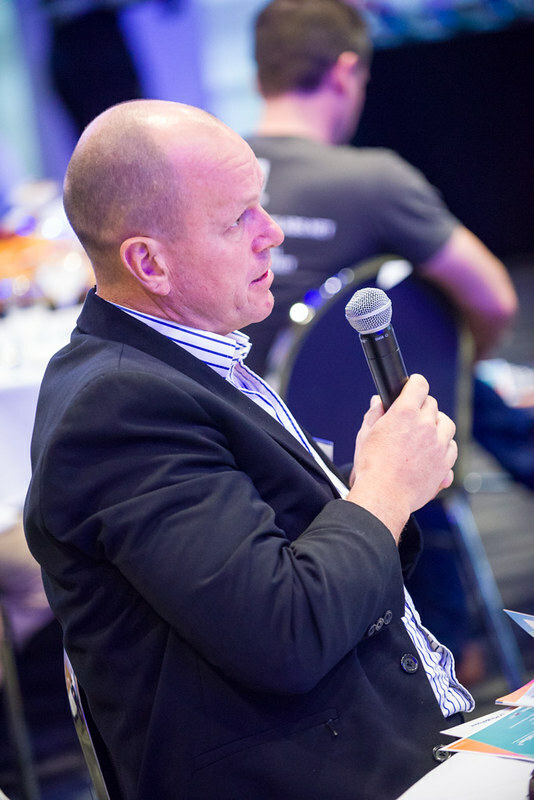 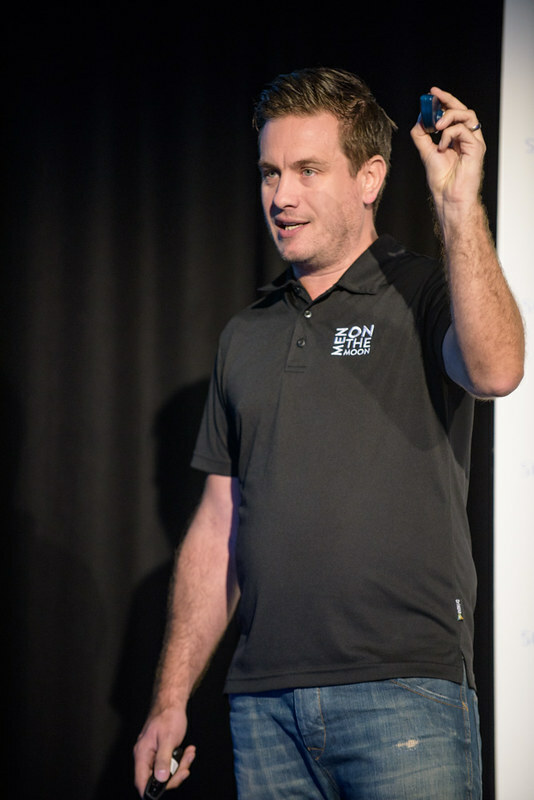 Ben Huxter was interviewed for international tech publication Mashable and major startup channels including Startup Smart and interviews with a variety of speakers were published in major newspapers: The Courier Mail, Gold Coast Bulletin and nationally through The Australian.